It’s paradise on American soil. It’s the vacation for my vacation as the last stop of my trip. I had heard so many nice things about Hawaii and this was my opportunity to see for myself. Wednesday, 12 November: Arrive in Honolulu airport, fly to Maui. Settle in. Maui was quite nice. The open landscapes with lush green mountains and vast rhythmic seas naturally got me to open up and allowed me to listen to my thoughts more deeply. The island was relatively quiet and pretty low-key, but it did have the conveniences of modern society in each city. It was a really nice place to just slow down and enjoy the ordinary moments of life. While it was still warm, I would like to spend more time in even warmer weather to get the full experience that most travelers raved about. I flew from Tokyo to Honolulu, went through customs and immigration, transferred to the domestic side of the airport, then flew to Maui. From there, I rented a car and drove to my hotel in Kihei. I booked the flight from Tokyo to Honolulu as the last leg of my round-the-world ticket, before I decided to go to Maui. I thought the inter-island flights would be cheap and frequent, but I find out later that I had to book them ahead of time just like most flights. 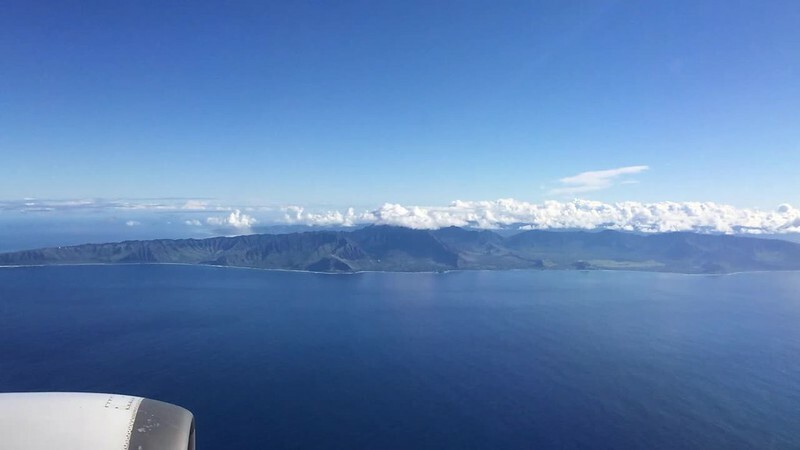 Had I known and decided that I was going to Maui, I would have booked my flight straight to Maui, and I would also have booked the flight straight from Maui home in the Bay Area. 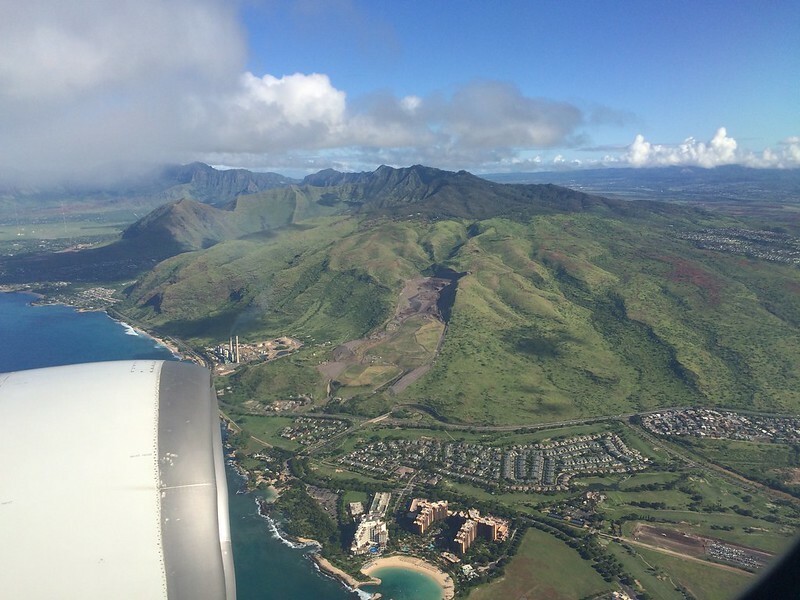 Instead, I had to sneak cellular service while I was landing in Honolulu to check in to my Maui flight, be shepherded into a shuttle, waited through the lines at immigration, and speedwalked to the domestic security check to catch my flight to Maui. As I filled out my immigration form, I was very excited and proud to put in all the countries I had been to; it was like a badge of honor that only I and a small percentage of people in the world had done. I rented a car from Maui airport and pretty much drove everywhere. This was made possible when my wallet (which had my California driver license) was found back in Albuquerque, and I was very thankful I had one less thing to worry about during the trip. I couldn’t remember seeing public buses, but it would’ve been impractical to travel in Maui this way, although since I had a very little agenda in Hawaii, I probably could’ve taken my time and taken the bus to different places. I definitely could’ve done it if I had to. Still, it was nice to be able to drive to where I wanted to go in my own time. 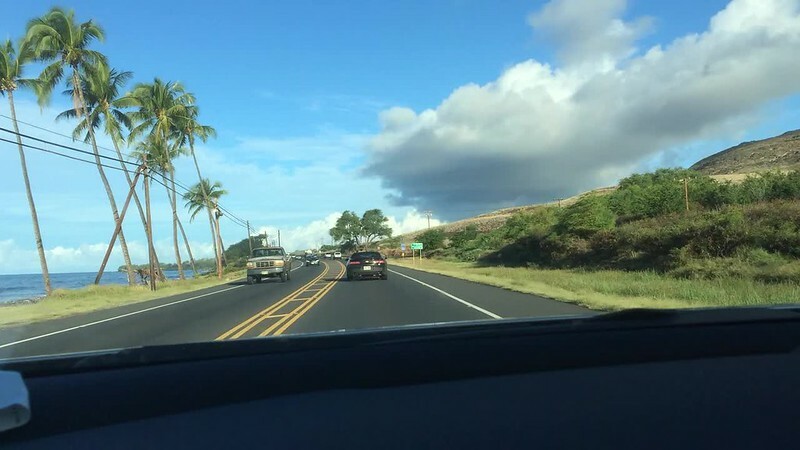 The one issue was that it was hard for my to drive long distances; I already knew this before the trip but was reminded when I had to drive in Maui. I had a tendency to want to doze off if I drove long distances, like on the highway. And the weather in Hawaii made it easy to relax and be comfortable. 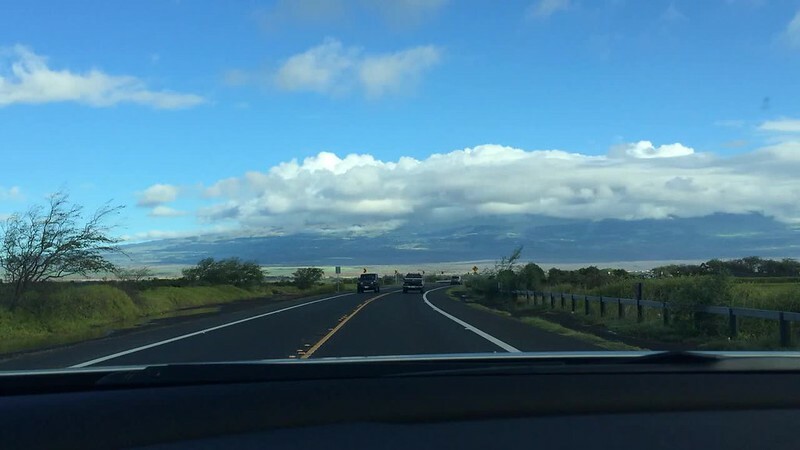 The time it took to go from one part of Maui to another would take thirty to forty-five minutes, and while the view of the landscapes was very beautiful look at, they also calmed me down on the road. This was probably my own problem; as most drivers rarely experience this, I believed. My body composition: 29 years old, 160-ish pounds, 6 feet tall, prefers high 70s/low 80s, primarily sweats during exercise only. The weather was mildly warm. For a beachy vacation spot, it could definitely be warmer, but it was comfortable temperature-wise. There was a slight humidity, though. It wasn’t enough to feel gross and sticky, but I could feel it and it made me want to head indoor somewhere or wish there was at least a breeze, like by the shore. For the most part, I just wrote a T-shirt. I wrote my loose synthetic pants but even that was a bit stuffy at times. At certain seemingly random times, there was rain for maybe thirty minutes to an hour, and the skies would change quickly between clear to cloudy. The people were pretty much standard American (at least the kind I had come to know in California). Customer service was good and not overly friendly. Of course, some were better than others. 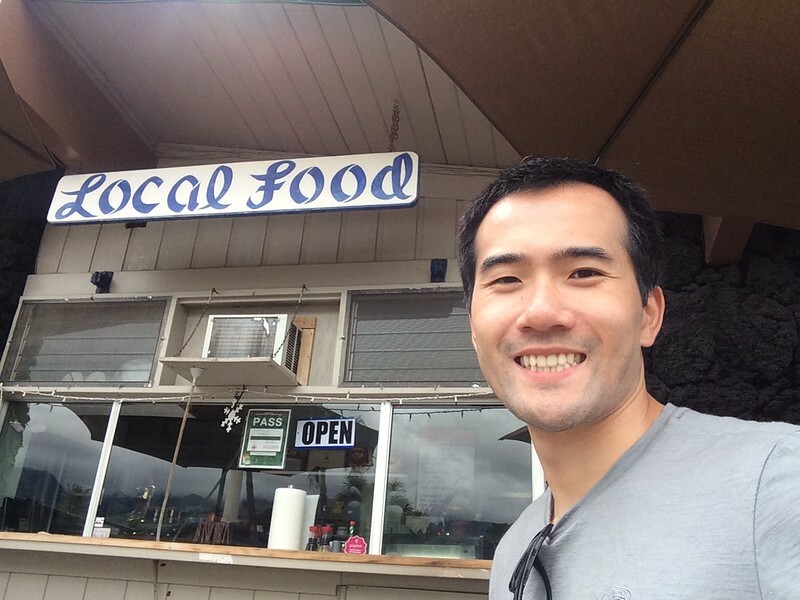 The lady who worked at Local Food in Lahaina was very sweet and friendly; it made me feel good to have bought food from her. The college-student-looking folks who worked at the shave ice shop were just busy shaving the ice and finishing orders; they had little time to connect with customers, but the shave ice was delicious so that sort of made up for it. People spoke English, which was such a relief and made my time in Hawaii more easy-going. One of the things I wanted to do in Hawaii was surf, because I heard it was much easier to surf in Hawaii, and I needed the confidence boost and practice. 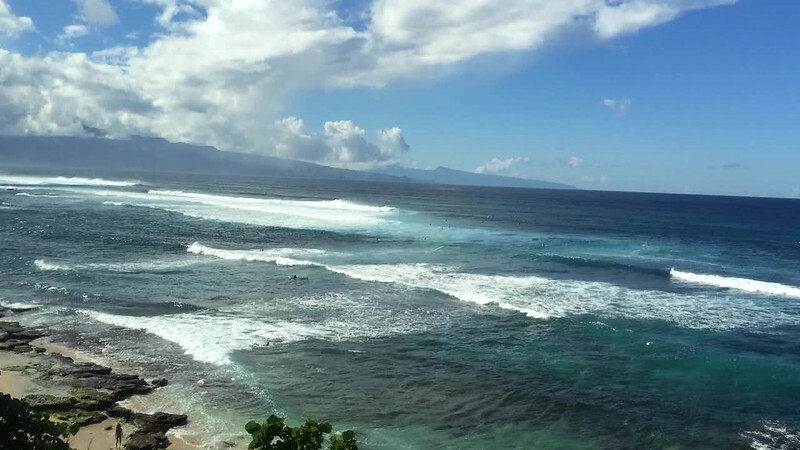 However, I realized later that that was probably only true in certain beaches, and probably the popular beginner surfer beaches in the touristy part of Hawaii like Honolulu. Nonetheless, I still wanted to try. 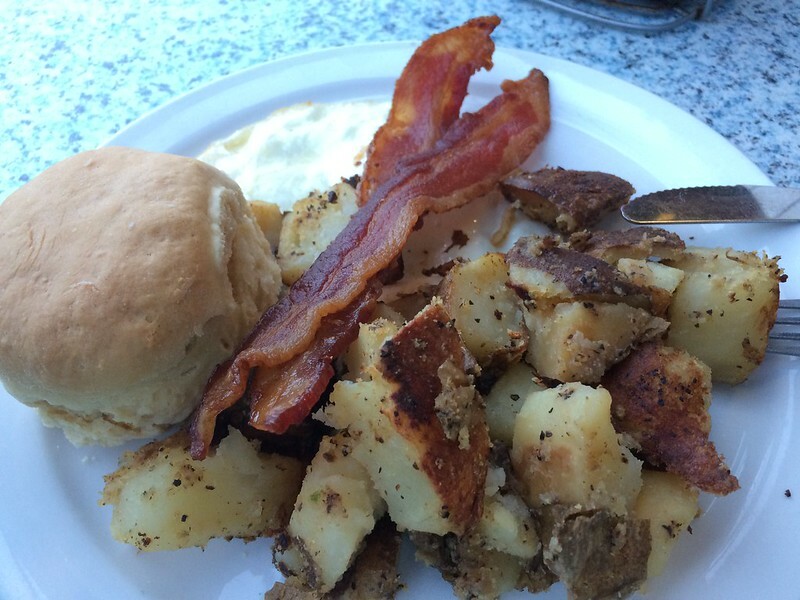 I had breakfast early in the morning at Kihei Caffe. The food was decent, and it felt a little weird to eat at a restaurant where the people spoke English; I had to brush up my normal restaurant social skills. 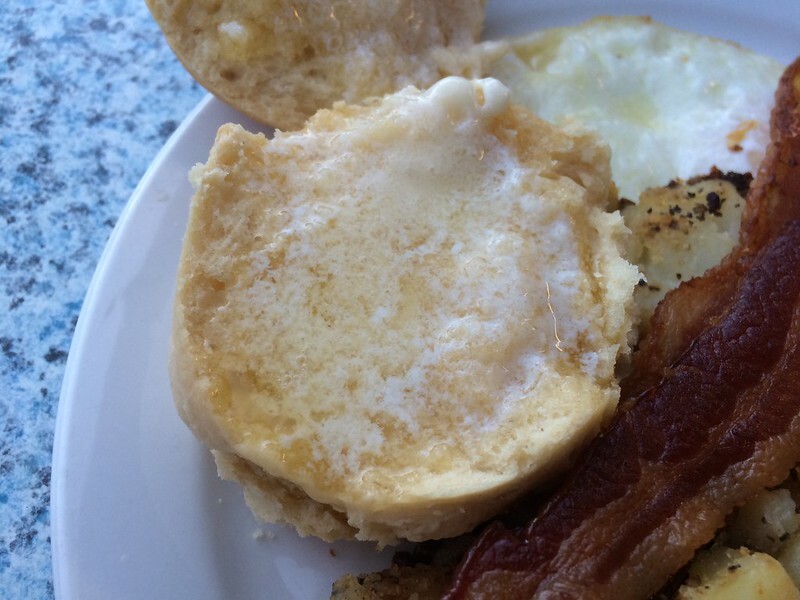 There was so much butter on the biscuit. I then drove up to Lahaina in search for one of the many recommended beaches. Apparently, many of those beaches did not exist or were right next to resorts, so I just went to the public beach near Lahaina Harbor. I rented a board from a man who had car-shop looking store front with a couple of boards and a bunch of tattered rash guards and hole-y booties. He was really laid back, almost to a point where he seemed like he didn’t care at all. I was almost scared to leave him my rental car keys. I rented a long board as I usually did, and my session started off just like all the other times I “surfed”: mostly trying to surf. There was a lot of trial and error,and a lot of internal thinking, trying to figure out how to do better the next time. Also typical of my surfing experience, the gentle rhythm of the waves distracted me from focusing on catching the waves properly. Then someone came up to me and started telling me how to catch the waves. Not knowing who the guy was, I tried to ignore him at first, but he continued to shouting instructions. He was a middle-aged man with a totally bald head and seemed to have some tattoos. On the surface he seemed like someone I would not normally socialize with. But being a newbie and naturally following people who shouted commands at me, I did what he said, and I did no better or worse than before. But I did something. Soon after, he told me my board was too long and that I should use a shortboard. He told me to switch with him, and not knowing how to politely refuse, I took his shortboard. I then tried to catch the next wave and surprisingly, it was slightly easier to do. I still didn’t pop up, but I felt that I could the next time. This man suddenly earned my trust. The tattooed bald man continued to give me instructions to improve my timing. Still not knowing who he was, I had yet to fully embrace and apply his commands. That reluctance and lack of confidence kept me from fully clicking with the sport, so I continued to fail one time, succeed the next, and then fail again, except it was at a better level than before. 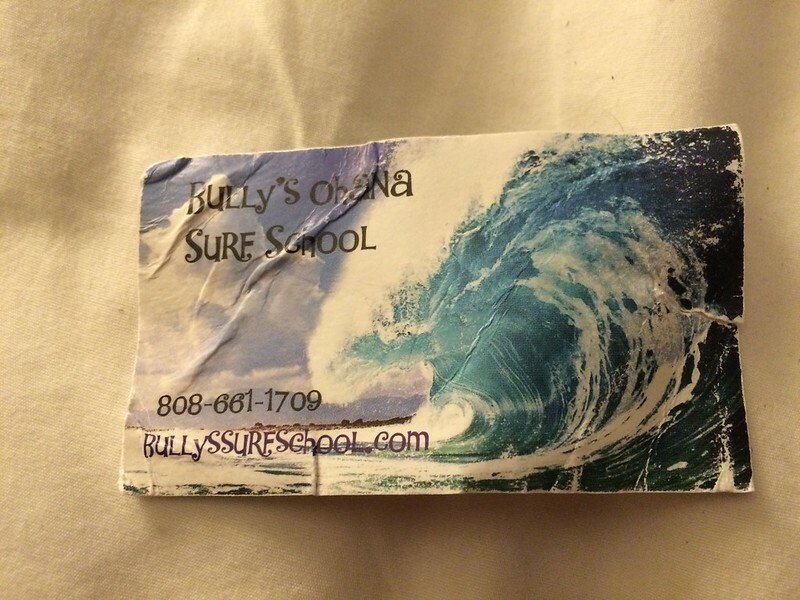 It turned out the man was a surf instructor, and his name was Bully. He told me I had the basics right, and I just needed to improve my timing and refine my form. He mainly did private lessons, and he was curious how long I was in town for and if I would want to take a lesson. He had a plastic baggy of business cards and handed me one. I felt it was too sales-y, but then I switched on my “Take chances” and “Just do it” mindset and started working out my schedule to see if I could do it. He even pulled out a business card from a resealable plastic bag and handed to me. I thought it was going to dissolve in the water, but it held up pretty well. The back of the card advertised his wife’s stand-up paddle board classes. But in the end, I didn’t do it, partly because the timing was too tight, though I wish I did if I had more time. His free quasi-lesson made such an impression on me that I would recommend him to anyone if they happened to be in Maui for a few days, including my future self. After the surf session, I drove down a few blocks to downtown Lahaina for some lunch. 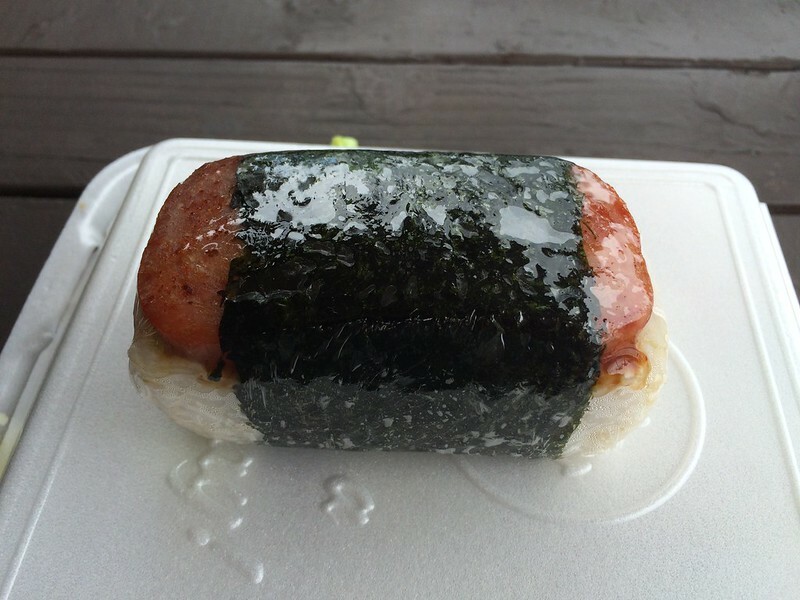 Based on my Yelp research, I stopped by Local Food, which was walk-up window type of joint, and ordered a delicious and filly kalua pork rice plate with piping hot spam musubi (see food section below). I parked in a paid parking lot in downtown, pretty close to the Lahaina Banyan Court, and became amazed by the incredible banyan trees seemingly interconnected with one another. Then I just strolled down the street checking out the shops, looking for patches for my luggage and souvenir stickers for my notebook. I also got some shave ice. The street was by the water, and I had to capture to beautiful scene. I took a vertical panoramic picture that showed the tree above me, the bright sky, calming waves, and smooth sands at the bottom. For my last full day of the trip, I decided to take a tour of Maui and take advantage of where I was and learn more about it. I found the tour company Hike Maui, which offered a number of tours ranging in length, location, and level of physical activity. 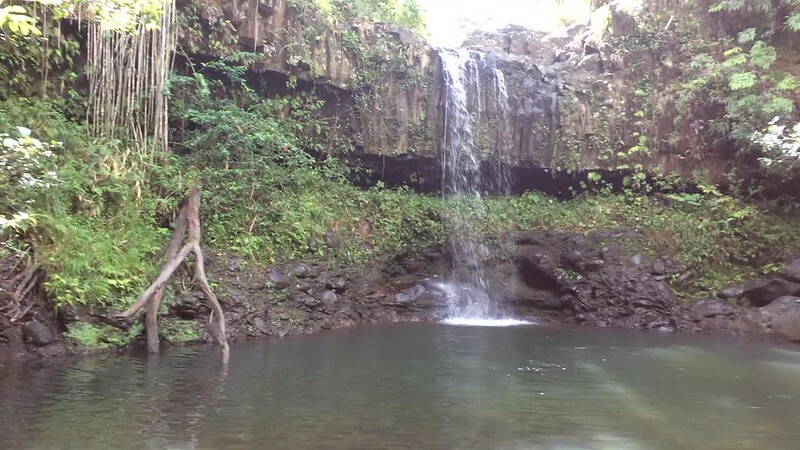 I signed up for the “East Maui Waterfalls & Rain Forest Hike” which was supposed to allow guests to swim under the waterfall. 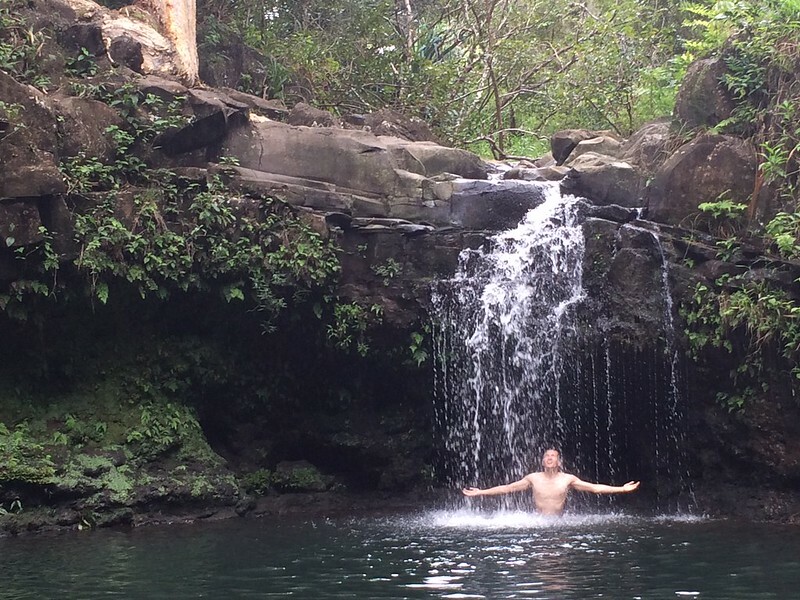 It was not in my plans to do that on the trip, but since the option came up, I quickly imagined the cheesy, picturesque scene of me right under the waterfall with my arms wide open, and it suddenly became a goal for me to accomplish. I booked the tour a little over twenty-four hours before, and the website/company was relatively responsive and gave me a confirmation pretty quickly. The confirmation email did ask to bring shoes we would not mind getting wet and dirty in, and since I did mind getting my hiking shoes wet and dirty, I bought a pair of water shoes from Safeway just for this tour. 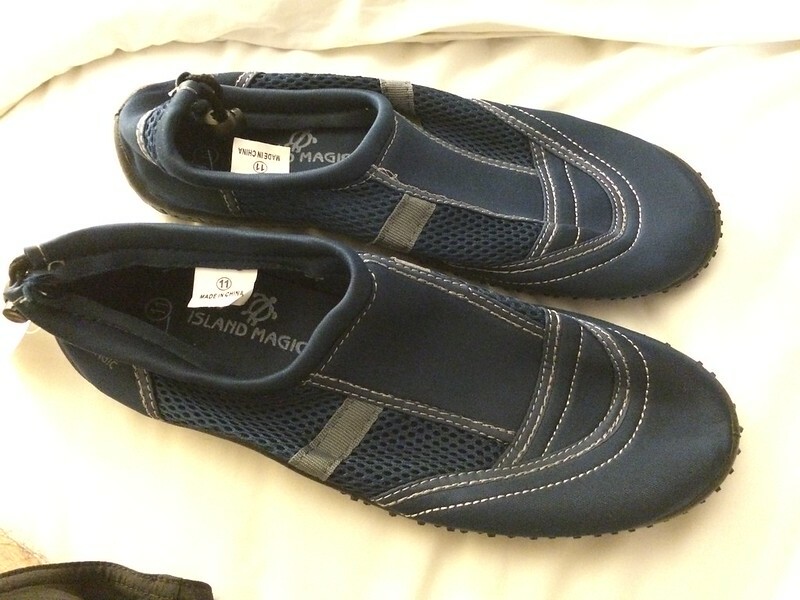 I found out at the start of the tour though, that they had a box of water shoes for guests to borrow, so I didn’t have to buy my own pair. After the tour, since I didn’t have room to bring them back home with me, when I checked out of the hotel, I left the shoes in the hotel’s pool supplies room for others to use. When I arrived at the pick-up place, which was a random parking lot on the side of the highway near Kahului. When I arrived, it was just my car in the parking lot and it was raining. I was worried somehow I missed the pick-up or that it was canceled. After so many tours on this trip, I was still nervous about a tour going wrong. But pretty soon, I saw a Hike Maui branded van pull up and I quickly got my stuff and got on the van. We then drove to the Hike Maui headquarters and picked up the supplies, including water shoes and our packed lunches. The drive to East Maui was a little long; it took about an hour, but like any good tours, the tour guide, Ashley, who was also our driver, filled the time and talked about our agenda for the day, some history and culture with Hawaii, along with information about the towns and natural landmarks that we passed by on the way. 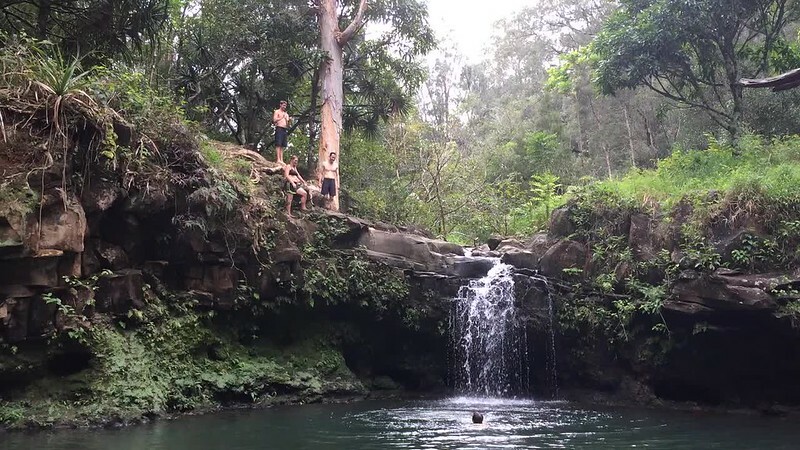 We were told that the area we were hiking was privately owned, and Hike Maui (along with a few other companies) had deals with the owners so not everyone could go to where we were going. Once we arrived, we loaded our bags with food and other gear, used the porte-potties (because we weren’t supposed to do our business anywhere else, and started our tour. 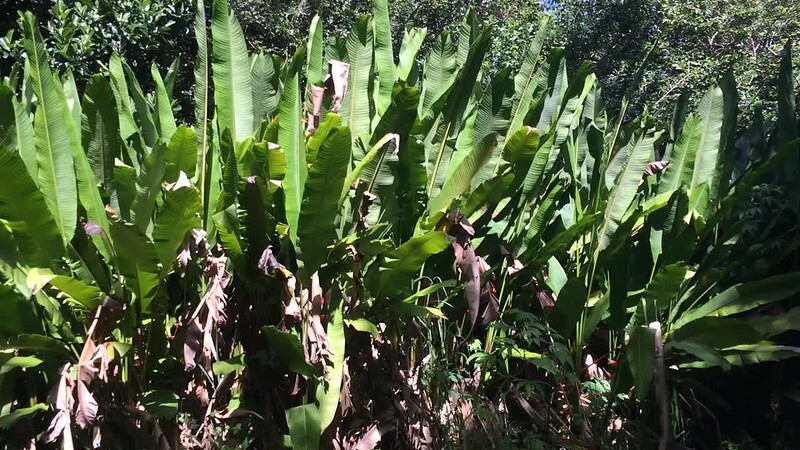 As I learned from the videos on the website, Hike Maui’s tours were different from most tours I had been on. 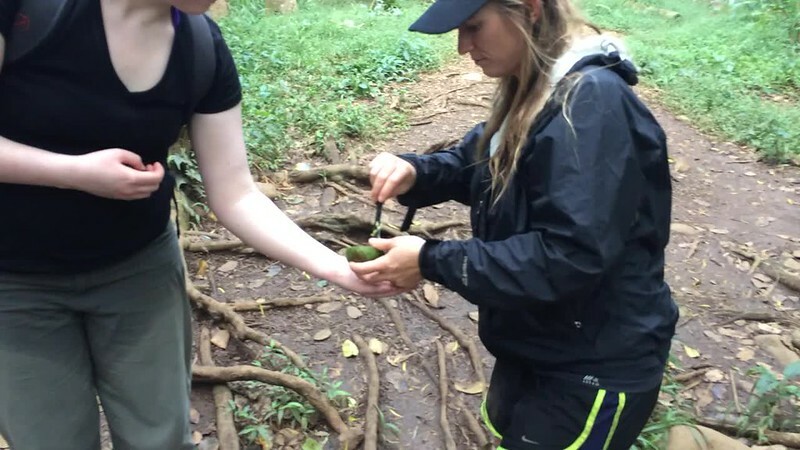 Throughout the hike, in addition to just talking about local plants and biology, Ashley the tour guide pulled off different plants and fruits to show us more in detail whatever she was saying. 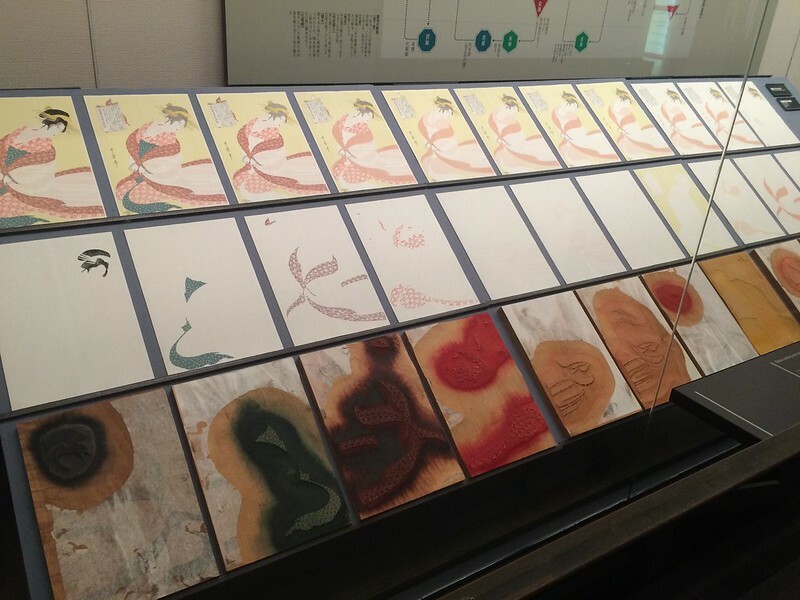 It was a really neat format that helped keep guests engaged. About forty-five minutes into the tour, we reached our first waterfall. We got to take a dip to cool off, then we continued our hike. The water was cool, and the warm weather made it easy enough to dry off quickly. At the second waterfall, we took a lunch break, and we were allowed to jump off the short cliff over the waterfall. I wasn’t sure about it at first, but the “Just do it” part of my brain kicked in again and I did it. This was also my opportunity to do the dramatic waterfall photo. 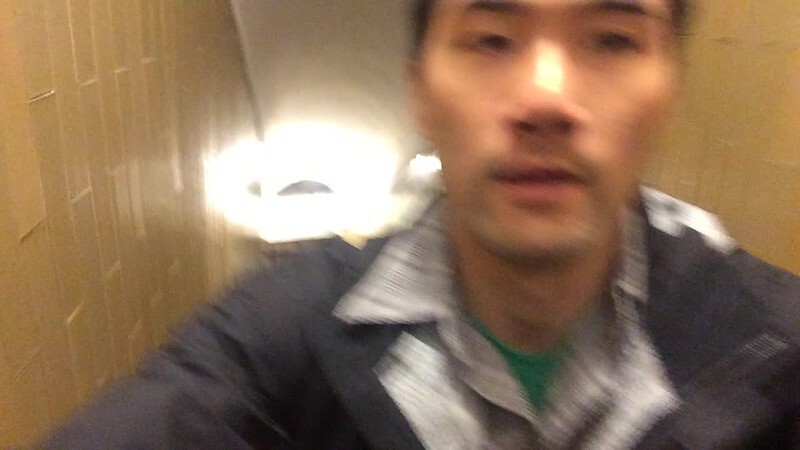 So I asked Ashley to take the video and photo. I could sense her silent awkwardness as she watched me do this cheesy pose, but I didn’t care nor did I try to diffuse the awkwardness by acknowledging. I wanted the shots. After that we hiked some more, checked out a few more waterfalls, ate some things that Ashley pulled off and cut up for us, and unknowingly, we arrived back at our starting place. 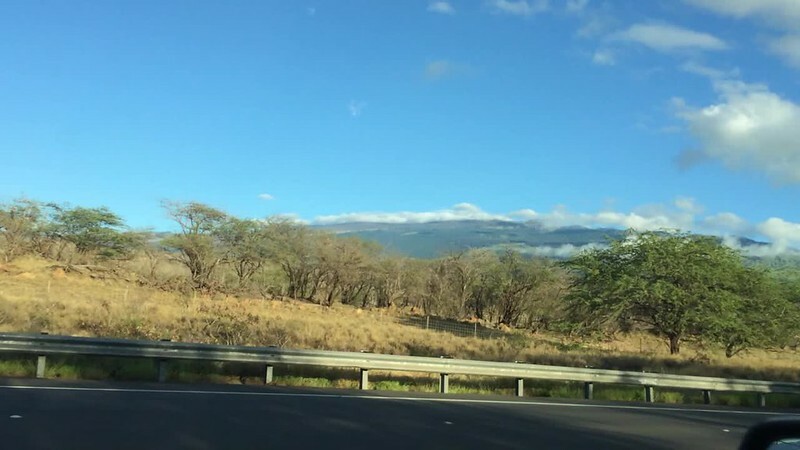 The drive back to Kahului was pretty low-key. We did drive by very long, clean, blue waves long the shore, with a couple of surfers hanging out in the line-up. It made me very envious and wish I had more time to check this side of Maui. Ashley dropped me off in the parking lot by the side of the highway where I got picked up. I thanked her and gave her a tip. We said our good byes, and she drove off to drop off the other guests. After the hike tour, I decided to take up my last chance to hang out at the beach in Maui, since I still had yet to do so. 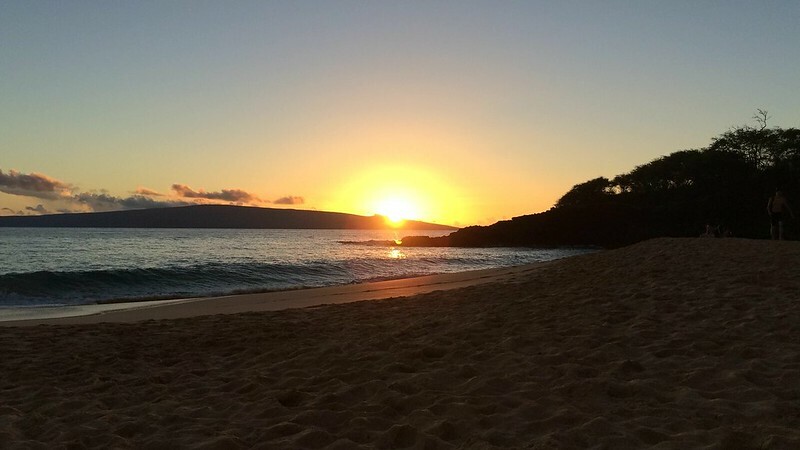 I heard that Makena Beach/State Park in south Maui was pretty popular. But when I got there, the sun was about to set and the temperature was already cooling down. So I made the best of it and enjoyed the sunset instead. 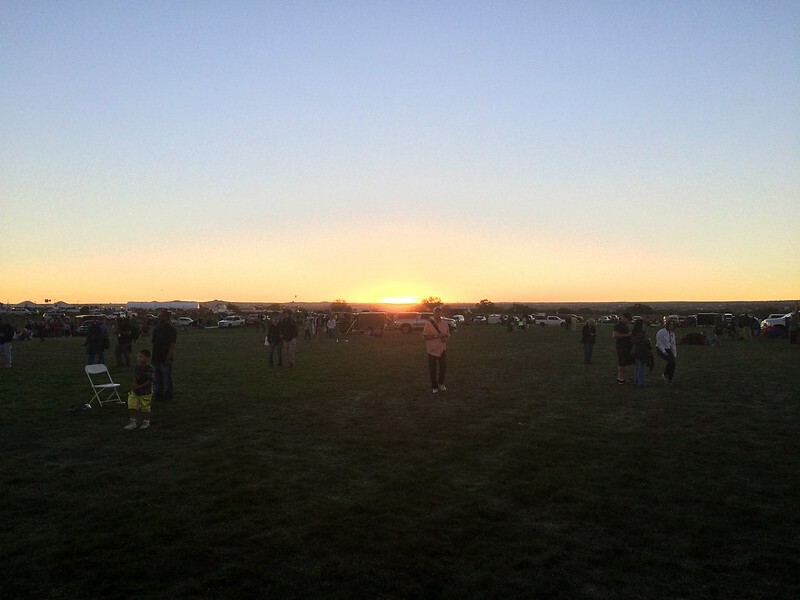 As I watched the sunset, I reflected on the past forty-some days of my trip, especially on the second day, in Albuquerque, when I temporarily lost my wallet. I watched the sun set in the Albuquerque landscape wondering with worry what else could happen in the next forty-some days. A note about my relationship with food: I am more of a “eat to live” type of guy. In my regular daily life, I try to eat very healthy, and I splurge a little bit once in a while. When I’m traveling, I loosen my restrictions a bit and eat what I can get, while still trying to select the healthiest choice. 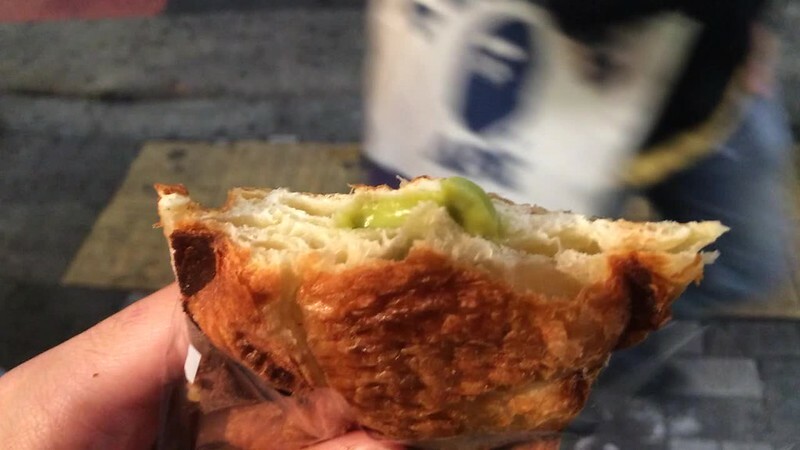 However, if there is a dish or a food that is well known where I’m traveling, and it’s within my taste preference and budget, I would put in extra effort to try it. And my weakness is desserts. 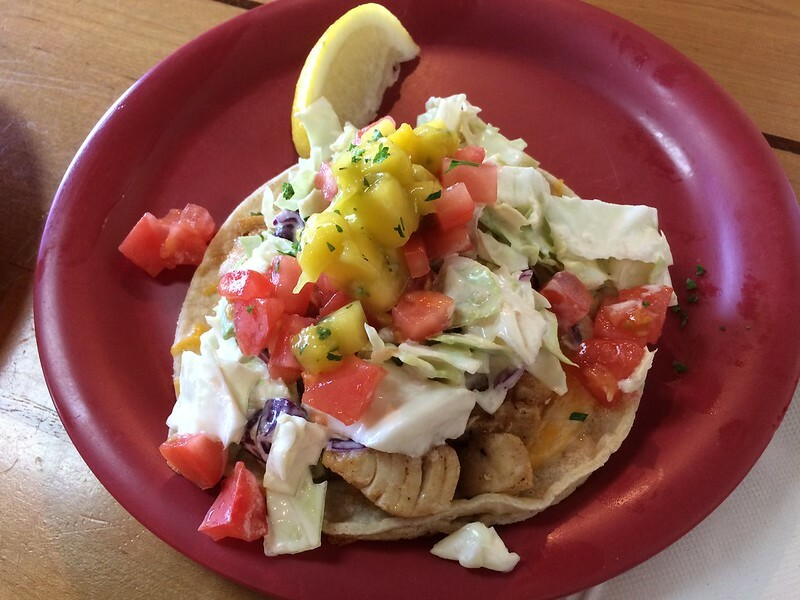 The first meal I got after arriving and settling in in Kihei, Maui was fish tacos from Coconut’s Fish Cafe. I never really had a preference for fish tacos but it showed up on yelp for being very good, and I was really hungry, so I gave it a try. The fish tacos turned out to be quite delicious. The fish was freshly cooked and pretty filling. The mango salsa was a bit spicy but tasty. It was kind of messy to eat. Still, it was definitely satisfactory. I ordered two and it was a good amount for me. On my second day, I was so tired from traveling that I spend the whole day in the hotel, mostly sleeping and TV surfing. But I still had to eat dinner, so I got take out from a restaurant that was probably not the best representative of Hawaiian food, L&L Hawaiian Barbecue. This was normally not part of my diet anyway, but it was one of the places that was supposed to have spam musubi, which I was craving. 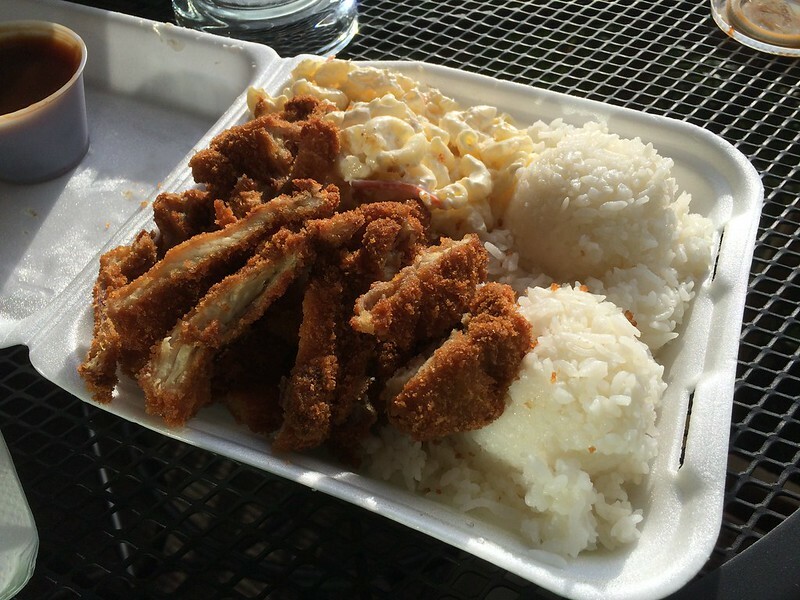 Unfortunately, they didn’t have it, so I just had the chicken katsu plate. It was still filling, though. 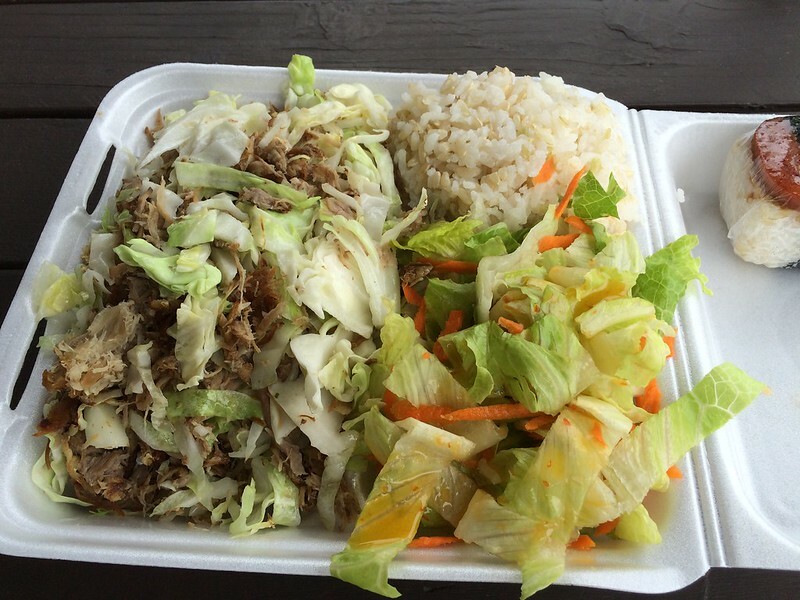 After a surf session in Lahaina, I found Local Food on Yelp and got the kalua pork rice plate, as well as the spam musubi. The rice plate was so good and filling. The kalua pork had just the right amount of flavor and it wasn’t too salty. 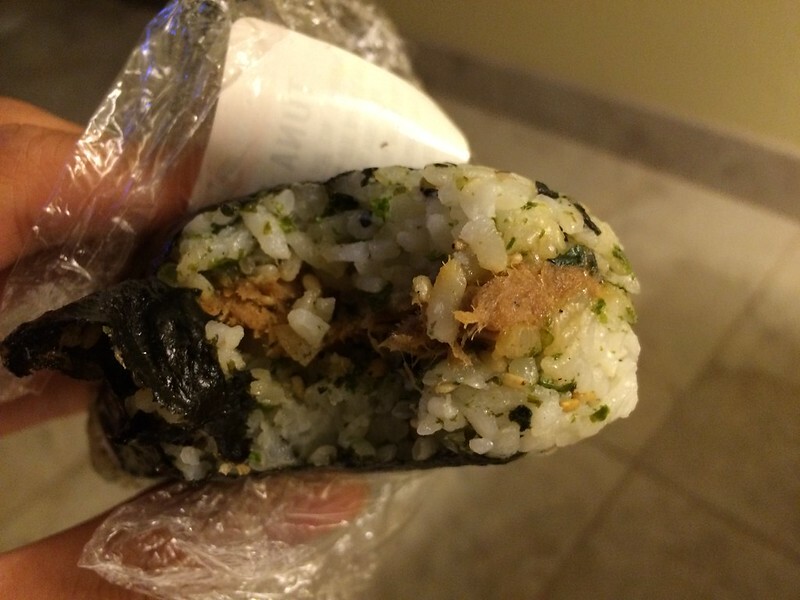 The spam musubi was wrapped tightly in plastic wrap, and it was quite hot to handle. Even after eating the rice plate, it was still piping hot. 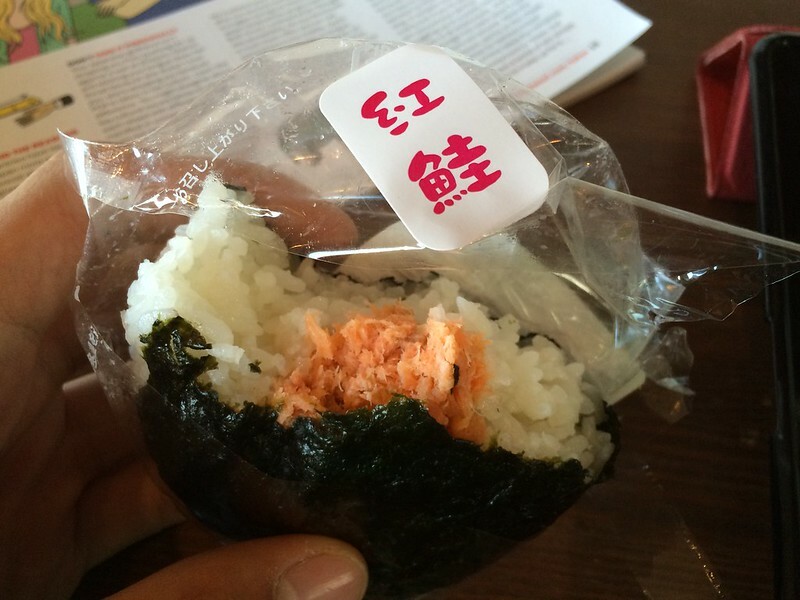 Also, I was expecting delicious flavors from this neatly packaged treat, but it pretty much tasted exactly as what I could see: rice, spam, and seaweed. The mango flavored coconut cream mochi was sweet and a bit tangy, but too soft to hold its shape after biting into the creamy center. 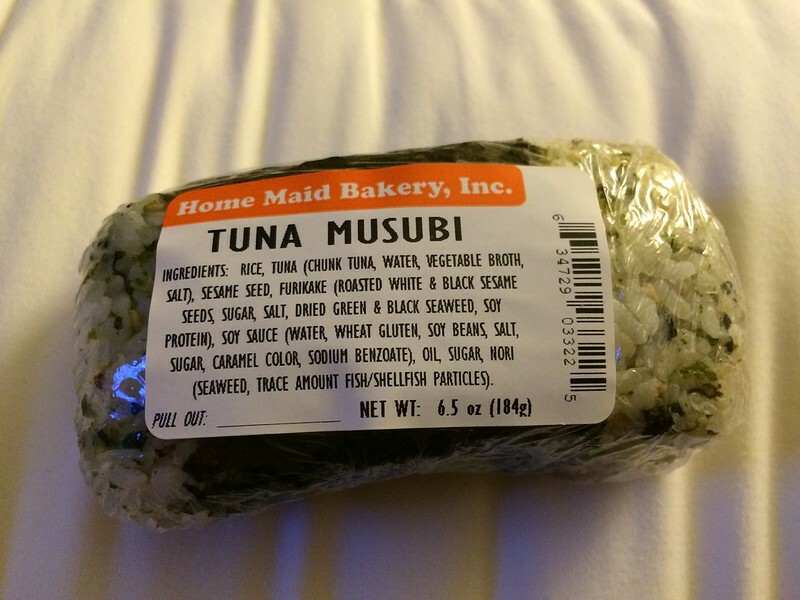 The tuna musubi was a mix of diluted rice and tuna flavors. 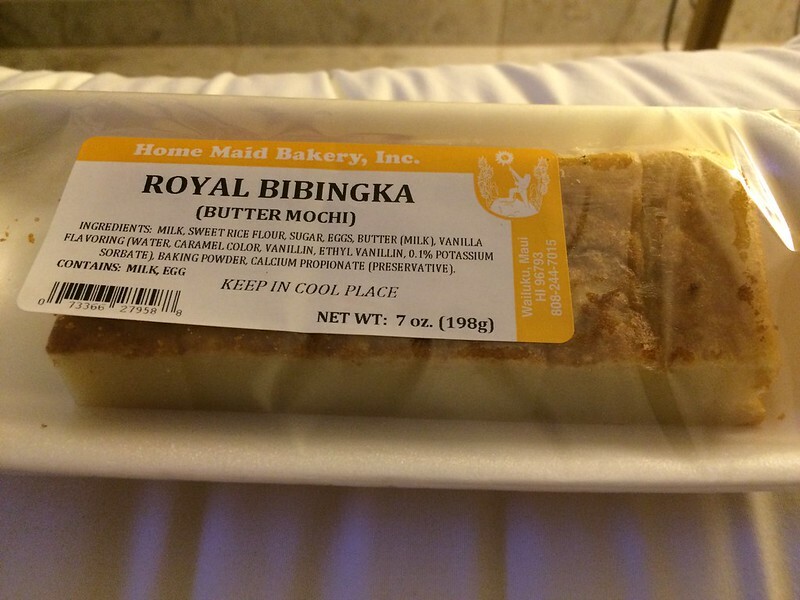 The texture of butter mochi reminded me of a Chinese treat (they were probably pretty similar), but the semi-savory flavor threw me off with what I associated the name “mochi” to be. 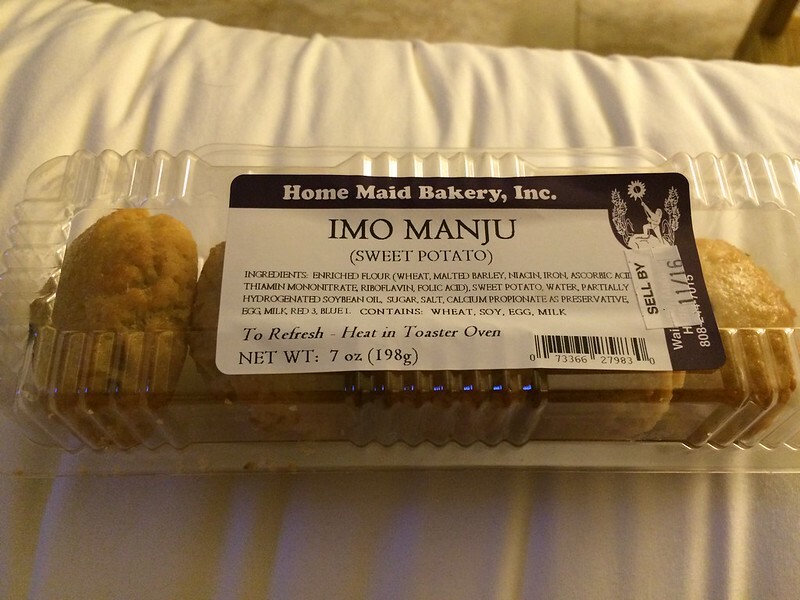 The mango was pretty much a big crumbly cookie with a little bit of filling inside; there was too much cookie and too little filling for my preference. 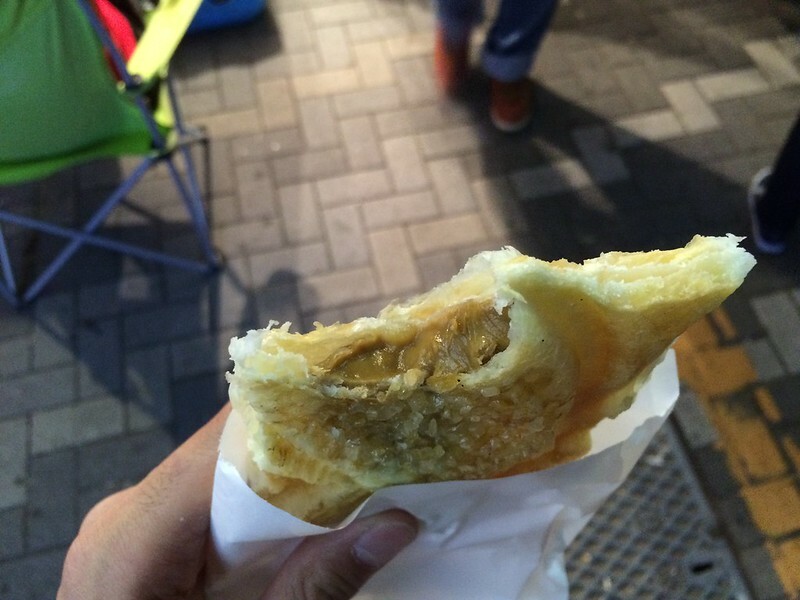 This was a hand pie of some sort, I honestly didn’t remember what it was, but it tasted okay. 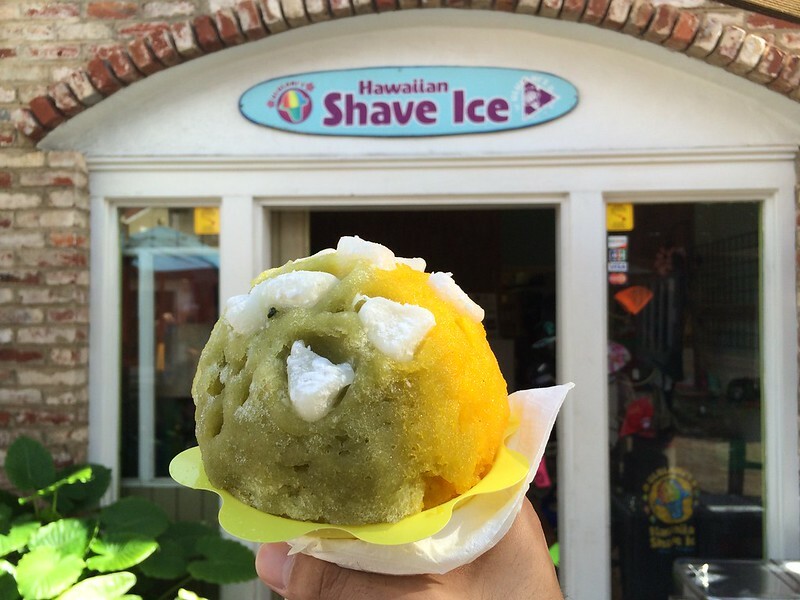 The breakout food from Hawaii for me was shave ice. I fell in love with it the first time I had it. The folks at Ululani’s Hawaiian Shave Ice did a good job packing the ice, carving it out, and assembling the cone with flavors and toppings. My favorite parts to the shave ice aligned with my green tea and mochi obsession, which conveniently carried over from when I was in Japan: green tea, mochi, and azuki beans. I only wished the weather wasn’t so warm so I had more time to enjoy the shave ice before it melted. 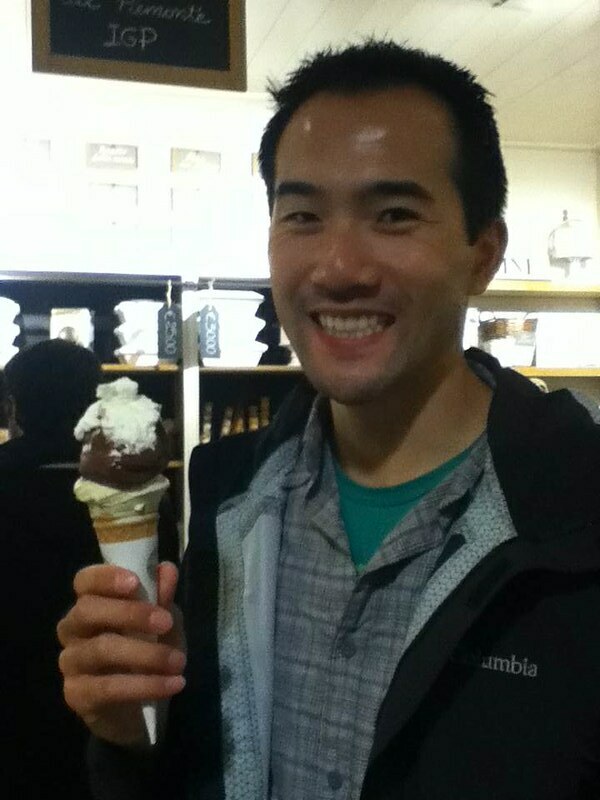 Noticing a highly-rated gelato shop in Hawaii, I figured I should try it out. The first time, I got a local favorite, the Sandy Beach. It was basically a very caramel-y sweet, dense gelato with bits of brown sugar and other things in it, making it a bit gritty, like sand. Overall it was good, but it was one of those flavors where I would recommend trying once and then move on to other flavors. 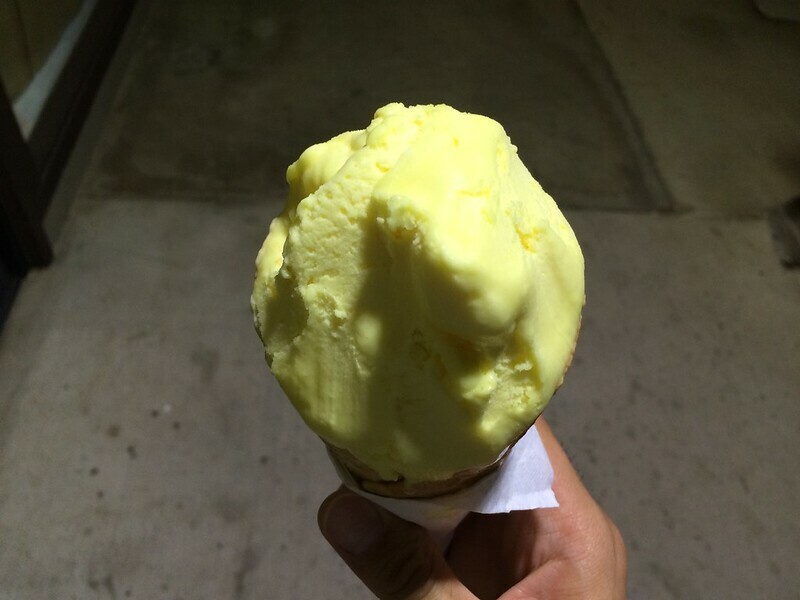 The second time, I got a lemon gelato. Even though I realized I liked milk-based gelato more than fruit-based, I figured I should try it one more time. It turned out I was still right. 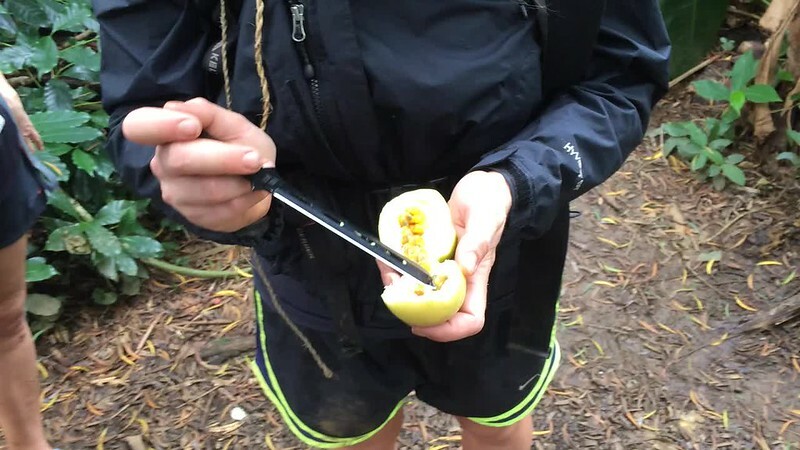 This lemon flavor was really sour, almost in the lime territory. I flew from Maui’s Kahului airport to Honolulu, then flew to San Jose, California. However, I was having trouble checking in to the flight from Honolulu to San Jose. The flight was co-operated by American Airlines and Alaska Airlines, but there was a slight time change, and somehow that wasn’t updated with one of the airlines or some other reason, and the check-in website said to call the provided number. I was very fortunate this happened in the States where I had a cell plan, because I ended up spending at least an hour doing the “We can’t do anything on our system, you’d have to call the other airline” back and forth multiple times. It was quite stressful as the thought of not being able to return home on time was becoming more and more real. 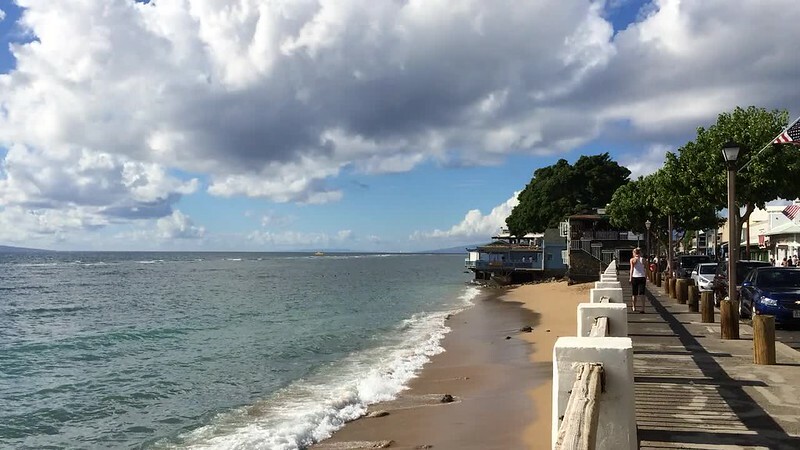 Knowing that I could fly direct from Maui to the Bay Area instead of connecting in Honolulu with a very short timeframe, I started toying with the idea of dropping the two original flights and booking a new flight from Maui. It was somewhat ironic that I was stressed from the potential of being stuck in paradise. But it was also ironic that the flights I had the most problems and was most stressed out with were the ones to and from the most relaxing part of the trip. Finally, I had to stop the back and forth calls, and decided to go to the airport earlier to sort it out. That would mean I had to skip the final two food runs I wanted to do in the last hours of my trip. Instead, I got McDonald’s breakfast, which was honestly a fine alternative, because I allowed myself to indulge on McDonald’s whenever I went on vacation. Wallet’s found, but not after I canceled my cards, and had them send replacements. Also, it was found only because I emailed and that I remembered the bus number. At least my ID was recovered so I can rent a car in Hawaii. Just saw the sunset of the second to last day of my trip. I remember when I saw the sunset of the second day of my trip, when I lost my wallet and I thought about how the rest of my trip would go and what kind of misadventures I would go through. The trip was amazing, And I am impressed I’m proud to have done it and have done all these and so many things in such a short time. I’ll try to get a better sense by laying it out in a collage or video montage, but I know it’ll never capture the real feeling I have. I don’t even know what feeling that is myself. Waiting for flight, came in extra early to do with check-in problem with American/Alaskan Airlines. So not going with American next time, and so going to fly direct to the island instead of jumping around. I still have to see if I can make it to that flight with an hour to de-board, run to terminal, go through security, and run to the gate. If not, my back up would be to book a new flight to Oakland overnight. This is the last leg of traveling of my trip. A couple of hurdles. It’s interesting how on the second day of my trip I wasn’t sure if I could leave the country (technically I could but I wouldn’t be able to rent a car here in Hawaii without my driver’s license), and last night I wasn’t sure if I could get back to mainland U.S. on time. With this incident, I realized that I’m often with my foot halfway out the door and use money to solve my problems. Maybe I’m traveling and spend more freely, But I think the principle is still there in my everyday life now. With this incident, I’ve been aching to go home, that I am done with this trip. But I know I’m going to miss it and wished I was still on it when I’m back. I just want to mention that while I’m still on the trip, specifically, that there isn’t anything left that makes me want to stay on the trip, but I still regard the trip as a great success with amazing experiences and incredible achievements. I am modestly proud of what I’ve done, and only time will allow me to realize how much more significant this trip is than I think right now. I think about the first half of the trip and feel so proud or more proud of what I’ve done, and with the Europe and Asia portions, they’re still recent, or feel recent that I feel them less. I know, and I hope that, while I can’t possibly feel it now without deep analysis, I will feel it in a few weeks from now, with some distance, and with sorting of the photos and videos. That’s the most that I can expect, and I hope they’ll come true. Hawaii looks small, But still large and islands are far enough apart. For this final flights incident, I’ve called American and Alaska back and forth so many times with very little to no results. In the process, I’d looked into alternative flights, including ditching my two flights and buy one direct to Oakland from OGG, to buy an earlier flight from OGG to HNL, to ensure I make it to the second flight on time with lower costs. After a certain point of calling back and forth and making myself “ask” for what I want, I had to call it and stop calling and hope for the best in the morning (with some resuming of the request to fix issue). And that’s what I did. 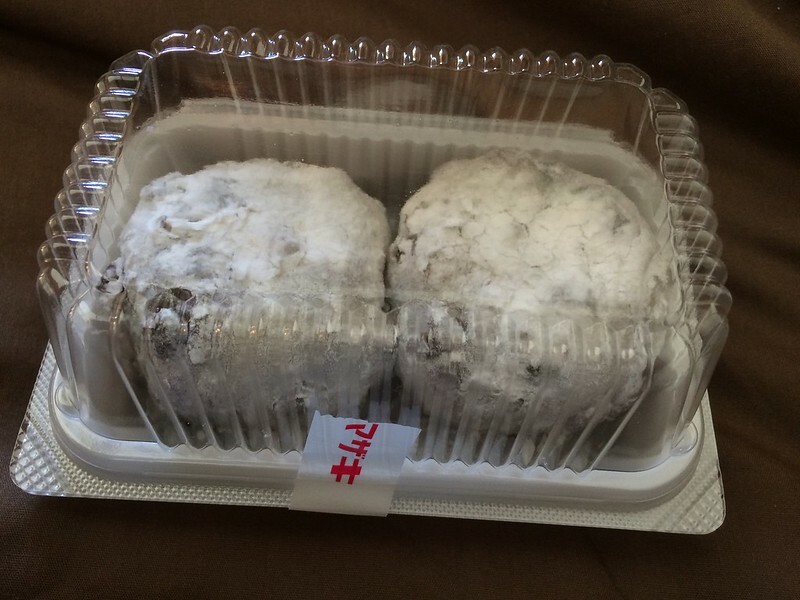 I went into problem-solving mode this morning and skipped the trip to Home Maid Bakery for more mochi, or any other place for more Hawaiian food. I got breakfast from McDonald’s because it’s safe and predictable, and I went to the airport with a commitment to resolve this. As a result, I should not worry about my ability to resolve issues. I know it’s practically innate and I should focus on doing my best with plan A. People have been asking me how the trip was, and while I want to go in detail, all I could say was “great” and that it was a lot of things happening in a short time. I’ve also been saying that my favorite spots where Machu Picchu, Eiffel Tower, and Great Wall. My favorite locations were Nice and Maui, coincidentally places with beaches. Nice guests who say hi whenever we passed by. Don’t book tickets that were co-operated, especially by American Airlines and Alaska Airlines. If they have a change in the flight information, the other airline may not update, and you may not be able to check in online; and you’d have to check in at the counter the day of the flight. 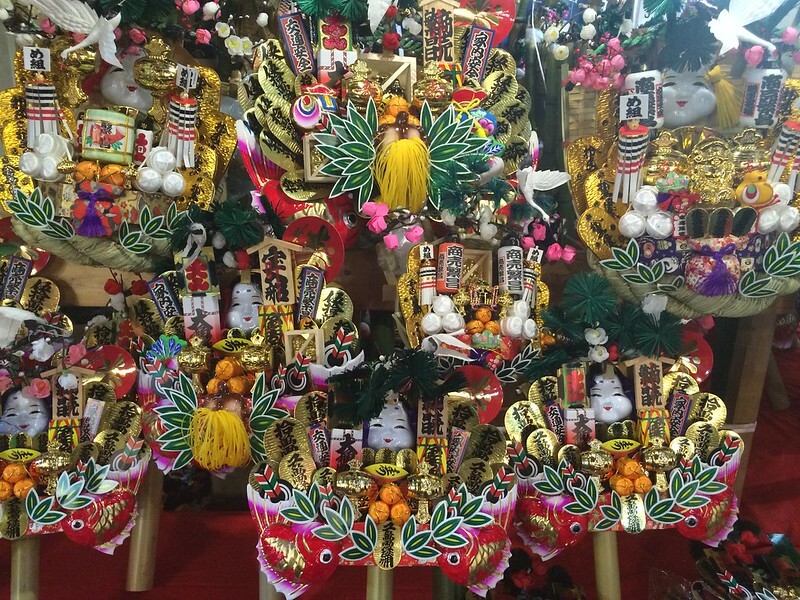 There are plenty of flights that fly directly to Maui (OGG) from both Tokyo and the Bay Area. You don’t need to book flights to Honolulu and then shorter flights to Maui. The Honolulu airport seemed to be very spread out, so book flight connections with a lot of time in between just in case. If you have questions about specific experiences of Maui/Hawaii, feel free to leave a comment and I’ll try my best to answer. 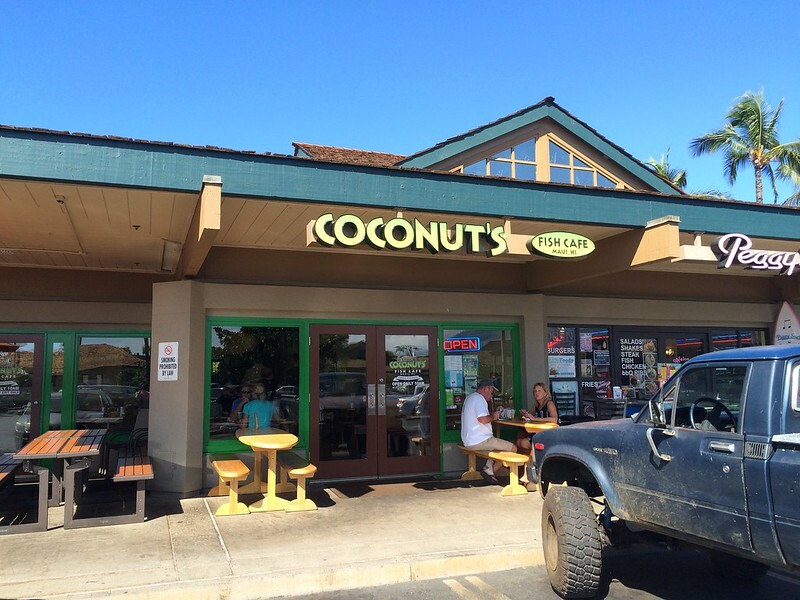 This entry was posted in Little Big Trip 2014, Newbies at Life and tagged beach, fish, gelato, hawaii, hike, ice, kalua, lbt, maui, mochi, musubi, shave, snack, sunset, surf, taco, travel on November 12, 2015 by ivanwlam. I had a fascination with the Japanese culture. 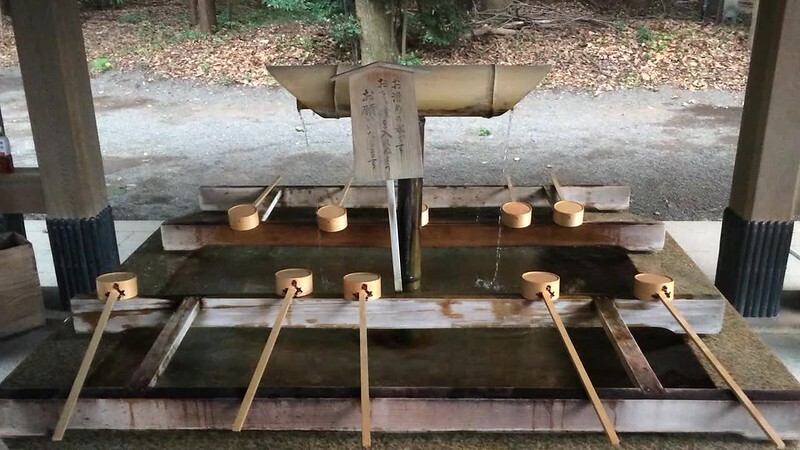 But since I grew up near Japan and was more familiar with Japanese culture than most Westerners were, my fascination was more on the orderliness of the people and way of doing things, especially when compared to the Chinese. Relatedly, there’s a particular design sensibility that also aligned with mine. And since Tokyo was the largest and most well-known city in Japan, I thought it would be the best place to experience what Japan had to offer. Sunday, 9 Nov: Arrive in Tokyo. Monday, 10 Nov: Visited Tokyo SkyTree and Asakusa Shrine, Ate Ramen, and Checked out Shinjuku streets. Tuesday, 11 Nov: Visited Edo-Tokyo Museum, Meiji Shrine, Harajuku area, Shibuya Crossing, Tokyo Tower. Wednesday, 12 Nov: Visited Roppongi Tower’s Observation Floor and Imperial Palace East Garden, and Departed Tokyo. 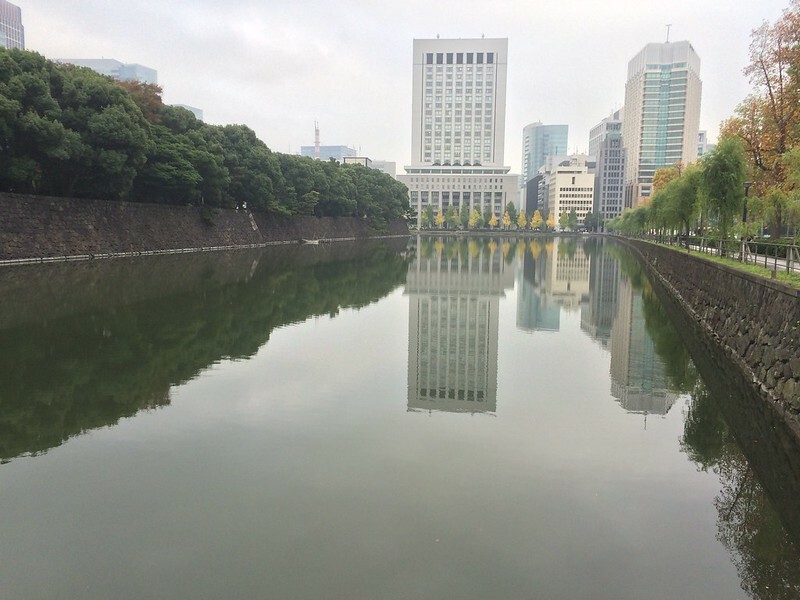 On the whole, Tokyo to me was a hardworking, bustling city like any other. There were pockets of unique qualities in the different wards, and it was fun exploring and checking out a few of them. But Tokyo was too large to fully experience in three days. 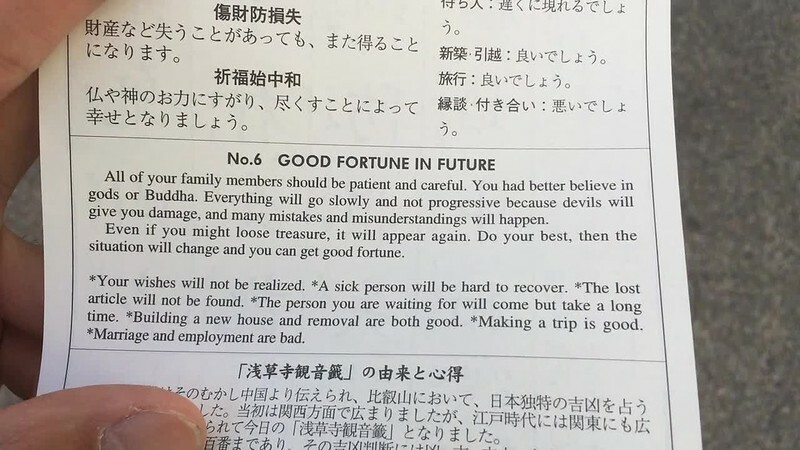 I knew about the Japanese being known for being organized and tidy, but it was kind of shocking to see in person how true it was. Usually, in major cities, there would be random areas that would be filthy with trash or unpleasant smells. This occurred in some cities more often than others. But in Tokyo, every street and alley was practically spotless. It actually almost felt sterile. 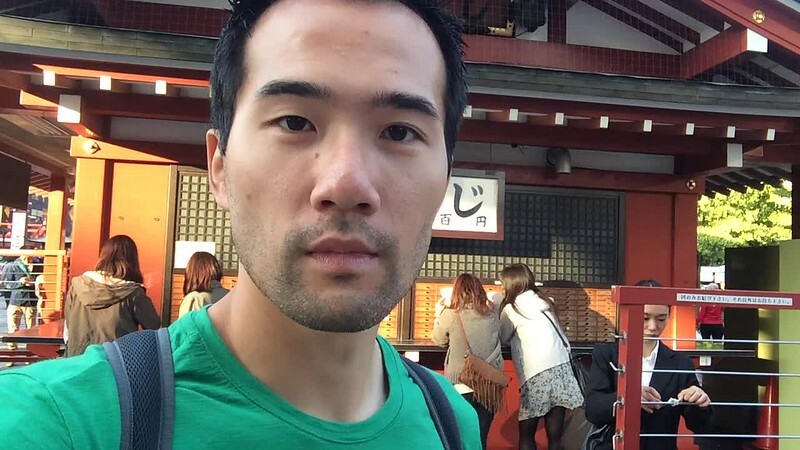 With Tokyo being a seemingly nice place to be in, I thought for a moment about living in Japan. But I quickly realized that in my profession, I would probably become the well-known Japanese salaryman working extra hard, be obligated to to go out drinking with the boss, and be very subservient to people above me in a very structured hierarchy. There would be trade-offs to consider. I flew from Beijing to Narita Airport. 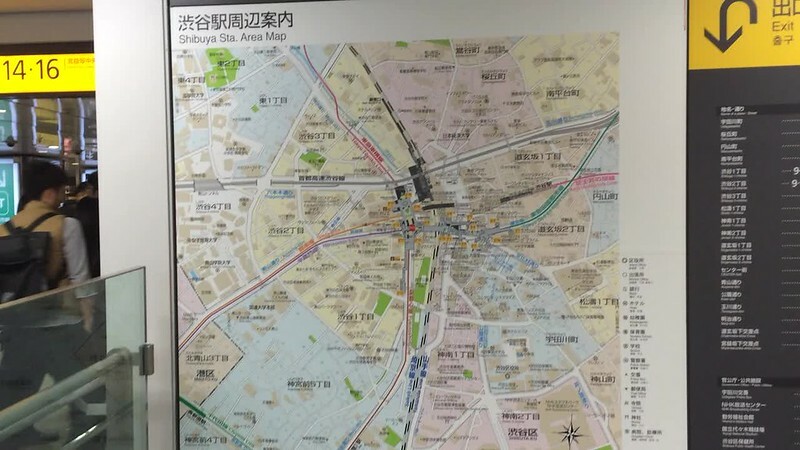 At the Narita airport, I tried to figure out by myself how to buy a train ticket to the city, but I was confused by all the different options and route splits, so I asked someone at the ticket counter which line I should take. The lady knew extremely limited English, so I repeated many times what I thought she said and what she pointed at on the train map just to make sure. About half way on my train ride, I started getting nervous about whether I was on the right train or if it was one of the routes that split off to a different destination. I couldn’t match the station names with the ones on the train map anymore, so instead of having faith and being patient like I normally would, I got off the train and figured out where I was. Perhaps I was more willing to take the risk because I was in Japan and felt more safe than other places I had been. Still, once I realized I actually was on right train, I had to pick out the next right train from the wrong trains to continue my journey. I booked my stay at Nui. Hostel, which was in the Taitō ward, fairly close to the Kuramae station. It’s been said to be a “hipster hostel”, which made me feel less worthy to stay. Regardless, it was a nice hostel. The ground level was a restaurant/lounge open to the public. I knew this going in, so when I entered, I looked around at the front desk until a worker greeted me. She could tell from my luggage that I was staying at the hostel instead of getting food. I made a reservation online but did not mention it. I didn’t see a computer so I wasn’t sure if my reservation mattered. She made a copy of my passport and I filled out the registration form. The worker shuffled some paperwork and got me checked in. She handed me the guest information and went over it with me. As she was starting, I tried to respond in Japanese with simple phrases like “はい” (Yes). But when she asked me if I knew Japanese, I quickly shifted and said “すごし” (Little), “Very すごし”. She knew some English and it was enough to communicate. 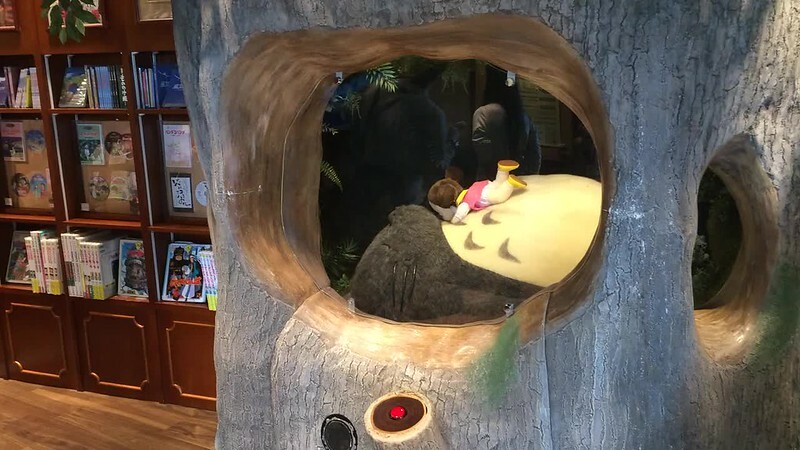 The rest of the guest-interacting staff also knew a little bit of English, and they were very nice and accommodating when I needed assistance. I booked an eight-person dorm. It had four wooden bunk beds, two on each side of the room with an aisle in the middle, leading to the window. Near the door were small wooden lockers with small metal loops for small locks. With the concrete walls and brown wood bed frames, the room was somewhat dark, especially towards the door. I supposed that helped with sleep and keeping things quiet. Lighting in the room was also limited, but each bed had its own lamp. Also, since each bed had curtains, the space felt a little tight when all the curtains were closed. The dorm was really just a place to sleep. On my side of the room, I met my roommates. One was a Japanese guy around my age from Seattle traveling to Japan to see family. One was a white American but was living and working in Shanghai. Another one was French. Throughout my stay, the two from the States just talked about different things, from places to check out in Tokyo and traveling to movies and international politics. 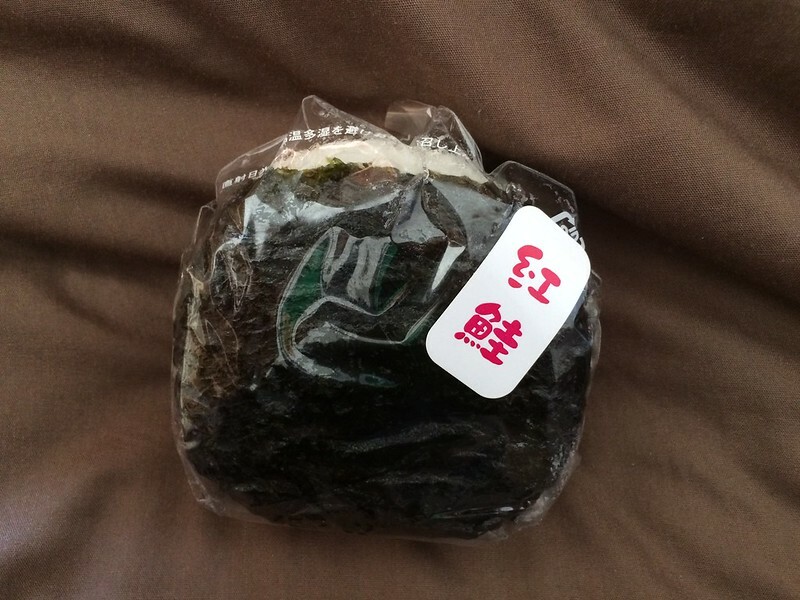 I talked about my obsession of mochi and green tea, and they seemed amused by it. On the other side of the room was an older Japanese man staying in a hostel for the first time, a Chinese (man?) who mostly kept to himself, maybe coming in late at night drunk?, and a French couple who unfortunately had bed bugs or something and asked to switch rooms and washed all their clothes the next day. They seemed to be the only ones affected, and they were in the corner of the room farthest from me, so I was a little less concerned. I was on the top bunk for the last time of the trip. It included power outlet next to the bed, curtains for privacy (similar to St. Christopher’s Inn in Paris). Sheets and light duvet were included but I had to set it up myself (with instructions given in the check-in info sheet). There were two metal loops in the ceiling with hangers, which was such a simple but genius idea. At the foot of my bed was a straw or bamboo blinds separating me from the other top bunk. At night, when the other guest had his lamp turned on, I could kind of see into his bed, which was kind of weird. The bathroom was dorm style and shared with other dorm guests on the floor. It had a few individual shower rooms and toilet rooms, including one just for ladies. The toilets were not the fancy Japanese kinds with bidets and whatnot, so I didn’t get a chance to try the different settings. The shower room had a space to change/dry off, and a space for the actual shower. 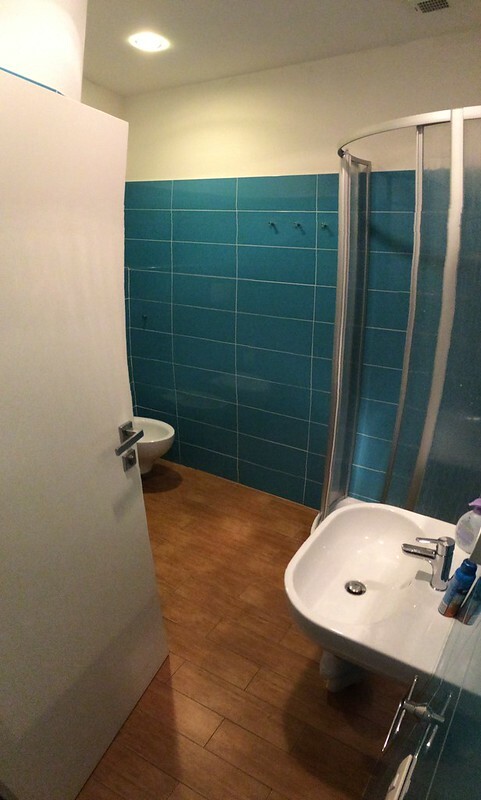 The shower had a two-pane folding door on a track that must be closed completely for the shower to turn on. It was a neat design and a pleasure to shower, thought it could get a bit claustrophobic. The shower also included soap and shampoo dispenser. 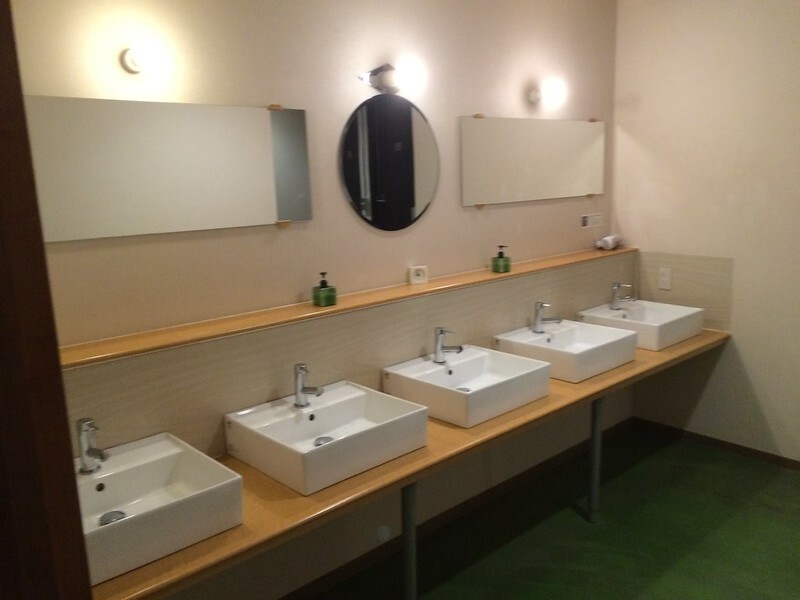 Near the entrance to the bathroom was a counter of sinks with mirrors. It was the first time using a co-ed dorm bathroom, and it felt kind of weird brushing my teeth next to ladies doing their make up or blowdrying their hair, but I just stayed cool and minded my own business. Such a noob moment. There was a restaurant/lounge area on the ground floor for the public and a guest-only lounge on the top (6th) floor. I only hung out at the restaurant for breakfast on my last day. It seemed to always have a lot of people, but it was really laid back. Aside from sleeping, I spent most of my time at the hostel in the guest-only lounge. It was a good-sized space with a large dining table near the elevator entrance. There were two long desks along the walls, with a bench on the far side. There were outlets and lamps at the desk for people to work at. Plenty of windows on one side provided pretty good light. There were many reading materials, including magazines and city guides. There was also a small kitchen area near the dining table but I wasn’t sure if it was for guest use. Between the kitchen and the elevator was the laundry room, with a few coin-operated washing and drying machines. I used the washing machine but dried the clothes at my bed. I usually brought breakfast from outside back to the lounge to eat before starting my day. There weren’t that many people using it, probably because it was on the top floor and felt secluded from everything else. It was still a nice place to just relax; though it could get boring. The Wi-Fi was good. It was not hyper fast but it was quite sufficient for looking up stuff on websites and maps. It worked in the room as well as the lounge area. The restaurant offered breakfast for sale in the morning, with different breads and pastries. 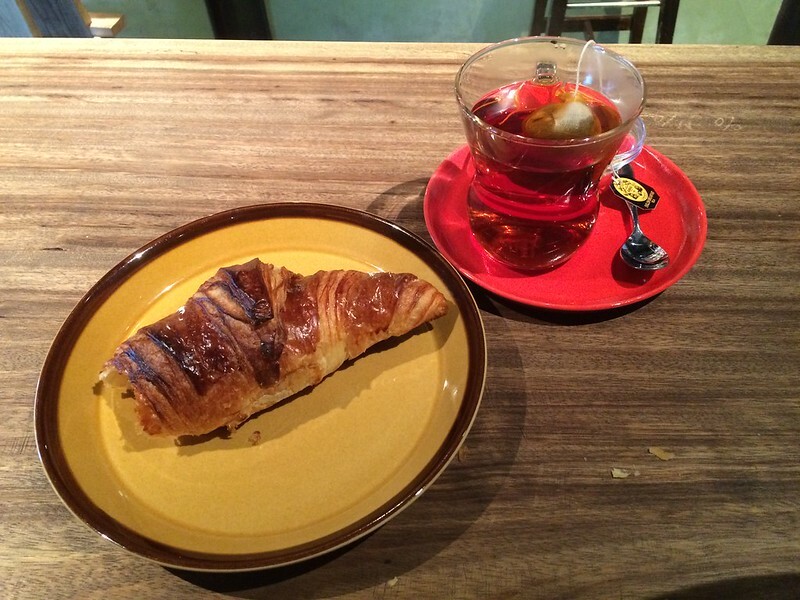 I had a croissant and ordered a cup of tea from the kitchen. The food was decent. 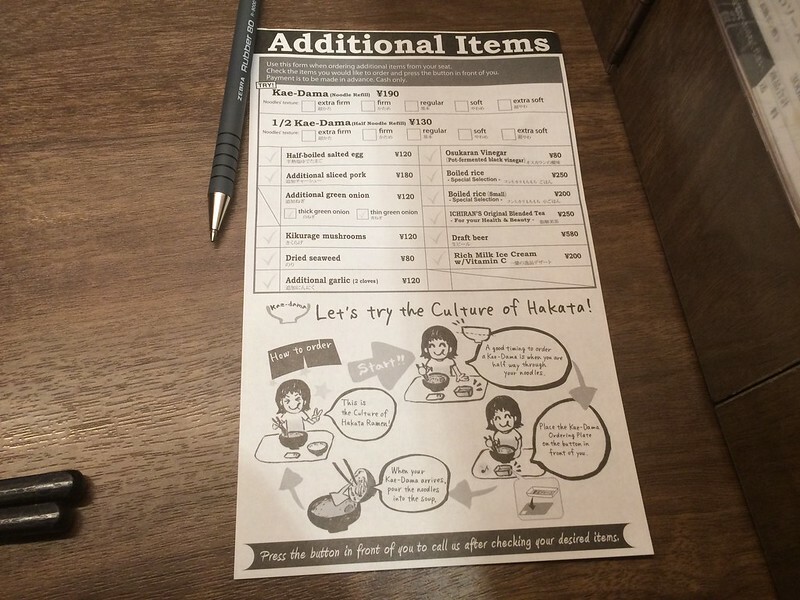 On my first night, I noticed that they had a full dinner menu, but it was too late to order anything and I never got a chance to try the dinner. 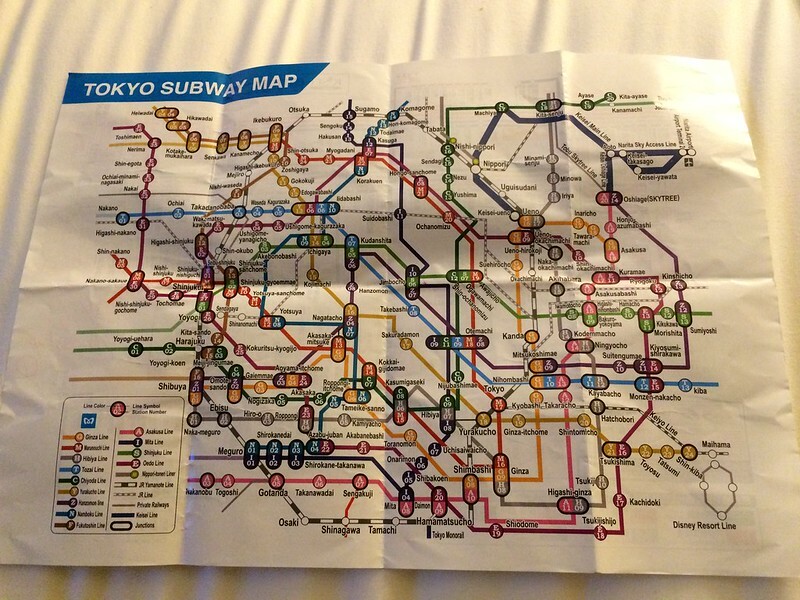 Japan was a huge city, and it has a complicated subway system owned by three companies. I took the subway to go from one area to another, then walked within that area and got on the subway to head to another area. Because the subway had too many options, and that I was only going to be in Tokyo for about 3 days, and that I had planned very little with my time in Tokyo, I opted to just buy tickets as I went. The fares were determined by distance, so I had to decide where I wanted to go when I bought the tickets at the machine. At first, the machine was kind of confusing with so many choices, even when I toggled to English. It had really specific options so I had to know exactly where I wanted to go. The ticket design was kind of utilitarian with a hint of Japanese sensibility. 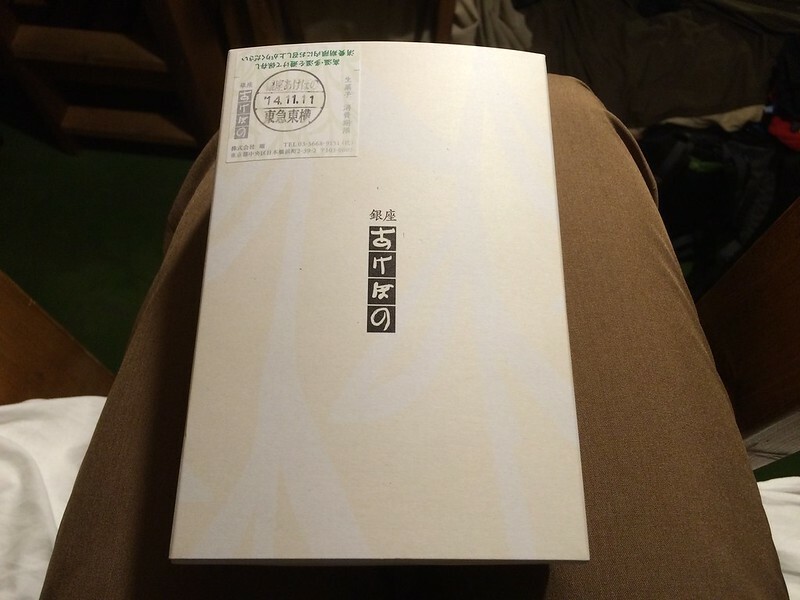 It was a rectangular piece of paper with a hole and custom-printed text. 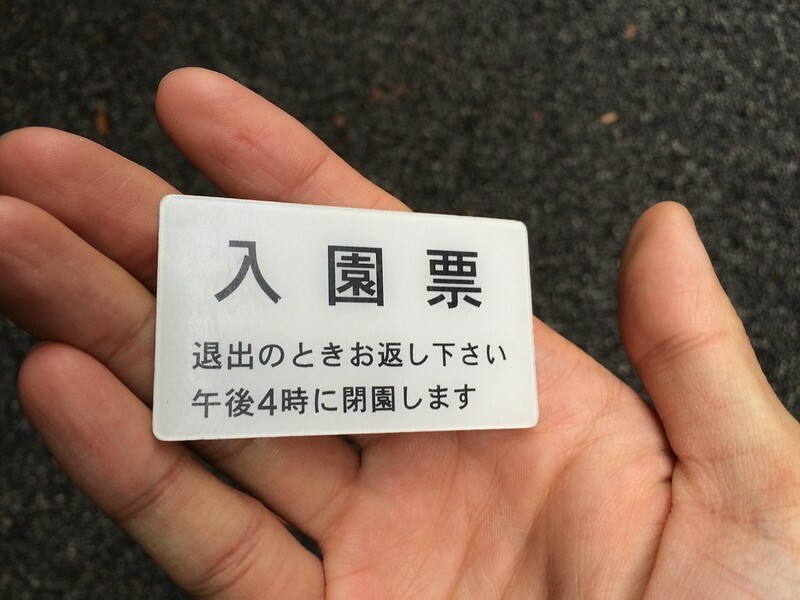 Either the machine could scan the text on the ticket or the tickets had an RFID chips in them. Japanese trains were known for being on time. Some stations had digital boards listing upcoming trains and times. For the most part, the trains came frequently enough that missing one would be fine, at least for a traveler with little regard for time. 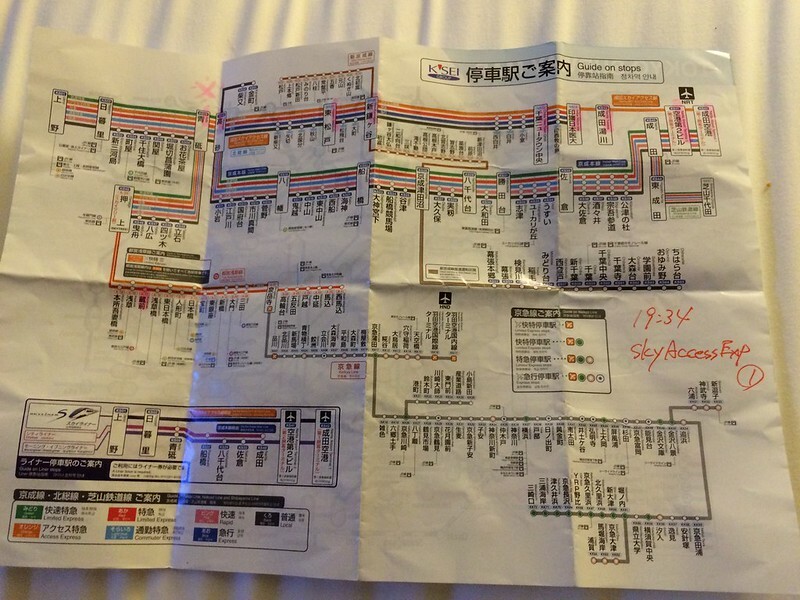 The subway map was really confusing but it was relatively easy to understand after taking the subway a few times. It was still frustrating to find that the shortest route across town would still take thirty minutes or more. Tokyo was mostly cool throughout the day. But when the sun came out, it got a little warm and I only had a T-shirt. At night, or when the weather was gloomy, I had a long-sleeve shirt and/or a light jacket on. It also rained a little bit at certain times. The people were very friendly. I think they were just trained and also grew up that way. Even if they didn’t speak English, they would smile to hide their embarrassment and either tried to get help or did their best. But sometimes, their smiles and bows did little to help me and left me wondering if 1) they had accepted my request and were continue to help me or 2) I was asking for something they could not comply so they nonverbally ended the interaction. I would then have to pursue further to confirm either case, or that I would suggest doing something else if I asked for an undeliverable request. Nonetheless, the people were nice and would do as much as they can to help me. For example, I was heading to the airport and wasn’t sure which ticket to buy because it wasn’t on the usual subway menu. I asked the station attendant but he couldn’t speak English. 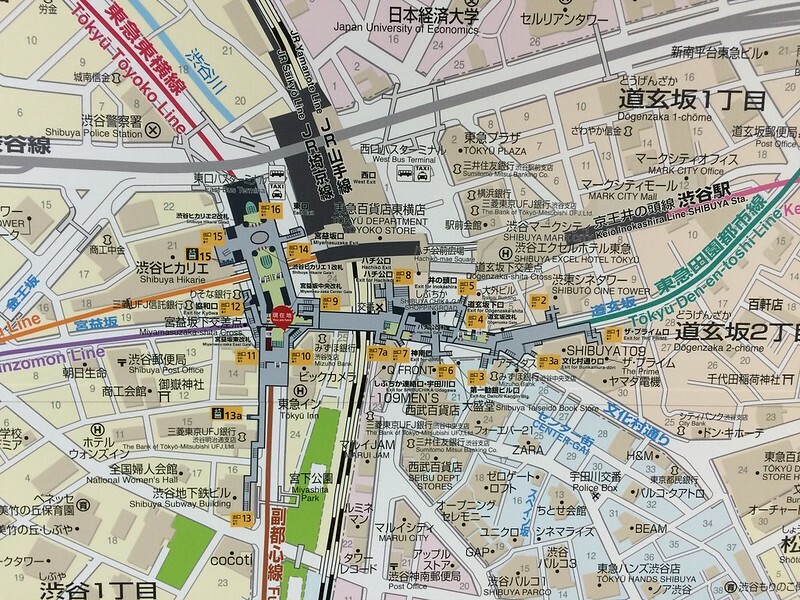 He pointed at route maps on a counter and at ticket machines, but I couldn’t understand him. I walked to the ticket machine trying to do what I thought he wanted me to do. But the attendant eventually came out and pressed the buttons for me. From my limited experience reading people, he was a young man who seemed to have held the attendant job for only a short time. He didn’t seem to care a whole lot about the job, but his sense to serve seemed to have driven him to continue to help me. And I was glad he did, because I really didn’t know what to do. I probably would’ve figured it out myself or took my best guess after poking around on the screen a few times, but it was very nice of the attendant to help me. 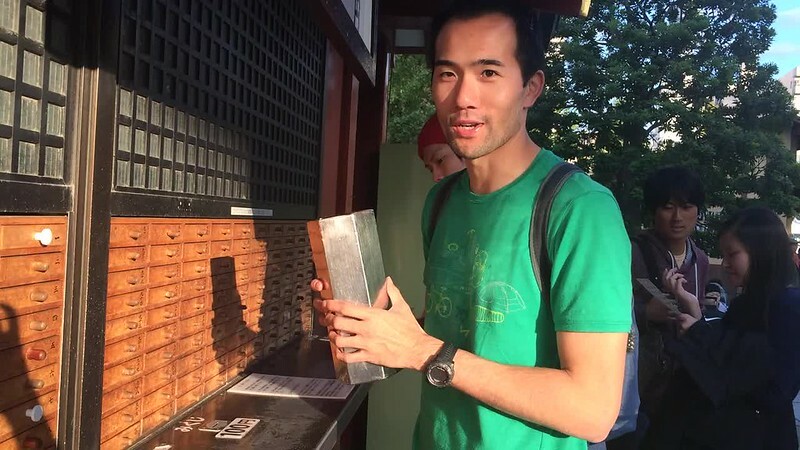 I took one semester of Japanese in college, and I became mildly interested in it ever since. It may have been because my Chinese language background made learning Japanese easier, or that I was naturally interested in learning languages. I had learned the Japanese alphabet, both hiragana and katakana, and could still recognize most of them. For the trip, I took a course of the audio tapes like I did for the other languages, and it was nice to get a refresher but also good to learn new basic actions, like eat, drink, go, etc., even though, like the other languages, I didn’t have enough confidence to use or the sufficient practice to understand. When I checked in to my hostel, I noticed the Tokyo Skytree in the near distance. So I walked up to the river near the hostel and tried to get a good shot of it, even though it was sort of raining. At first I did not know it was called Skytree; I thought it was called Tokyo Tower! The next morning I figure it would be a good way to get my bearings by walking to the Skytree. 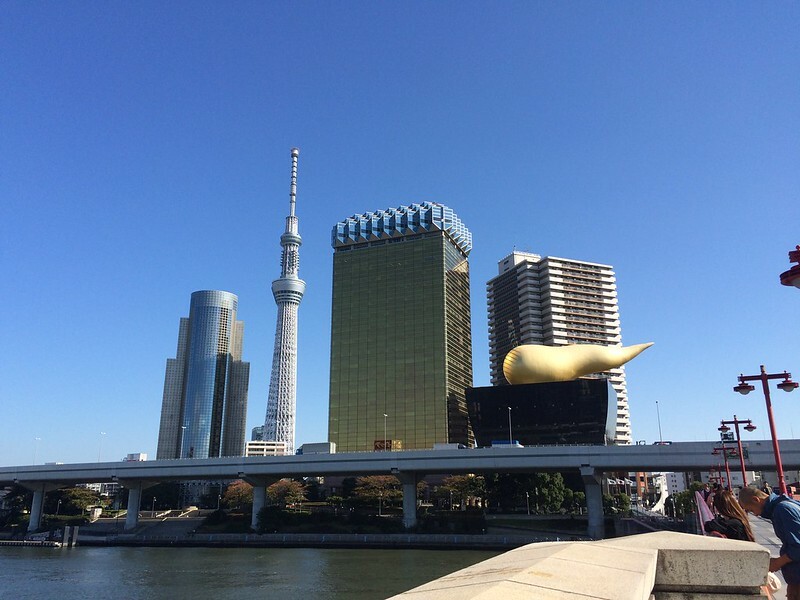 I crossed the Asakusabashi bridge and had a direct view of the Asahi building. Near the Skytree center, I went to a convenient store to get some snacks. 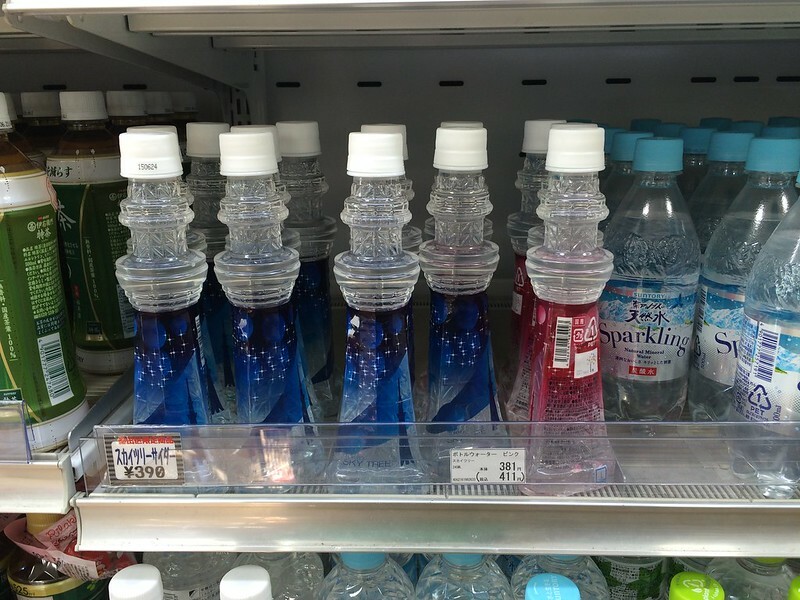 I noticed these Skytree shaped bottles, which was not surprising at all. 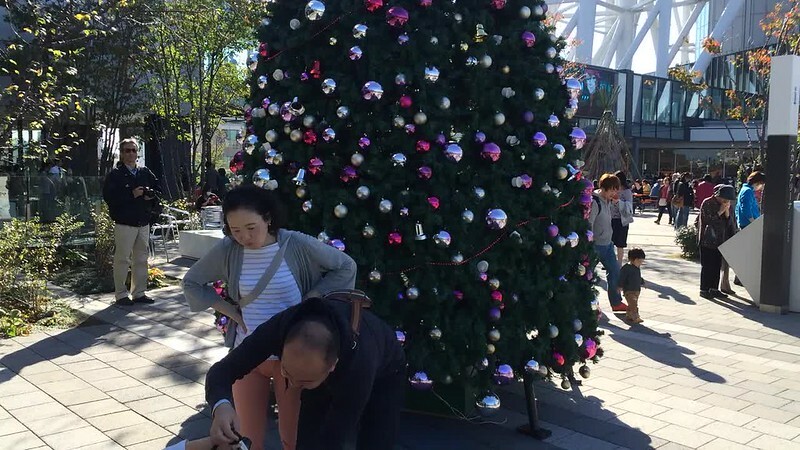 The terrace outside of the Skytree center already had some sort of Christmas decorations and booths set up with Christmas trees and polar bears. I looked up ahead of time that going up the Skytree required some sort of reservation, so I already gave up on doing that. Instead, I roamed around the shopping center for a little bit. 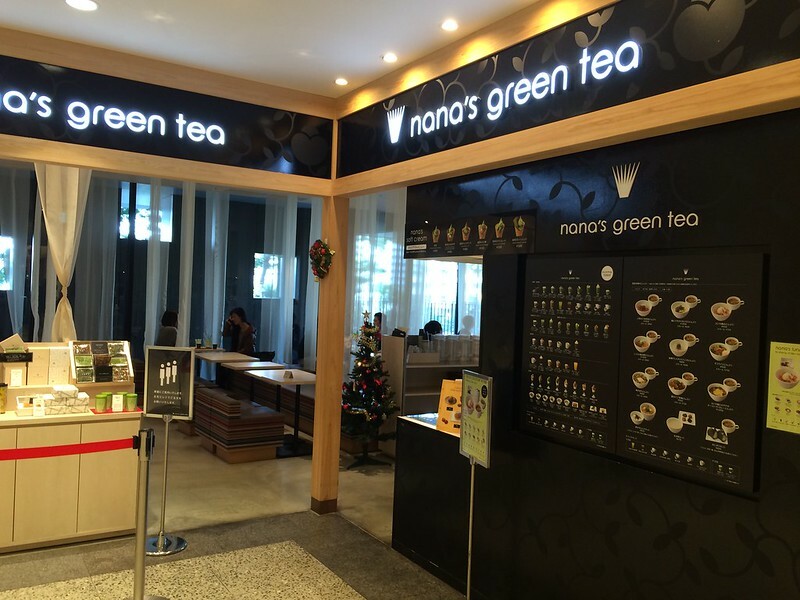 I noticed a green tea restaurant, and my eyes lit up. I wasn’t sure about having a full meal inside, so I asked to just get a green tea ice cream to go. There were so many choices I had trouble picking just one. Finally, I choice the green tea ice cream with mochi and red bean. It was really cold but delicious. After that, I went to a stationery/office store and got some stickers for my travel log as well as for my nephews as souvenirs. Then as I was about to leave, I noticed a Studio Ghibli store, and I had to check it out. It was very tough narrowing down the number of souvenirs I wanted to get. Because of my limited storage, I ultimately got small Totoro figures for my nephews. 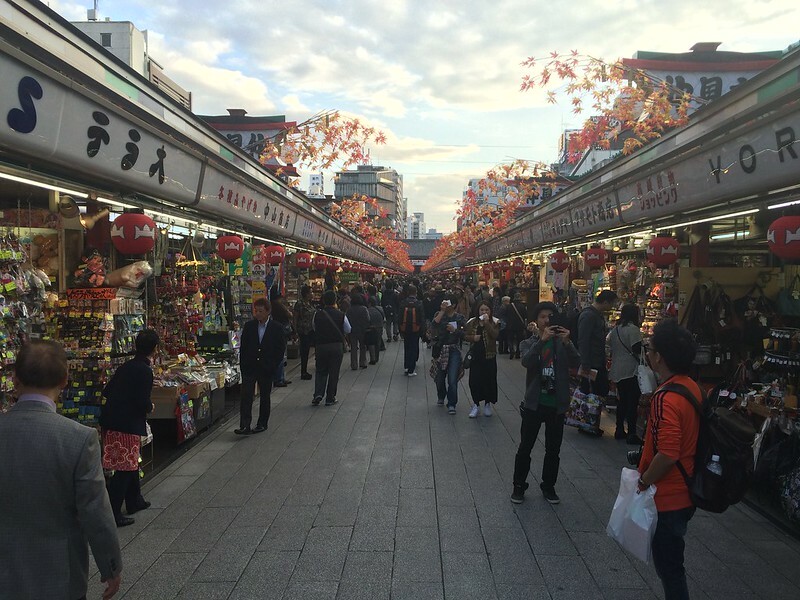 I made my way back to the other side of the river and headed to the Asakusa Shrine. 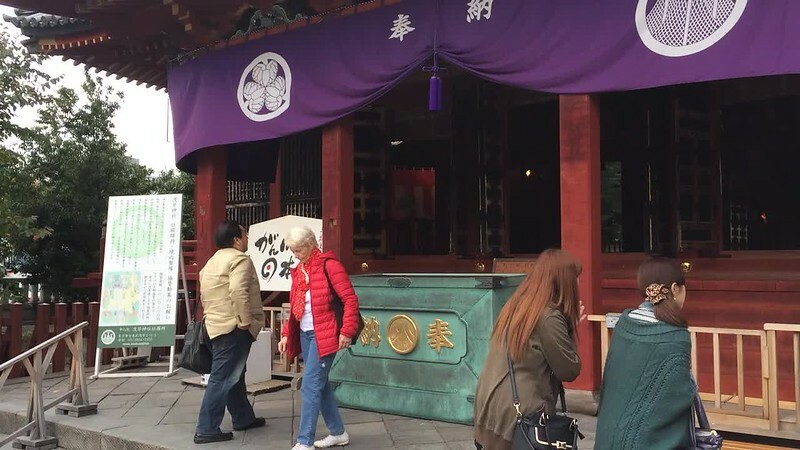 I knew very little about the shrine or the temple, but I remained respectful and I took pictures and videos of what I felt was the important stuff. 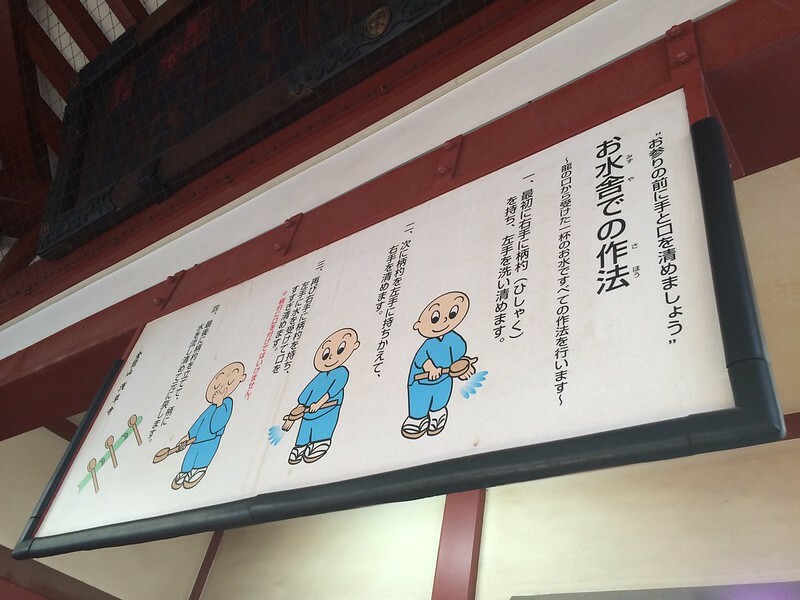 I saw people at the chozuya cleaning their hands with a ladle of water.I wanted to do what they did but I didn’t know if it was appropriate. 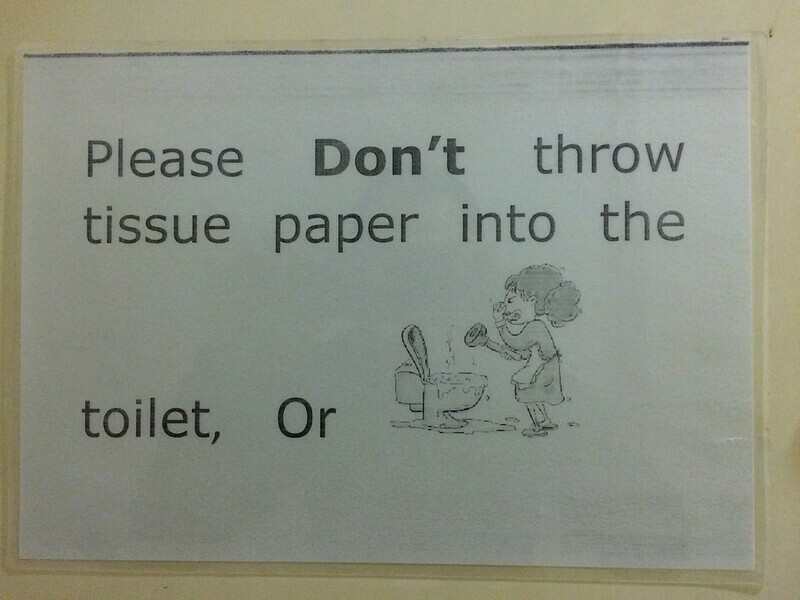 Even with illustrated instructions, I was a little confused. 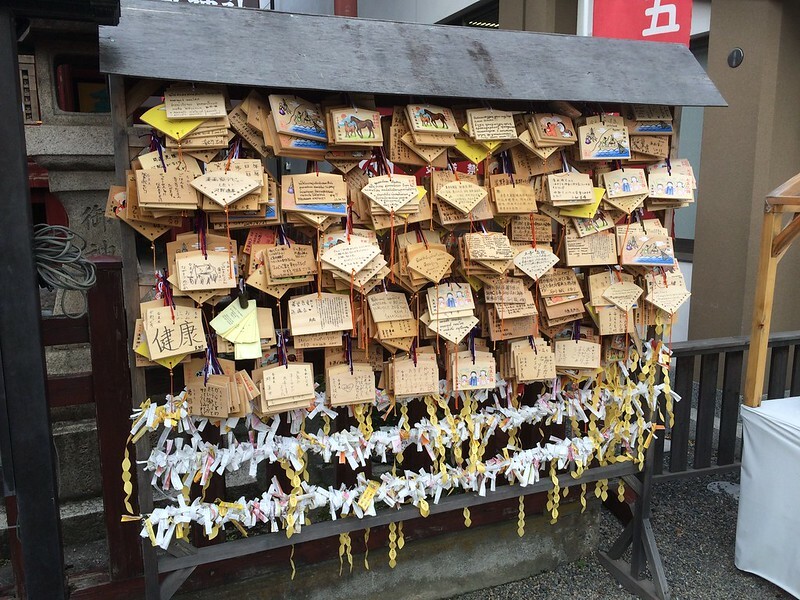 There were also a wall of wooden plaques (called Ema) and they supposedly had wishes and whatnot. I left the shrine area and went out to where the temple and other structures were. 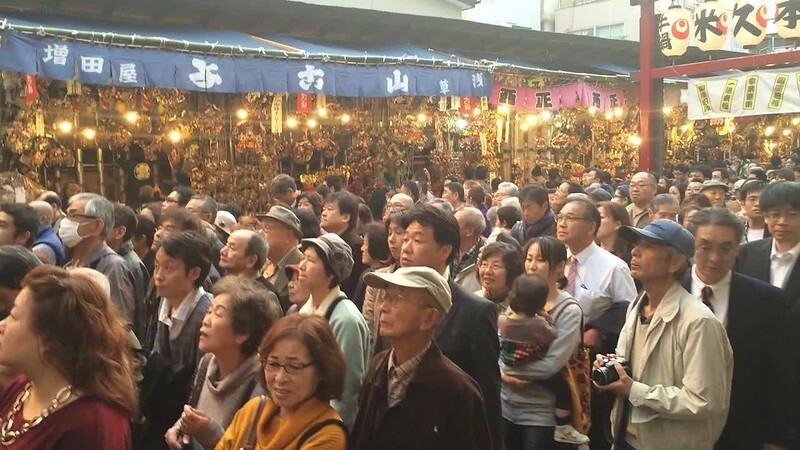 The shrine was a relatively low-key quiet place, but the temple area was much more popular and crowded with people. I noticed one section had people shaking tin cans, letting a stick fall out, and then taking a fortune from one of the many drawers. I had seen this in Chinese temples so I wanted to get my for fun. 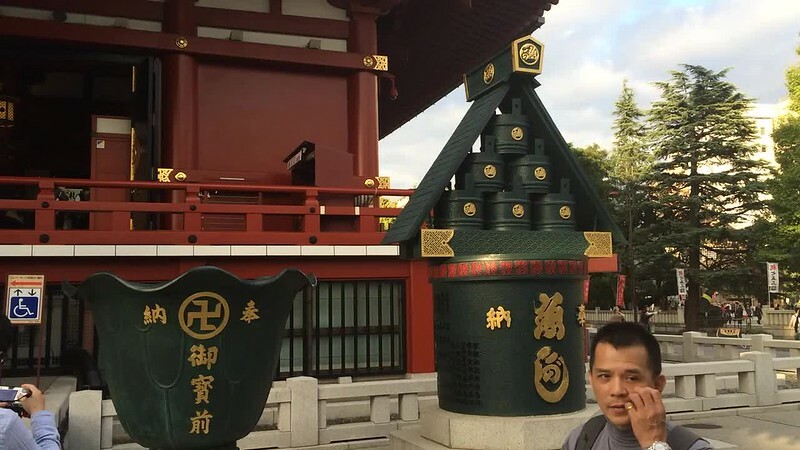 I then made my way to the main entrance of the temple grounds, through the shops and to the “Thunder Gate” with a giant lantern. I thought it was neat how popular this temple was, even with young people, because in Chinese culture, this types of stuff mainly interested the older generation. 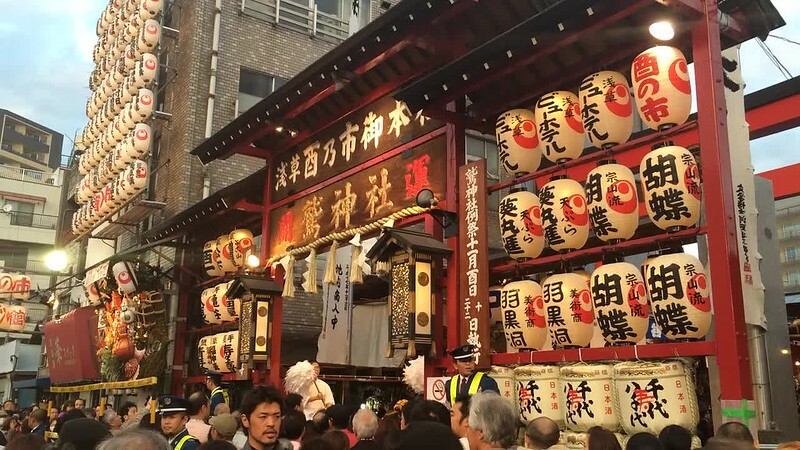 After Asakusa Shrine and Temple, I made my way to the Tori-no-ichi Festival, which I learned was happening while I was in town. I still had little understanding of what it was, but I just knew it was something that the locals celebrated. As I was getting closer to Washi Shrine, I noticed people walking away holding large sticks with shiny decorative elements and a semi-creepy-looking mask-face. Apparently, these were rakes and people get them for good luck. I noticed a line to enter the shrine area, but I didn’t get on it because I didn’t know what it was for exactly and I was not interested in the festival enough to wait in a long line. What I did notice was that next to the line was regular pedestrians passing by, only distinguished by colored tape on the ground. I was quite impressed at the level of order this piece of tape provided to the festival goers. In other countries, people would undoubtedly cut in line, or that tall barricades would be required to separate the queue from passerby. Also, the line apparently was to ring some sort of bell. I managed to find another entrance to the general festival area. But all it had were vendors that sold practically the same things: rakes. After realizing that that was all there was, I started walking farther away from the main area and noticed street food vendors catering to any people checking out the festival. I didn’t get any food at the time because I wasn’t sure what some of the things were, and I didn’t feel like going through the trouble with the language barrier and ask. 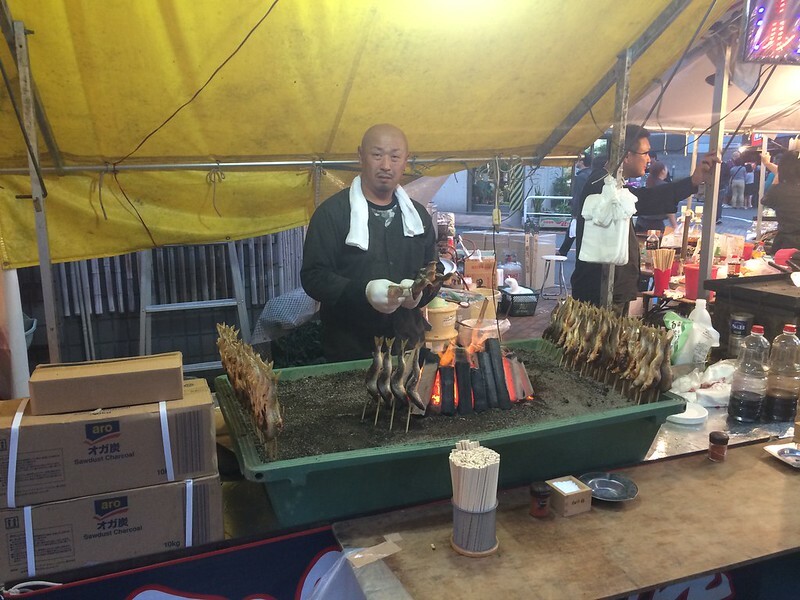 My hostel roommate mentioned a street food festival happening in Shinjuku, and since I wanted to see Shinjuku anyway, I figured I should check out the street food as well. 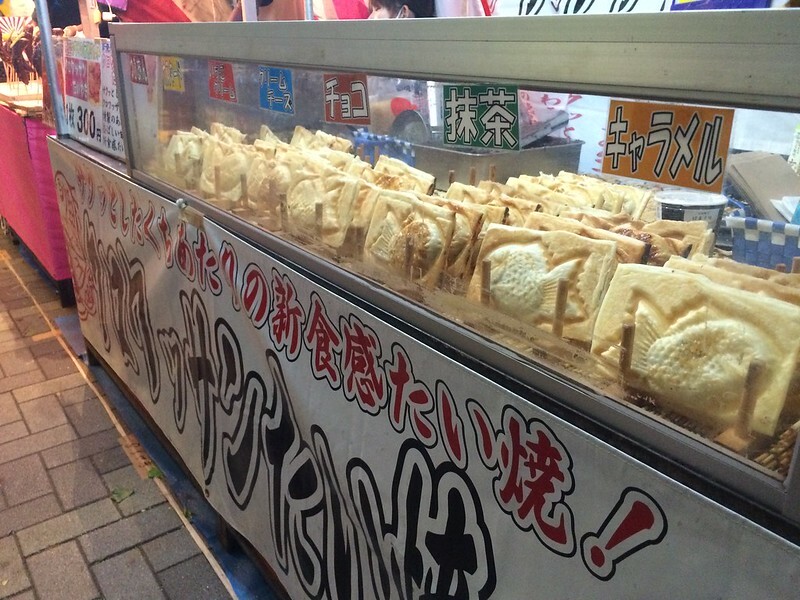 It took me a while to find the street food, I walked in a large circle around the Shinjuku area before finding it. It was mainly a long strip on one side of the street where there were vendors set up and people walk along the sidewalk and picked the things they liked. 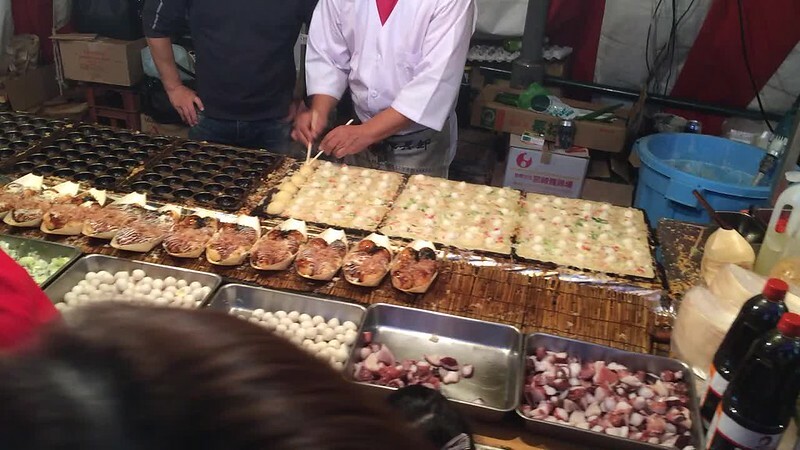 There were plenty of the “usual” Japanese street food, including that one where the cook flipped little balls of food from a mold of semispheres. 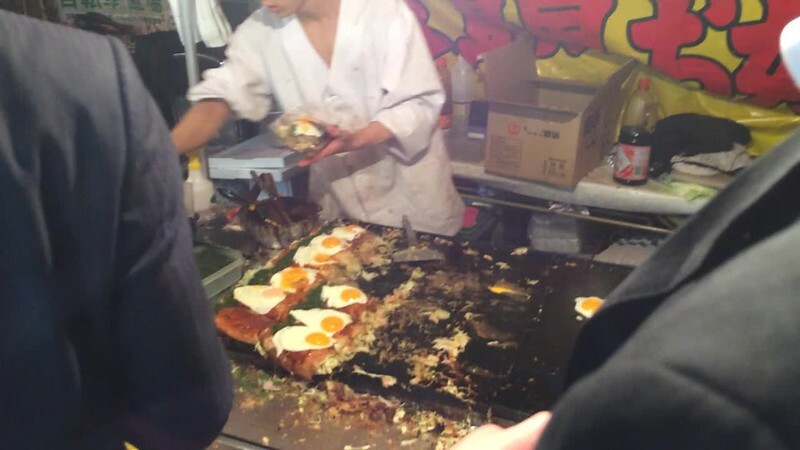 There were other vendors that sold practically a meal, with meat and potatoes and a fried egg. I would’ve gotten it if I were more hungry and that it didn’t feel greasy. Then there were the desserts. 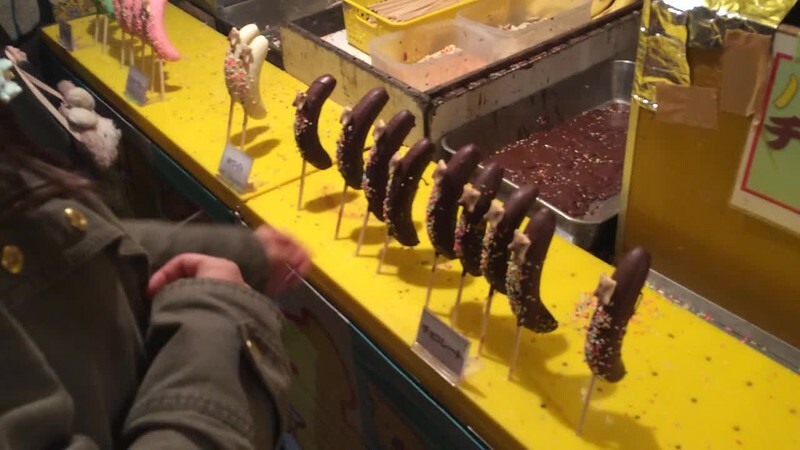 For the novelty, I had a chocolate-covered banana with Koala March cookie, which was disappointingly more healthy than I thought (it was just a banana inside). I ate a fish-shaped cake with caramel filling before I saw a green tea version, so I had that as well. They were also disappointing in that there was more cake than filling. I then saw boba drinks that was available in green tea. It was very milky and watered down. Out of cash and full on sweets, I continued walking around Shinjuku and was mesmerized by the lighted signs. 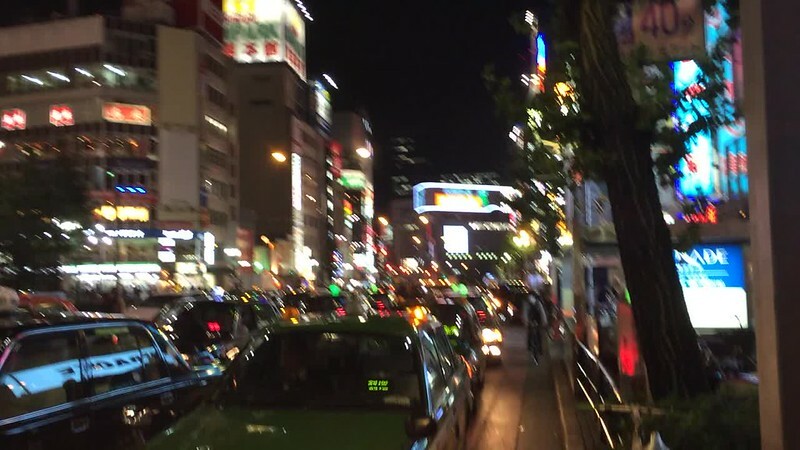 There were plenty of karaoke bars and night clubs in Shinjuku; it was clearly a place for a good night life, but I was just not in the mood, especially by myself. There was an American-English speaking guy trying to get me in to come in to one of the clubs, and I could tell it was probably not a good idea. After seeing all that I needed to see, I headed back to the hostel for the night. 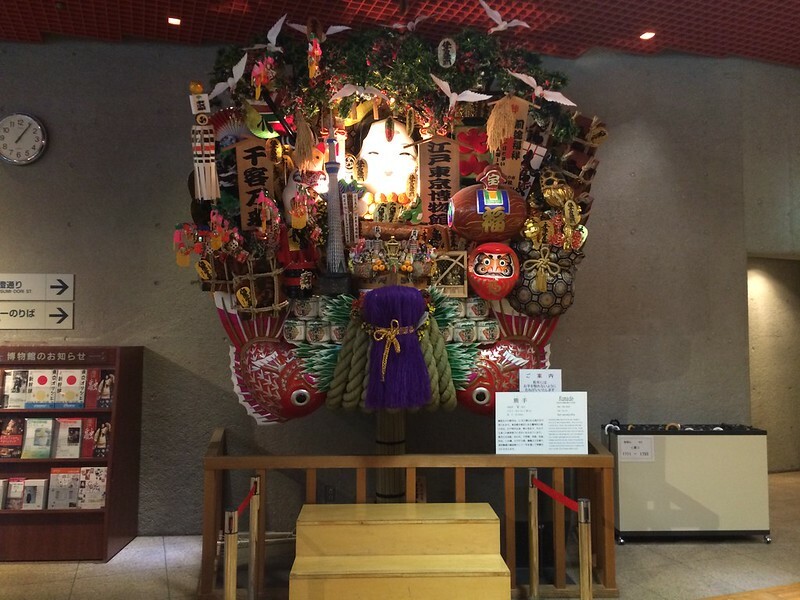 With little on my agenda, I decided to check out the Edo-Tokyo Museum in Sumida, which was near my hostel. It was a really interesting visit. 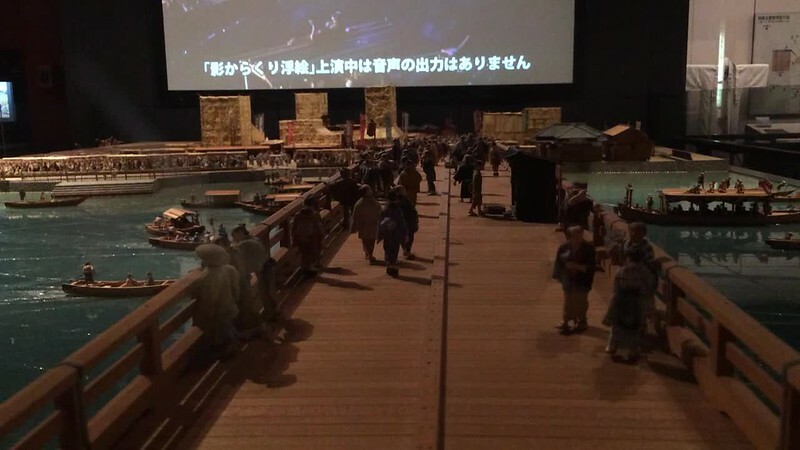 Edo was the original name of Tokyo, and the museum pretty much went through the history of old Tokyo to today. 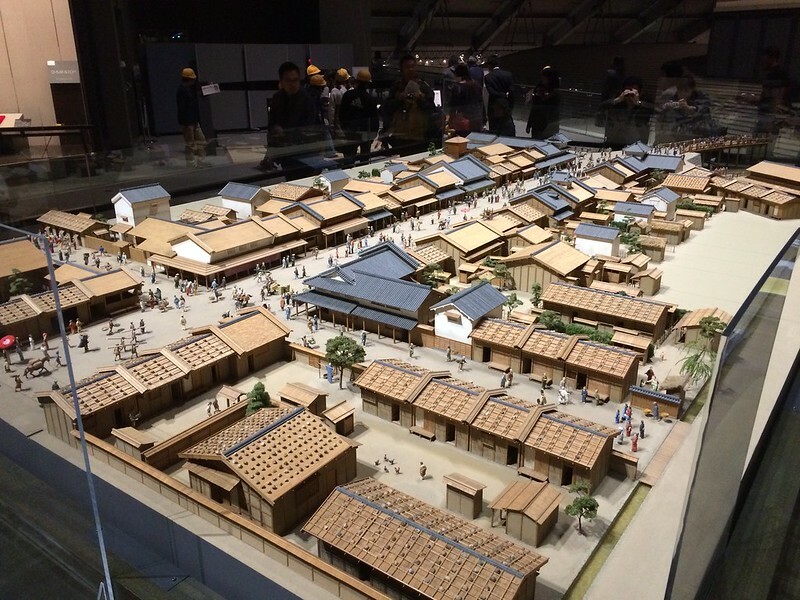 It had a lot of amazing large, detailed diorama models illustrating different eras in Tokyo’s history. Everything was organized and relatively easy to understand, especially if I could fully understand Japanese. 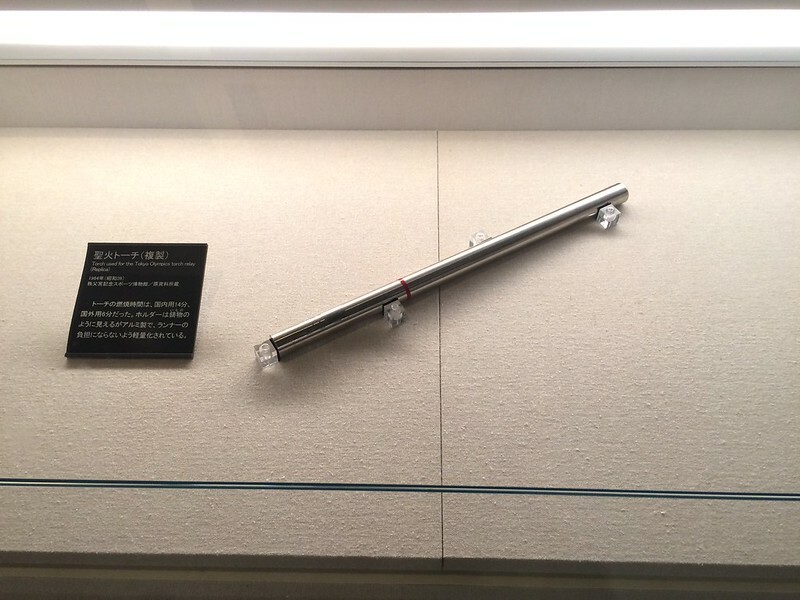 It even had a special exhibition on the 1964 Olympics to commemorate the fiftieth anniversary, displaying the clothing, posters, relay torch, and other materials from the time. 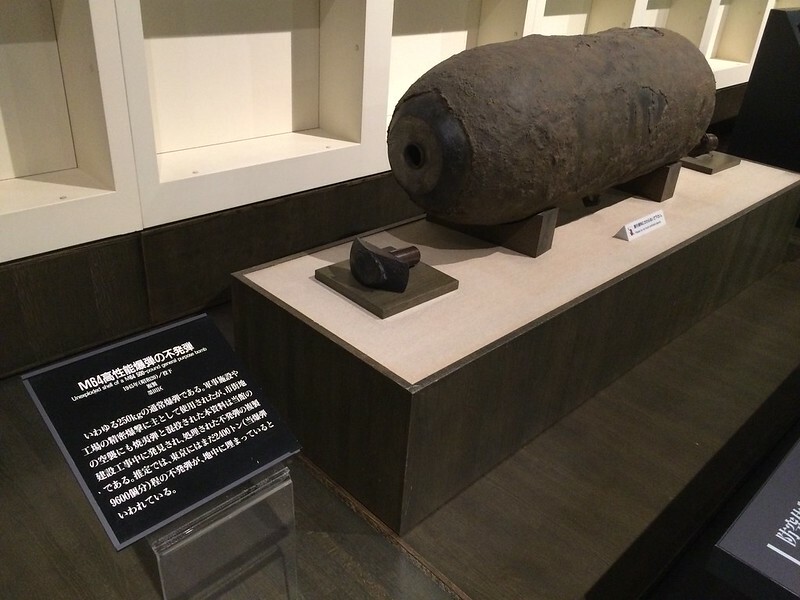 It also went through the Westernization of Japan as well as Japanese involvement in World War II. 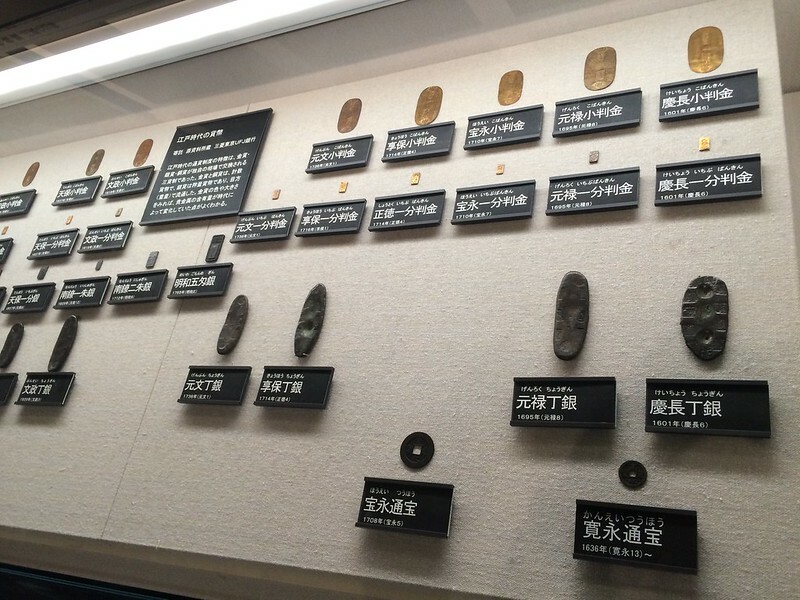 The museum had a lot of very fascinating information about Tokyo’s history that I felt would be even more useful if I understood Japanese. Many but not all of the signs had English translation, so I could only understand some of the materials. Knowing that Tokyo will be hosting the Olympics in 2020, I wanted to check out the progress on the Olympic Stadium. However, I didn’t realized construction had yet to begin, and all I could find was a boring-looking entrance to a stadium that was closed. 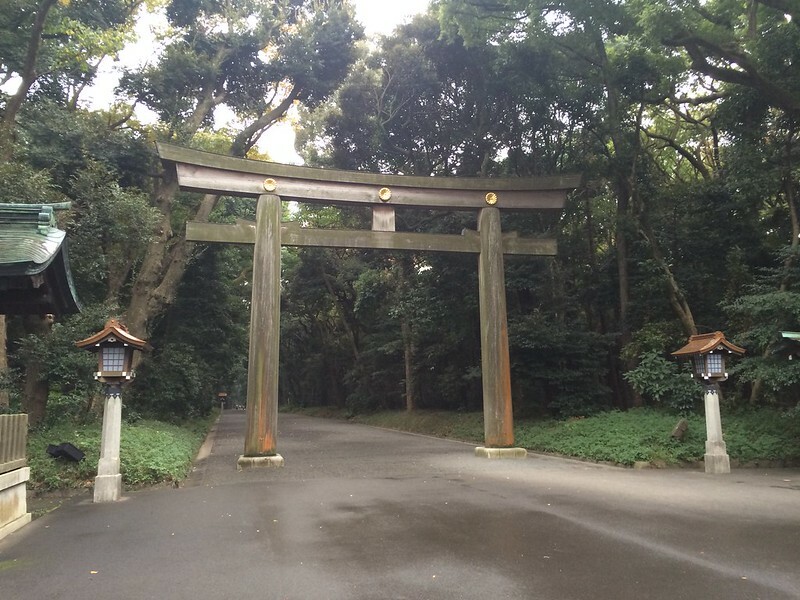 Disappointed, I moved on to the Meiji Shrine, which was in the area. 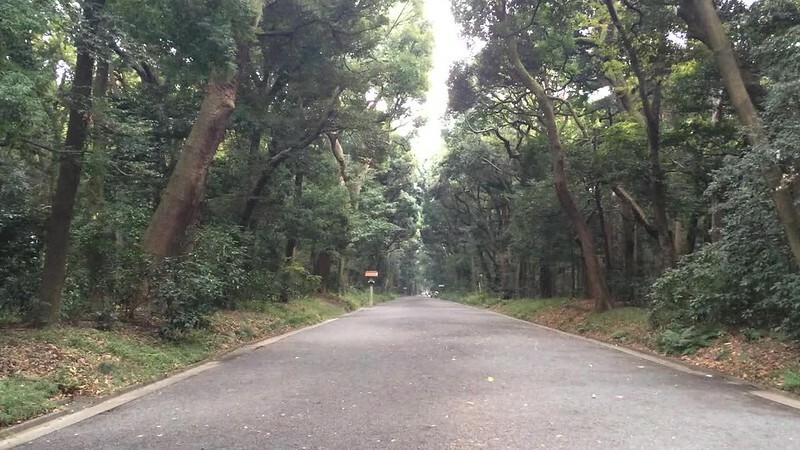 The park around Meiji Shrine was totally secluded. I could only see tall trees and wide gravel paths, and I could only hear birds chirping and insects buzzing, and maybe the faint sound of continuous traffic in the distance. It was a really nice change. The shrine area was a big open space, with a small number of visitors. It rained a little bit, so may that led to fewer visitors than it could accommodate. 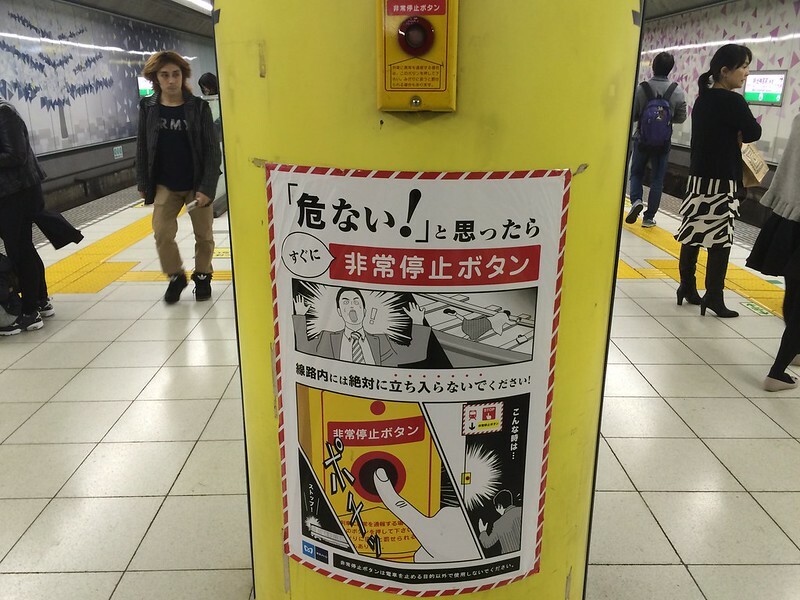 There were Chozuya stations and Ema boards, just like in Asakusa. 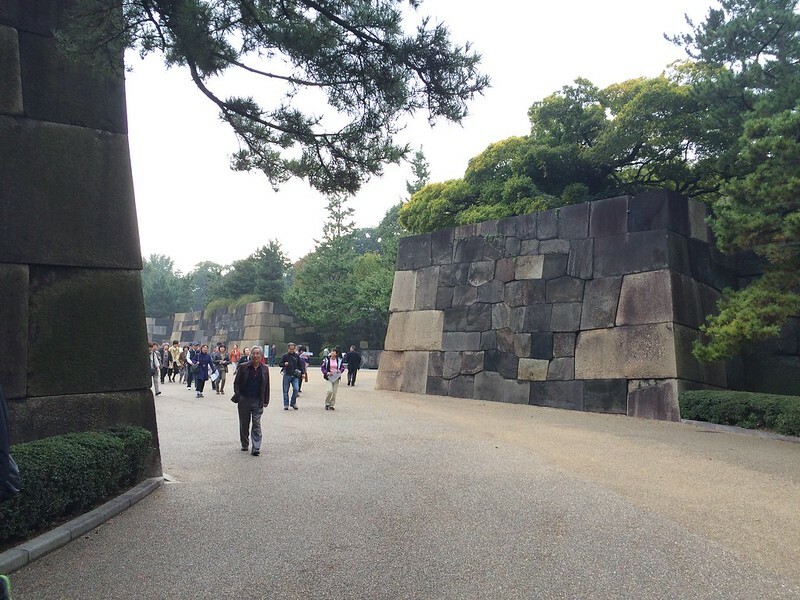 The main shrine was closed off for visitors, so we could only peek from the distance. 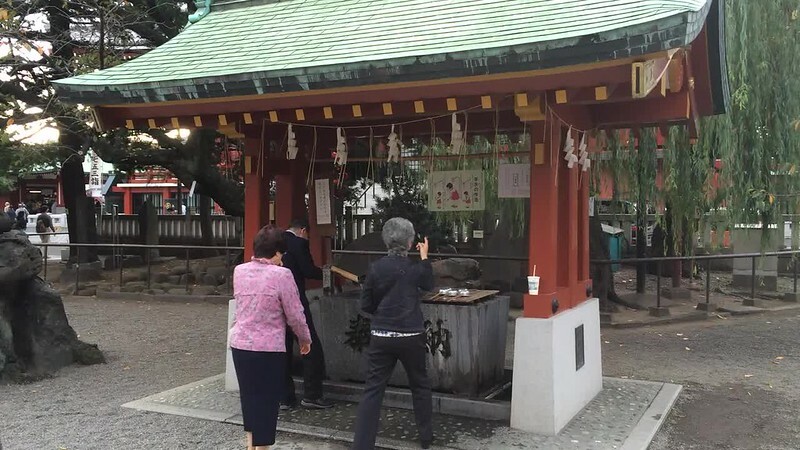 The place where visitors could peak into the shrine had a pit for people to throw coins in and pray. There were instructions in many languages for how to pay respects, but I wasn’t sure if I should do it, so I just watched others do it. There were also signs asking visitors not to take any photos, so I didn’t. But I noticed others who may not have seen the sign taking photos. I arrived at Meiji Shrine just before closing time at 4pm. 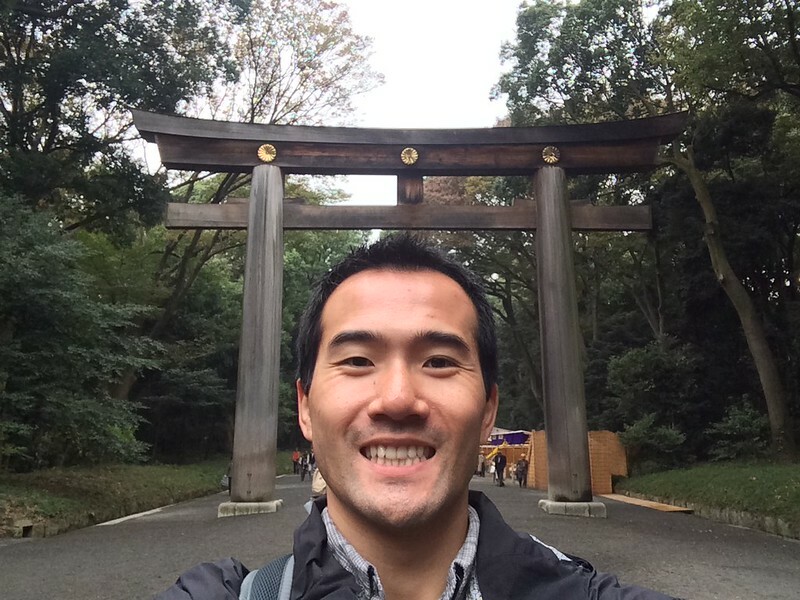 As the staff was escorting visitors out of the park, I managed to get a selfie with a torii gate. Harajuku was made famous in the States by Gwen Stefani. All I knew they had a unique sense of style. I figured it was worth checking out. I actually wasn’t sure where exactly I could find the essence of Harajuku, but I did stumble upon Takeshita Street, which turned out to be popular street in Harajuku. I did a quick walk down the street and noticed many boutique shops, along with a crepe shop and a convenience store that sold green tea Kit Kat! I wasn’t sure how good a Japanese crepe shop would be so I didn’t try it, but I did get the green tea Kit Kat. 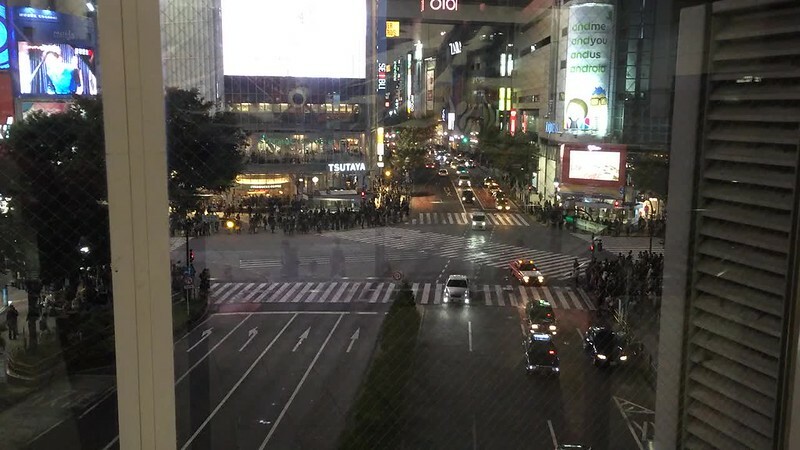 After some research, I found out the place where swarms of pedestrians cross an intersection in Tokyo was in Shibuya. So I headed there and tried to see it for myself. The Shibuya station was huge, with sixteen exits. There were walkways after walkways with exit number posting throughout the station to redirect patrons to the right place. I got lost a couple times because some exit numbers stopped appearing after following the directed paths. I asked a station worker in English about the intersection. She either understood English well or knew/assumed that I was just another tourist asking about it, because she was very prepared to point me in the right direction. The intersection, called Shibuya Crossing, had a lot of large lighted signs, not as densely overwhelming as shinjuku, and nowhere like Times Square, but it almost had that atmosphere. Also, it may not have been the best time of day or day of the week because there were about half as many people crossing the intersection as I had seen on TV. But it was still nice to experience it in person. Another reason I went to Shibuya was to continue my quest for the best mochi/daifuku in Tokyo. 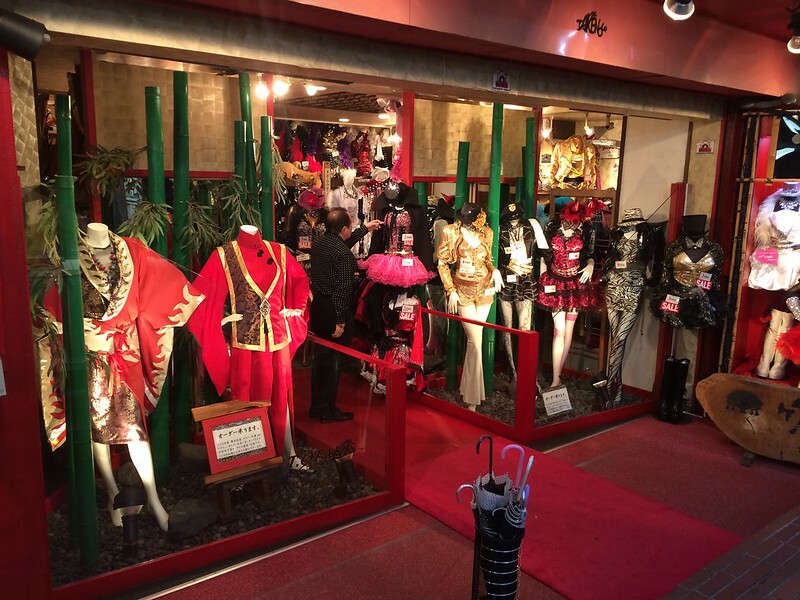 I learned about the shop Ginza Akebono, which had few stores throughout Tokyo, one of which was in Shibuya. I could see it on a map, but it took more probably twenty to thirty minutes of walking around and clamoring for the free Wi-Fi at the subway station to finally find it. It turned out that instead of a store, it was a counter in the underground department-store-style supermarket. 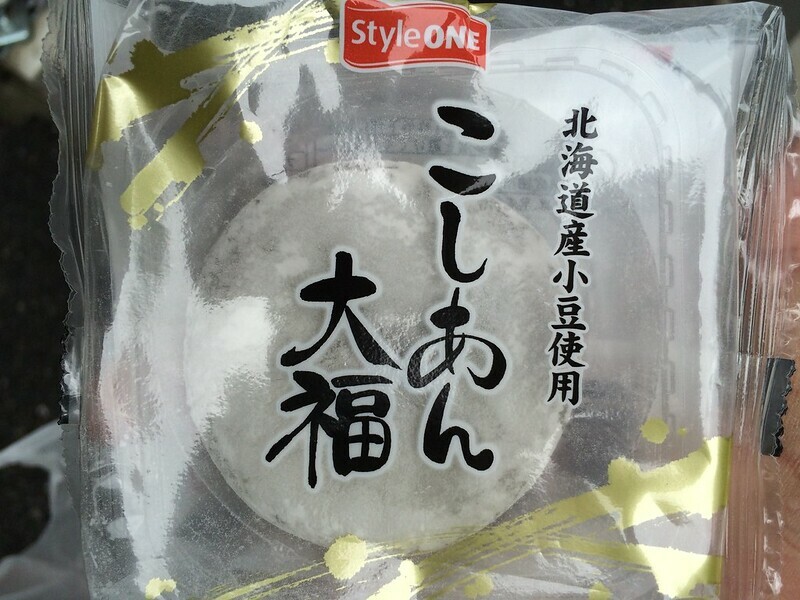 I got one or two of the different kinds of daifuku on display, which they boxed up in a nice, simple packaging. I was told I had to eat them within a day, which honestly wouldn’t be a problem. 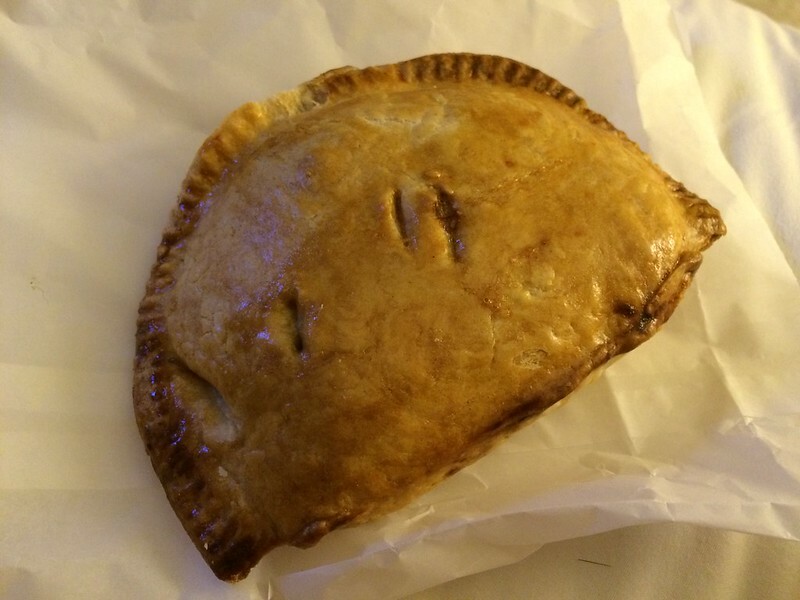 I waited until I was back in the hostel to eat them, but honestly, the texture was a little tougher than I’d like. 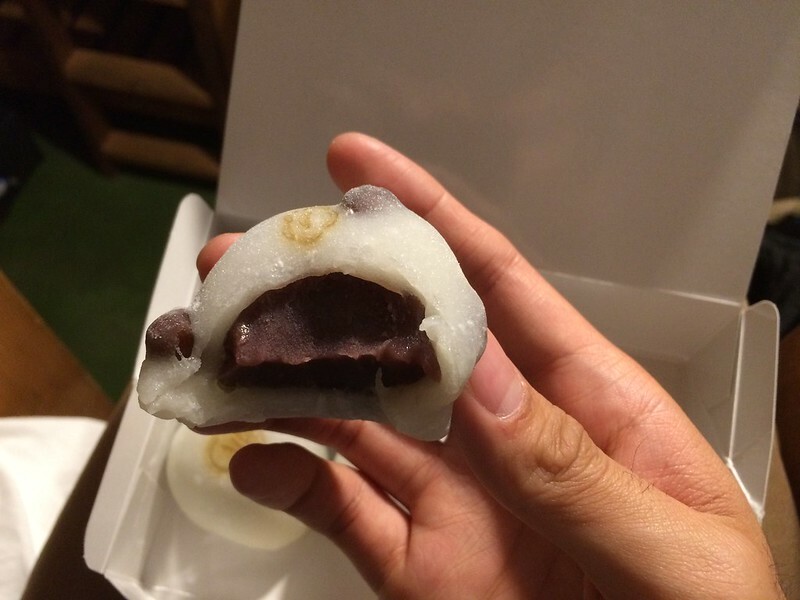 They were totally fine, but I expected really fresh and soft mochi, but it was a little underwhelming. At the underground supermarket, I also saw a counter with large cute breads/cakes on display. I couldn’t even. 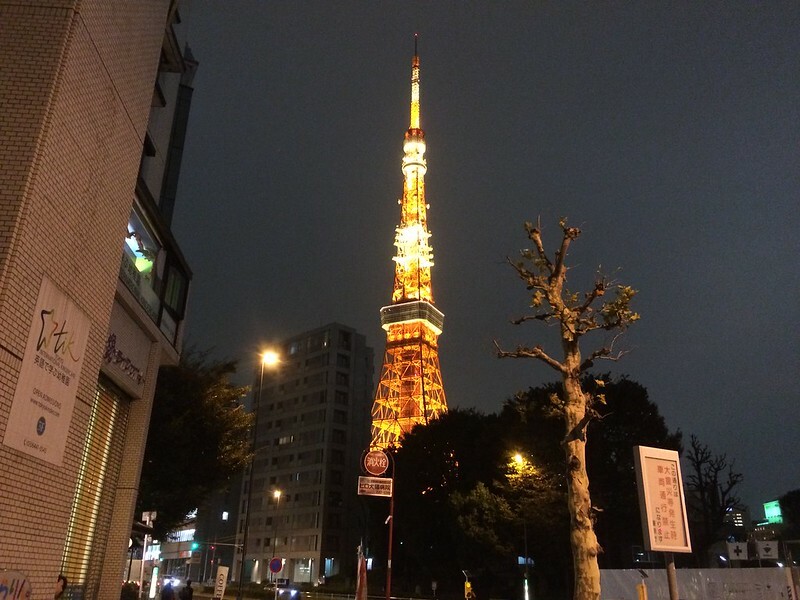 For some reason, the Tokyo Tower became the symbol for Tokyo for me. With all the documenting I was doing and all the collages and compilations I was going to put together, I needed something to represent Tokyo. The city had very few landmarks, and with the Skytree being fairly new and still lesser-known, I figured Tokyo Tower was the closest thing. So I spent a lot time walking around Tokyo Tower trying to get a good clean photo. Unlike the Eiffel Tower, however, where it was largely open space all around, Tokyo Tower had a lot of buildings around it, obstructing views almost everywhere. I must have spent at least an hour one night walking to different areas around the tower trying to get good full-height shots. I also tried to get shots of it from Roppongi Hills Mori Tower observation floor, but it was cloudy and visibility was limited. I returned to the area again in afternoon before my flight for one more session. I believed I had done what I could. In my quest to get good photos of the Tokyo Tower from a distance, I inadvertently moved closer and closer to the Imperial Palace. So I decided I might as well visit it anyway. 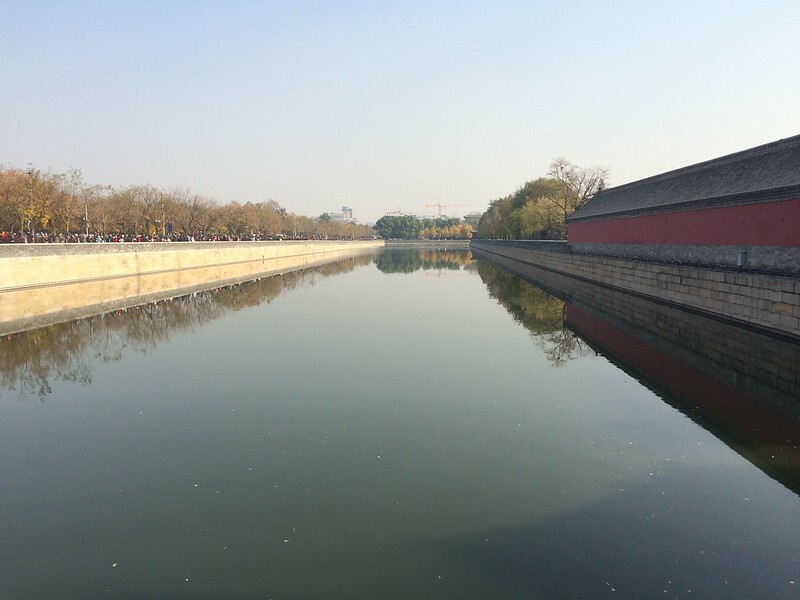 As I entered the area, I noticed a large canal separating from the outside, much like the the canal outside of the Forbidden Palace in Beijing. 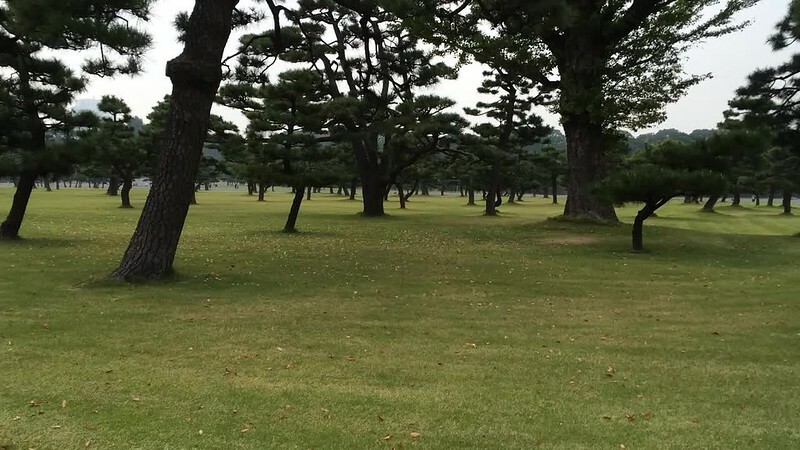 Then there was a field of trees there were evenly spaced far apart, and walking by made the scene a little mystical. Once inside, there were wide walkways surrounded by square stone walls stacked very neatly. It sort of reminded me of old Inca structures in Cusco, Peru. 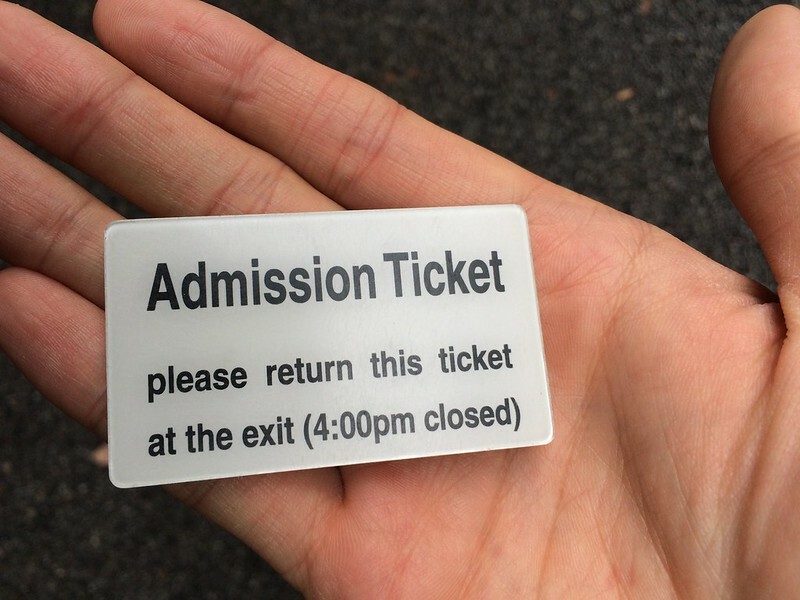 Admission was free, but every visitor was handed a plastic chip as a visitor counter to be returned on exit. It turned out that I was only visiting the East Garden, and the entrance to the palace was somewhere else. Without the energy, time, nor resources to find where that would be, I stayed in the East Garden, trying to enjoy the scene a little bit on my last day in Tokyo. I love mochi and daifuku. The soft, pillowy, chewy treat is one of my favorite dessert. 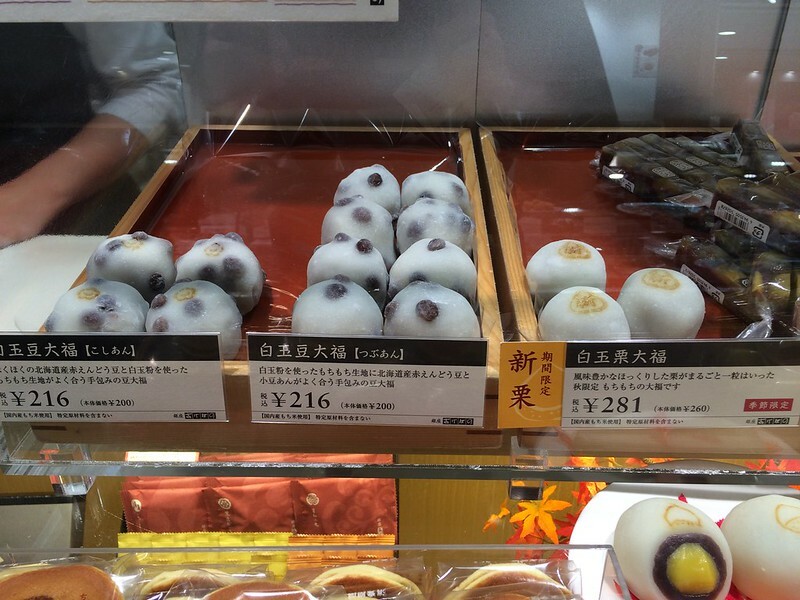 I often go to the supermarket in Japantown in San Francisco to get the fresh mochi and daifuku and eat them by myself. 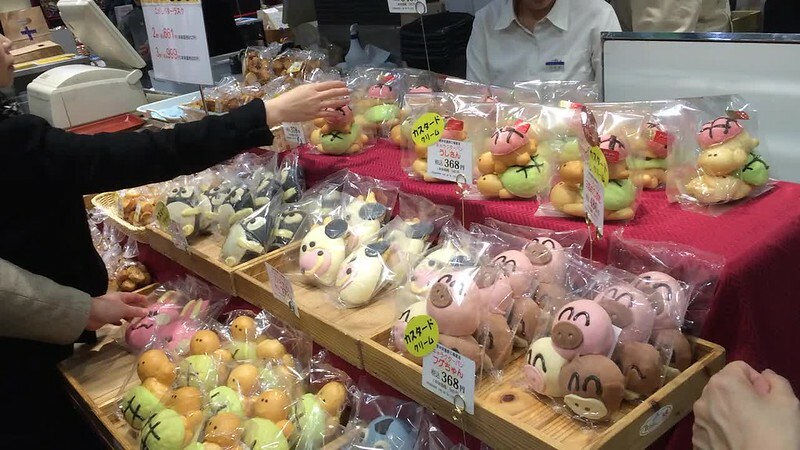 I wasn’t expecting to pig out on mochi and daifuku while I was in Tokyo, but when in Tokyo… “Fresh” daifuku were commonly sold in convenient stores, so I knew I had to take advantage of that. 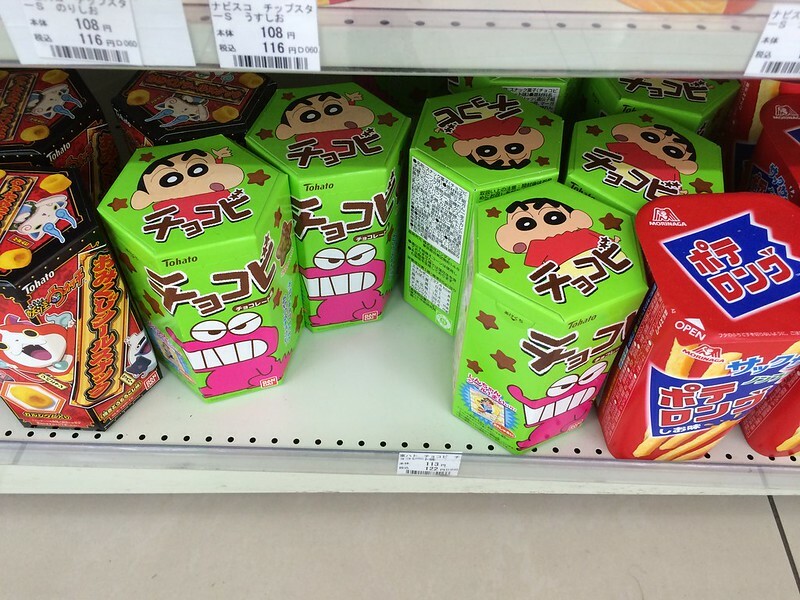 They also sold prepackaged ones, which, honestly was the best ones I had in Japan. They had the perfect balance of softness, chewiness, and mochi-to-bean-paste ratio. I also seeked out supposedly the best daifuku, which was Ginza Akebono. As I explained my experience in the Shibuya section, the mochi was tough and not at all soft. And it had too much red bean paste, although that wasn’t bad by itself. 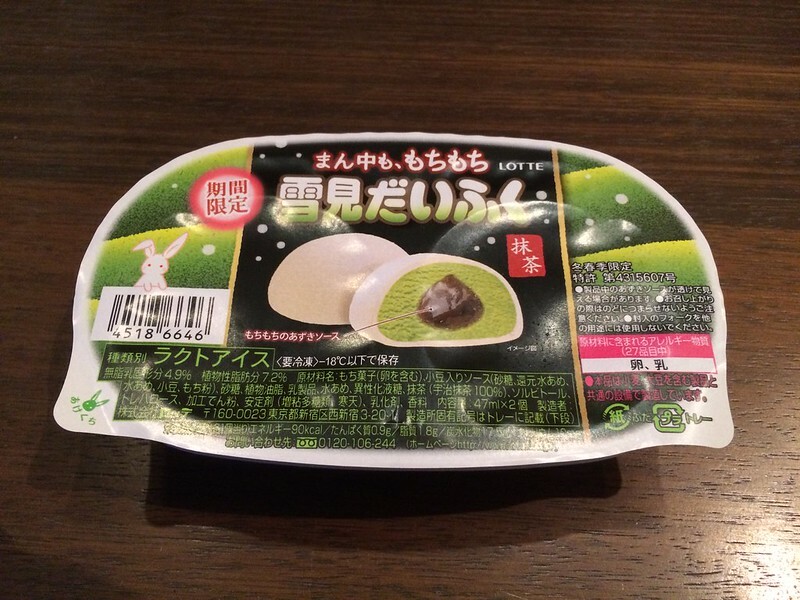 I also had mochi ice cream, which I had risen above long ago, but it was green tea ice cream, so I had to have it. The ice cream was too hard to really enjoy the flavor or the experience. 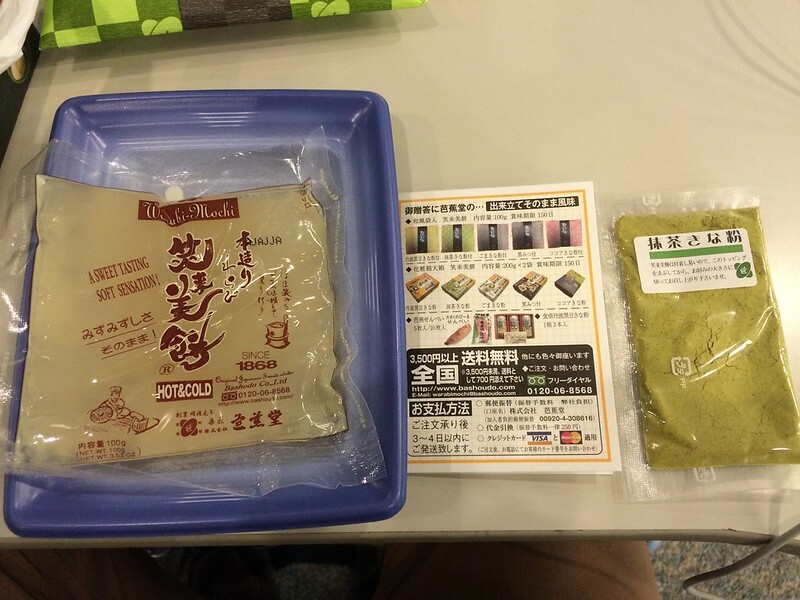 An obsession I somehow began in Tokyo was green-tea flavored foods. I think it derived from my general preference for green tea flavored foods as well as a subculture obsession with green-tea everything. I figured I should become a green tea fanboy to see how it fit me. 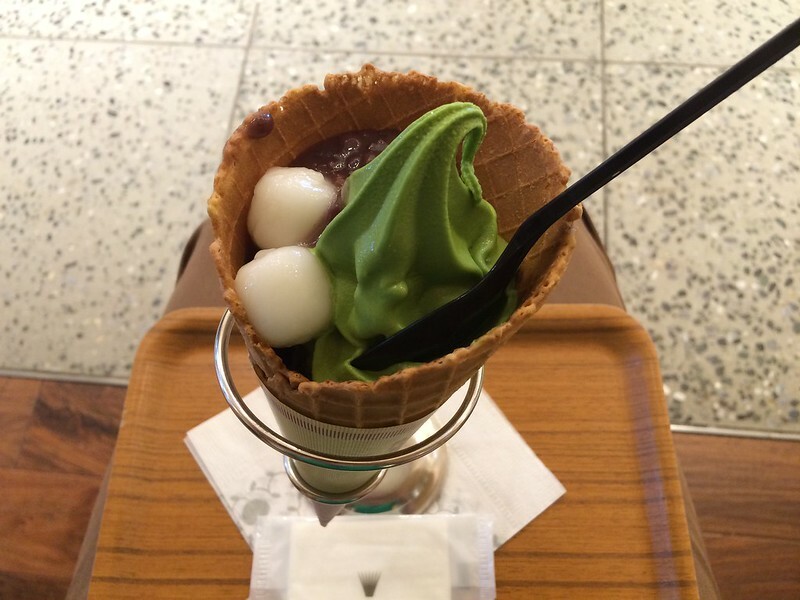 I had fancy green tea ice cream with mochi and red bean paste from Nana’s Green Tea at Tokyo Skytree center. Good but very cold. Fish-shaped cake with a drop of green tea filling. It needed a lot more green tea filling. 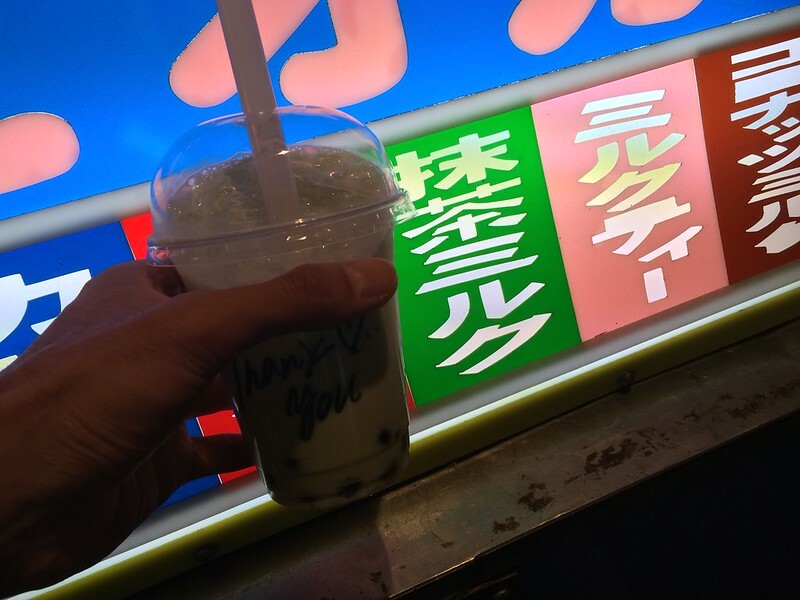 Green tea boba drink. Too much milk watering down the green tea flavor. Green tea mochi ice cream (see mochi section above). 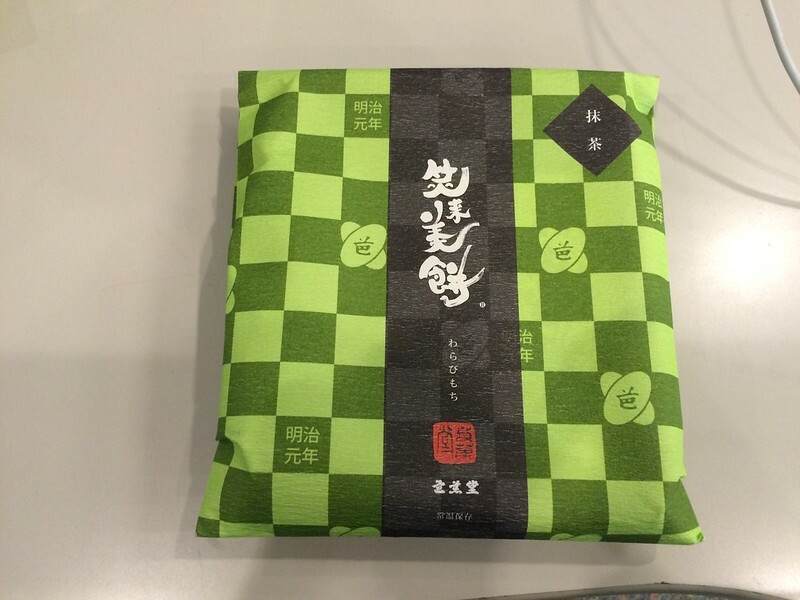 Then at the airport, I had my last chance to get green tea-flavored things. I got a green tea mochi kit, which I didn’t realize was a kit; I thought it was already prepared and I was going to eat at the airport. But I realized I wouldn’t have a way to make it so I had to throw it away. 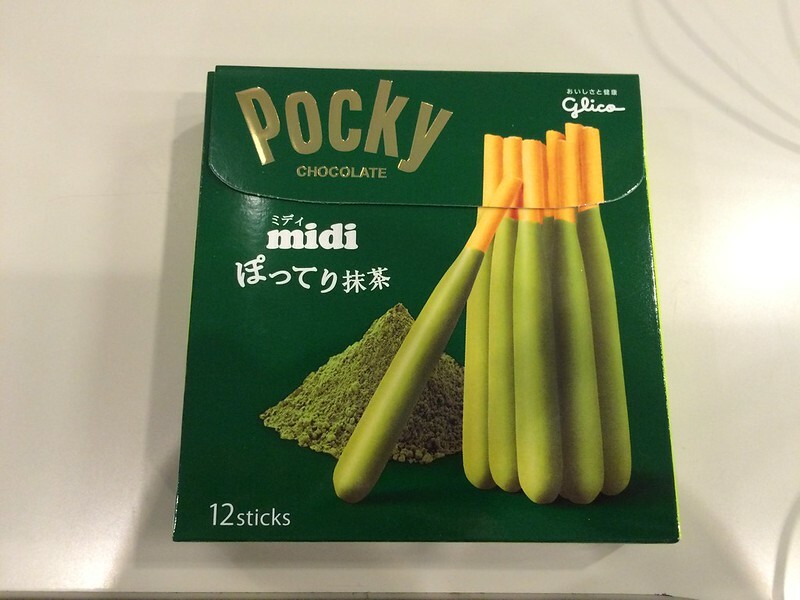 Green Tea pocky sticks. They tasted like sweet green-tea-flavored cream. Decent snack. 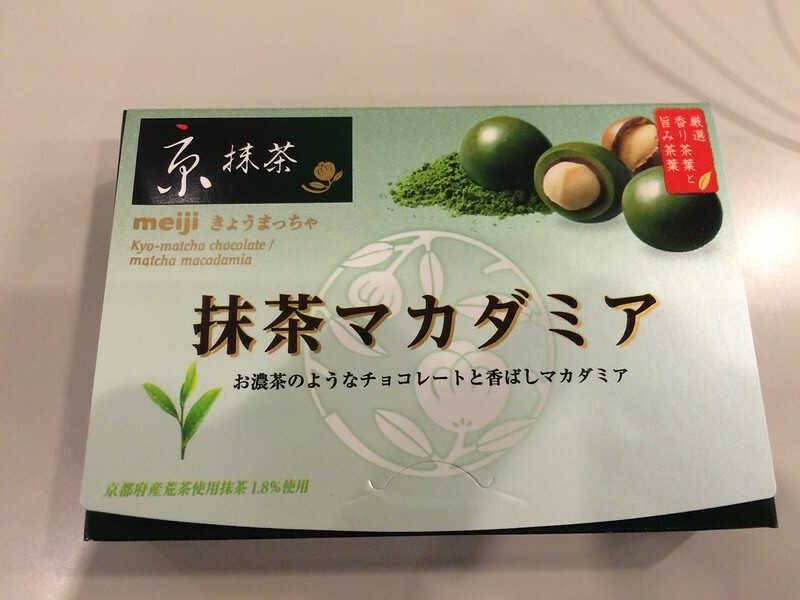 And green tea chocolate covered macadamia nuts. These were actually a souvenir so I didn’t get a chance to eat them. 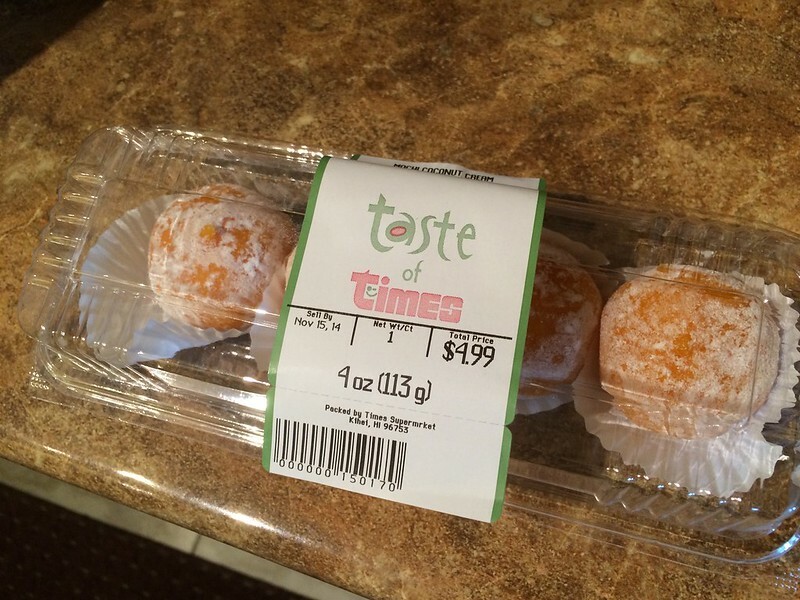 I saw these commonly sold at the convenience stores like the daifuku, so I figured I should be like a local and eat as many of these as I could. I probably had about five to six of these in the three days I was in Tokyo. Most of them had some sort of fish or help inside, which added some flavor to the rice. But it was still mostly rice inside, which was fine. I went to Ichiran near Ueno station for my ramen. 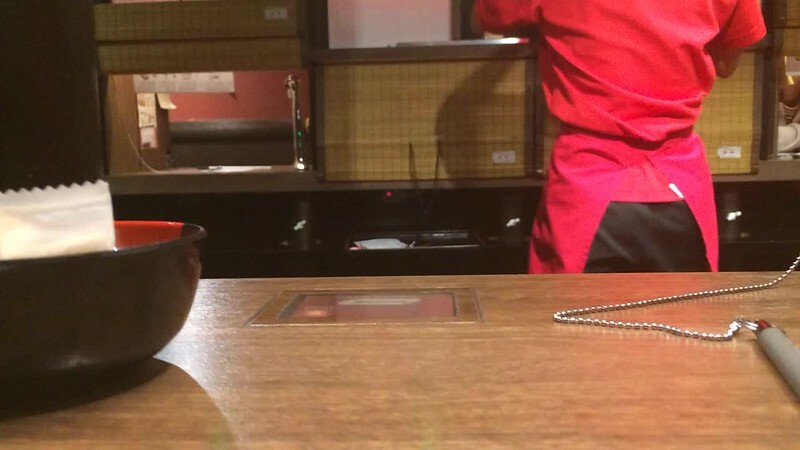 It was my first time ordering food on a machine in a Japanese restaurant, and it was sort of confusing. It only took cash so I actually had to find an ATM to withdraw money before I could order. After ordering, the host directed me to one of the booths with partition from others. The experience felt a little clinical in that other than the host, everyone was a faceless figure, and there were forms to order seconds and drinks that require me to press a button to get someone to come and process. But at least the ramen was good. 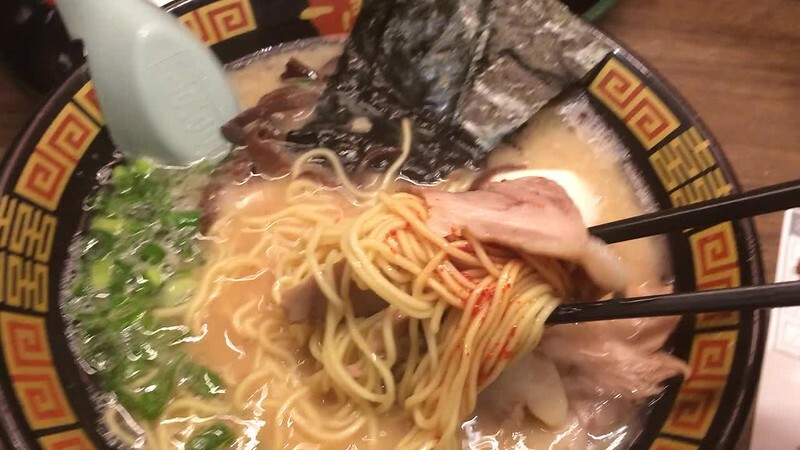 I couldn’t tell good ramen from fantastic ramen, but mine was pretty good. I would want to try other combos in the future to find the right one for me. 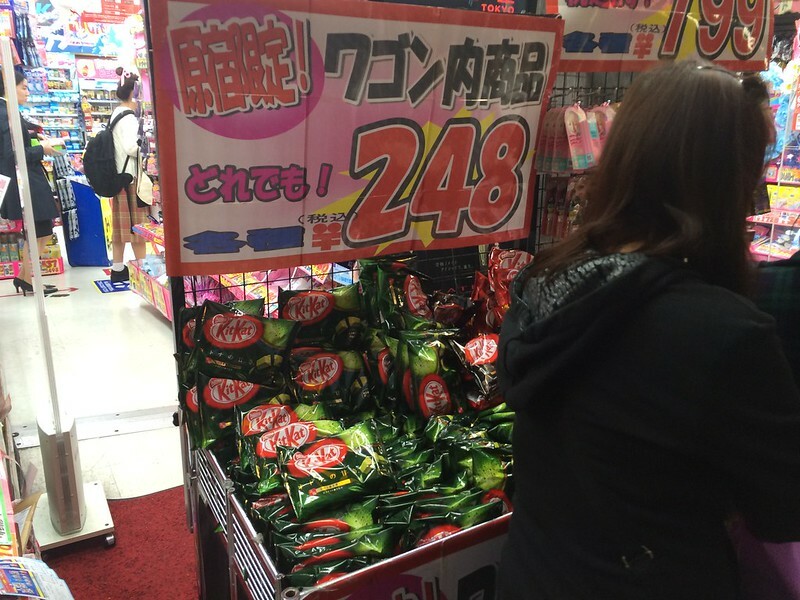 Japan had so many different type of foods and snacks (as shown by a quick stroll in a convenient store) that it’s practically impossible to try them all. But more likely than not, a lot of them are more or less the same thing, much like American snacks. Aside from the ramen, the only other time I ate in a restaurant setting was at a “fast food” restaurant near my hostel that served Japanese home-style plates. 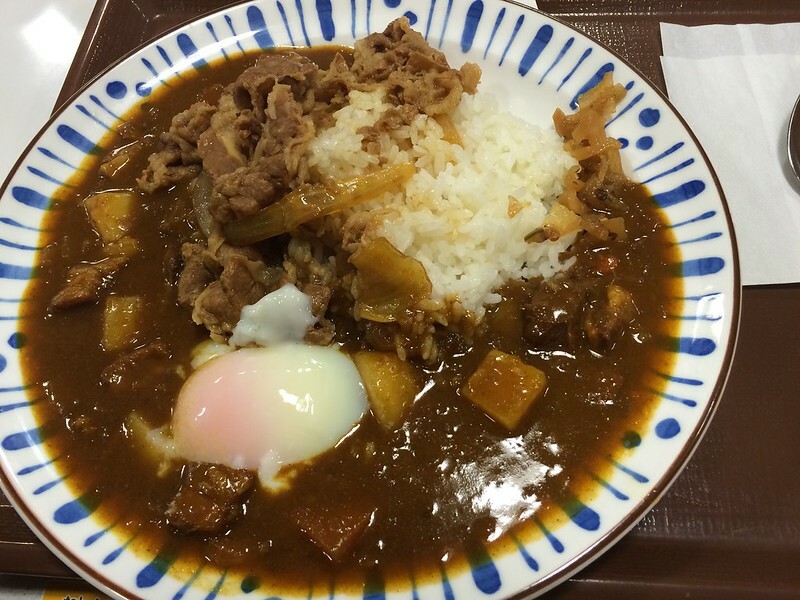 I got a curry dish with rice and meat, because I also liked Japanese curry. It was decent, considering that it was a “fast food” dish. What’s more fascinating was the set up. Even though it was a different set up from the the Ichiran ramen place, it might as well have been the same. The restaurant had an open floor plan, with the server in an aisle in the middle surrounded by booths, sort of like in sushi restaurants. Each seat at the booth had a pictured menu with a button. Customers would come in, sit down, and order what they wanted. 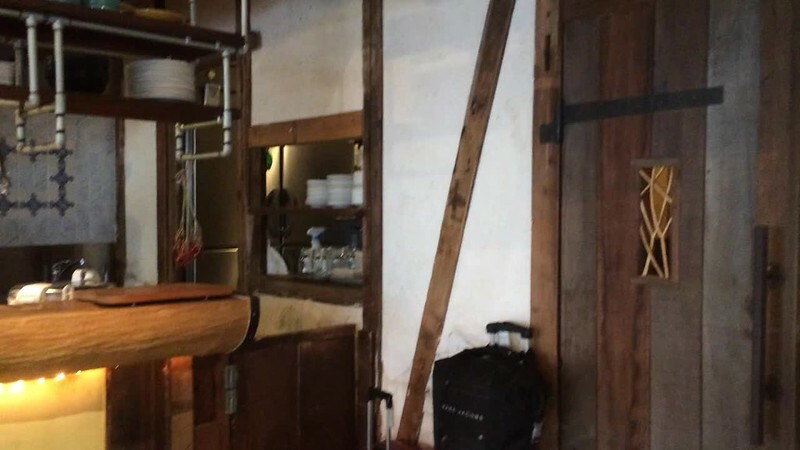 After the customer finished, they would press the button at their seat to get the server’s attention so they could pay, and then they would leave. Many of the customers were in business attire, so I assumed they were salarymen catching a quick, cheap dinner after a long day at work before heading home. I took the airport train from the city; pretty much the same way as I had arrived. It took about an hour, like before. 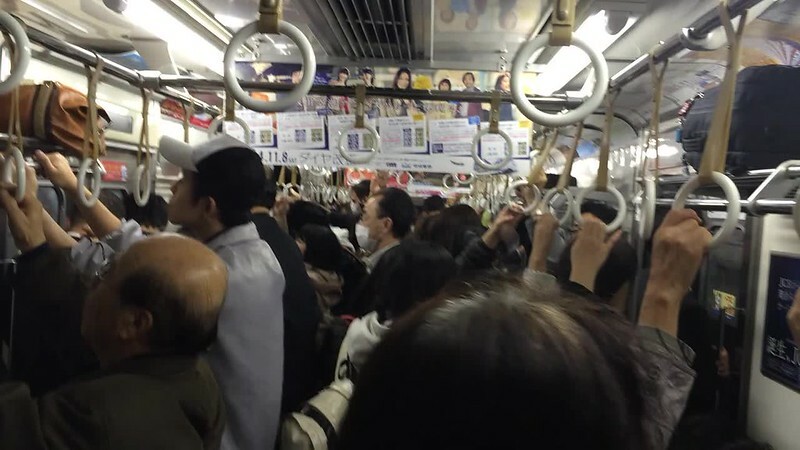 However, this time there were a lot of people on the train in the beginning, probably because it was rush hour in the evening and people were heading back home from the city. It was also really warm and humid so the windows were beading with water. Lady at reception and guy who helped me check into hostel and whom I confessed I know only “very すごし” Japanese. Download the subway app (see Links) to plan your route before heading to the station. Because Tokyo subway systems are owned by three companies, some stations with the same name may actually be separate stations. Make sure you go to the right one. But even if you get to the wrong one by mistake, an attendant could probably lead you to the right place with hand signals or hand you a map. At the subway station, figure out exactly where you need to go and which line you will take before getting on the ticket machine. The options of the machine will probably confuse you even more if you don’t know ahead of time. When a convenience store cashier gives you change, let them put it in a tray before you grab it. If you have questions about specific experiences of Tokyo, feel free to leave a comment and I’ll try my best to answer. 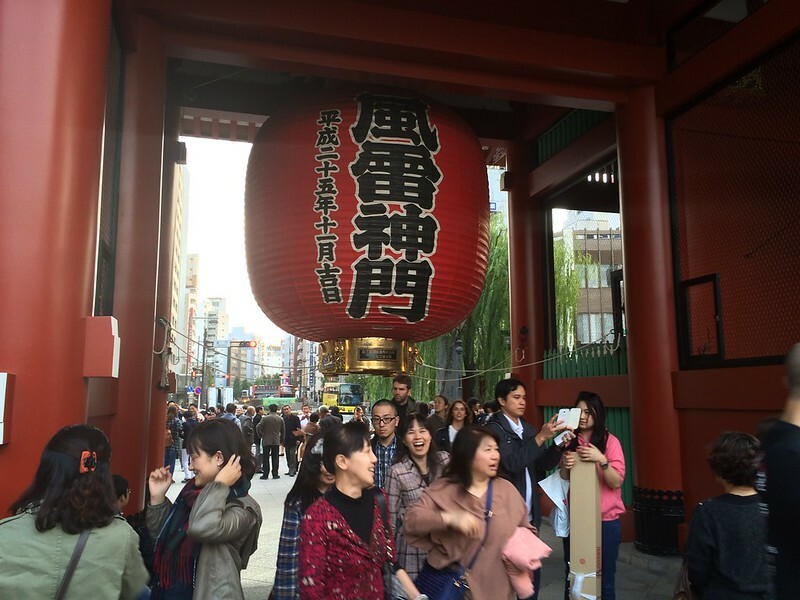 This entry was posted in Little Big Trip 2014, Newbies at Life and tagged daifuku, japan, mochi, shibuya, shinjuku, Tokyo on November 9, 2015 by ivanwlam. Because it’s the Great Wall. So many people have been, and I wanted to see it for myself, up close, and see how it’s structured. 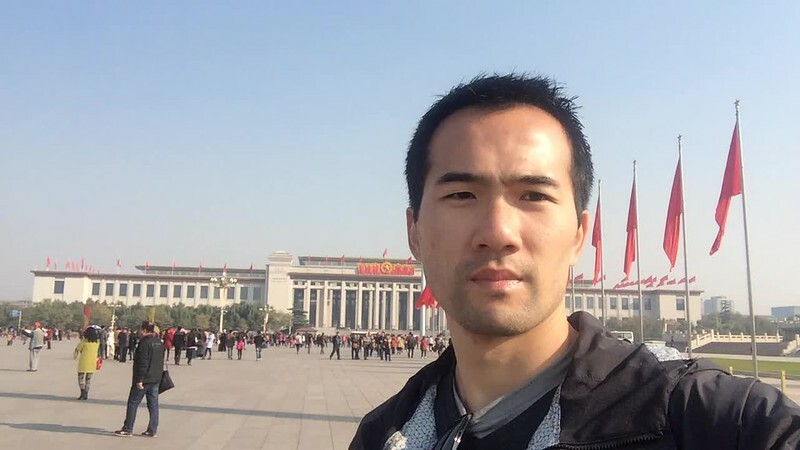 I wanted to go to Beijing to visit Tiananmen Square because of the history, and I wanted to visit the Olympic Park and Stadium because I love the Olympics. Wednesday, 5 November: Arrived in Beijing. Visited Tiananmen. 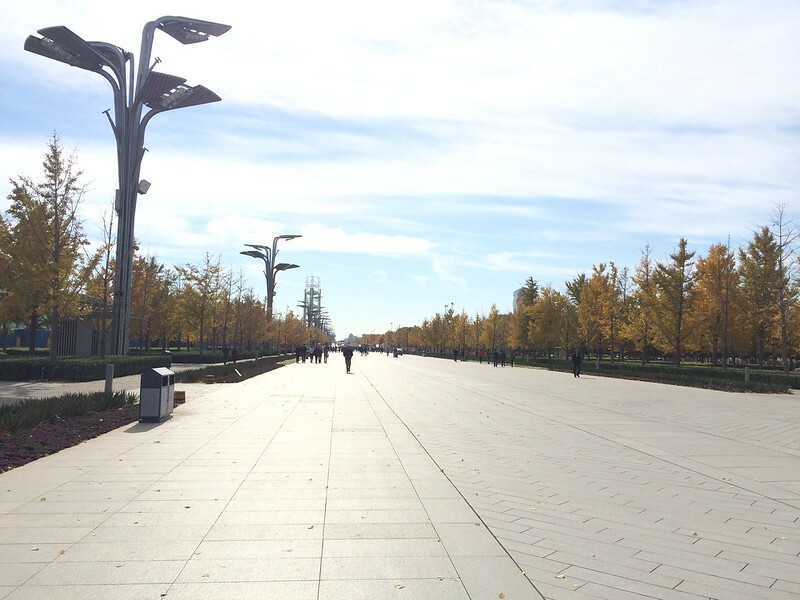 Thursday, 6 November: Visited Olympic Park. Friday, 7 November: Great Wall tour, including jade factory and teahouse visit. 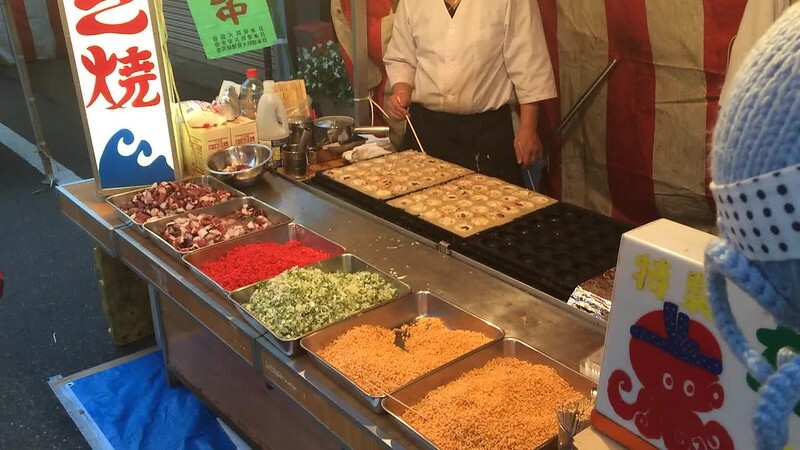 Checked out Street food Street and Sun Dong An Plaza shopping center. 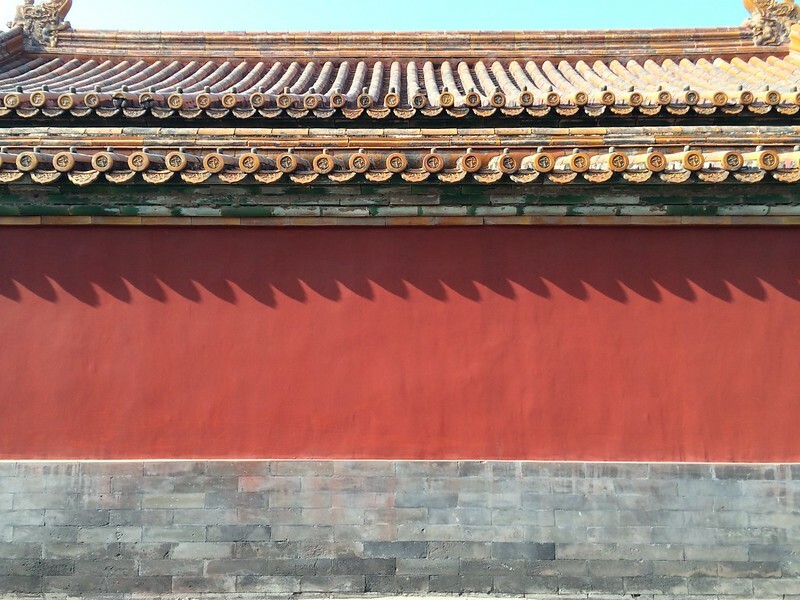 Saturday, 8 November: Visited Forbidden Palace. Checked out “dessert street”. Sunday, 9 November: Depart Beijing. Beijing was nicer than I thought and have heard. My previous experiences of mainland China was only the southern region when I entered through Macau and Hong Kong. Compared to the westernization of the two cities, mainland China was very basic, less developed, and less maintained. Beijing was slightly more organized and maintained, although I wondered if that was because APEC was visiting at the same time. However, there was little to bring me back to Beijing. I felt that I had seen enough. The Great Wall was great. But it’s hard to comprehend the scale at which these walls were built, especially when I stood at a higher spot on the wall and looked out at a mid-point along the curving walls, trying to get a sense of scale and distance, and then imagine multiples of that as I looked out farther into the landscape. I flew direct from Rome to Beijing. The flight was ten and a half hours, but it didn’t feel that long, partly because it was an overnight flight and I slept for a good amount of the time. From the airport, I took a subway train into the city. There was a special booth to buy the ticket, and it costed twenty-five yuan. The ride took about 30 minutes. It dropped me off at one of the subway stations, but I had to exit the station for the airport train first before I could enter the subway system. For Beijing, I booked my stay at the Peking Yard Hostel, partly because it was close to a subway station and that it was part of Hostelling International, which I became a member for this trip (although the only other time I used the membership was in London). 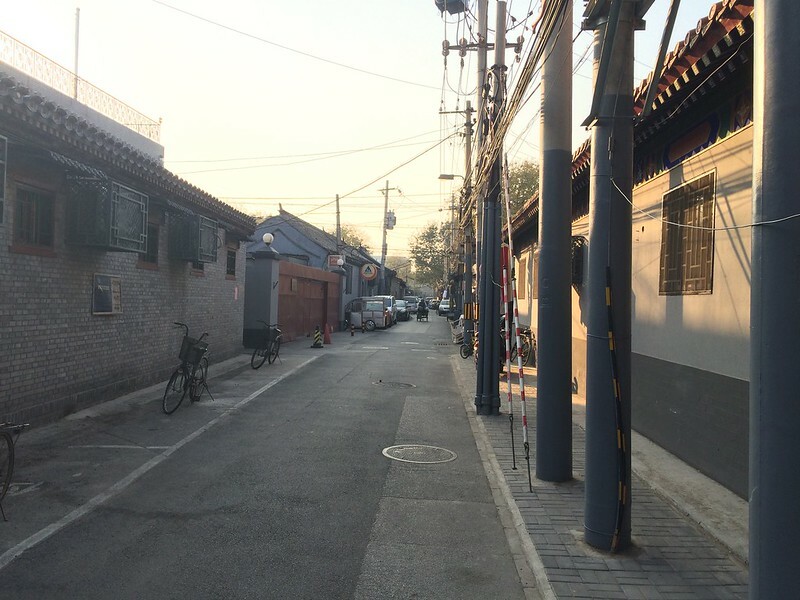 Since the hostel was located in the middle of a hutong alley, I studied the location on the map ahead of time to make sure I was going to the right place. Fortunately, there was the Hostelling International sign (albeit small) in front of the entrance. The staff working there seemed to be young adults, late teens or early twenties, maybe in college and this was their part-time job. But they were all very professional and friendly to customers but were casual amongst themselves. The more senior staff could speak English well enough. At check-in, one of the staff came out from behind the desk with a full-size airport security handheld metal detector to scan my luggage. I thought it was really unusual, but I wondered if it was because the APEC summit was happening. But she didn’t really scan the bag fully anyway. I saw her do that again with other new guests, and it was almost comical to watch. One time, I was hanging out in the common area, and I was asked to watch the front desk because one of the staff had to step out to help another guest, and she assumed I spoke English. Fortunately, another staff member came back and I didn’t have to do anything. When the original staff member returned, she mentioned how she asked me to watch the desk, and the other staff member revealed to here that I didn’t speak Mandarin. They all had a laugh and they gave me a free tea. It looked pretty but tasted like regular tea. I booked a dorm for my stay. 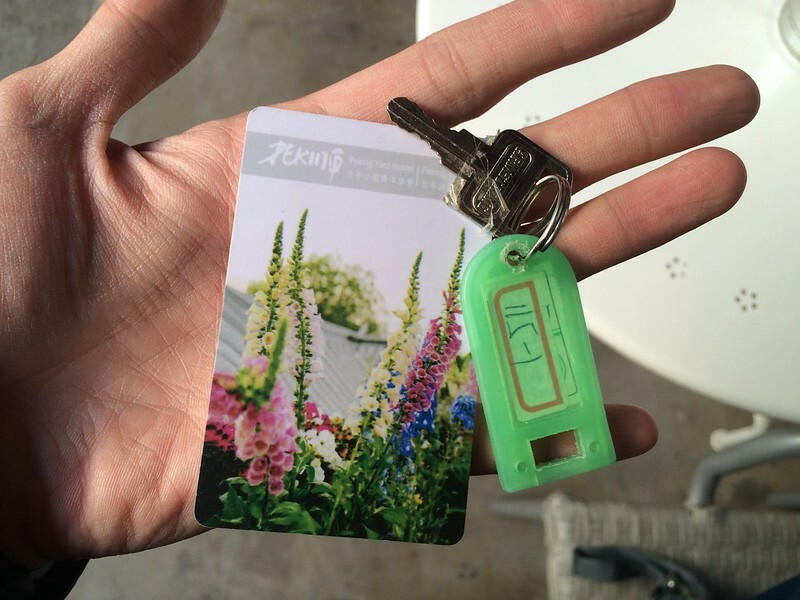 Each guest was issued a key card for the room and a locker key. My room held four bunk beds along one wall on the main floor, and there was a ladder between the bunk beds leading up to the attic for at least two more beds. They really crammed as many beds as they could. I was going to check out the attic but wasn’t sure what I would do if someone was up there and they caught me peeking. The room had very limited lighting, so it was dingy-looking for most of the time. I had the top bunk so it was slightly better. The room had an off-and-on faint sewage smell. I tried to track the smell to the bathroom, but it wasn’t it. When I first got to the room, I thought it was going to be a miserable four nights. But the smell went away randomly, and I was not too bothered by it throughout the stay, knowing that I was going to leave in a few days. I was the top bunk, and it included a little shelf, a lamp, and an outlet next to the bed. The sheets were provided and made, and a light duvet was included as well, and it was all sufficient. Each guest had an assigned locker, and they were wooden cabinet with a key lock, and we’re assigned issued key at check-in. My locker cabinets had a slightly broken door hinge, most possibly from overuse. It’s been used a lot. It could fit a large backpack (though backpackers’ backpack wouldn’t fit because of the depth. I heard there was laundry service at the hostel but I did not bother to ask. So I washed my clothes in the bathroom and hung it in the empty space behind the ladder to the attic. Technically, it was probably communal area, but I doubted anyone was using it, so I took advantage of it. 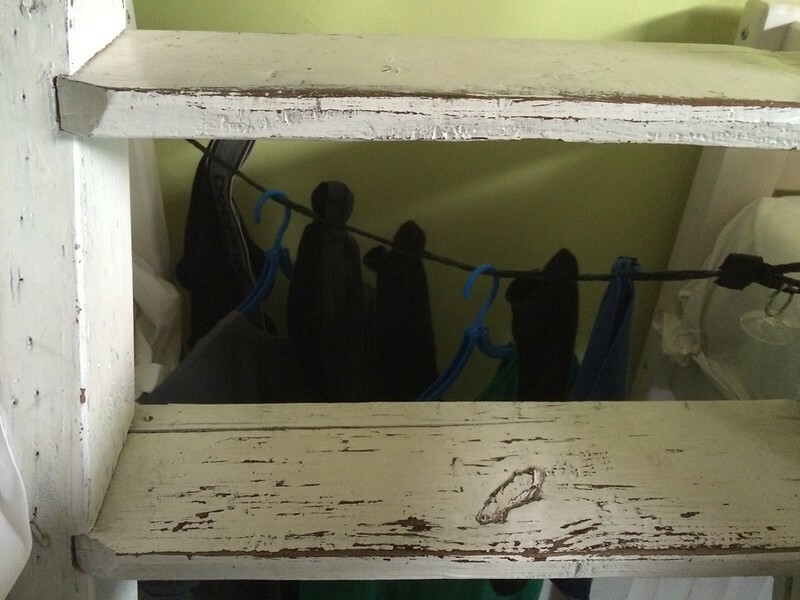 I hung my underwear and things, but I didn’t care; I needed washed clothes. However, because the sink looked dirty, I instead washed my clothes in a large clean plastic bag that I had with me. For some reason, after I was done washing my clothes, the previously clean plastic bag had the same random sewage smell as the room. I was pretty certain the smell did not come from my clothes, so it may have been the water or the shower floor, where I rested the bag when I stirred the clothes and water inside. The bathroom was really basic with a shower stall, a toilet, a trash can, and a few hooks on the wall, though it didn’t feel enough for me. Also, the trash can was for discarding used toilet paper, just like what I had to do in Peru. While I was familiar with the process and got used to it pretty quickly, the idea still felt quite strange and gross to me. The common area was pretty nice. There were a few grouped sofa seatings along one wall, and a few small tables next to them. On the other side was a dining table and pool table. There were a lot of plants (perhaps they were fake), which made the space much more friendly and comfortable. There were just enough power outlets to charge my phone or tablet, but that was only when there were a few people around. 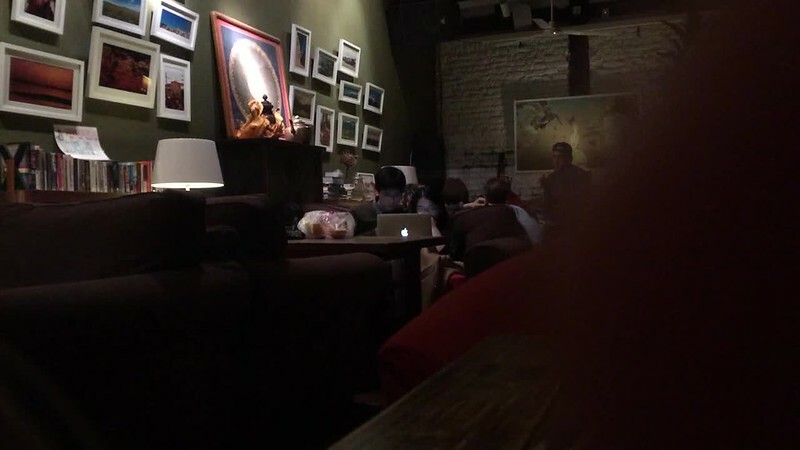 If the whole place was packed, then there would not be enough people to charge their devices. The casual vibe was also achieved by the mellow English songs playing throughout the day. One time, I heard a few of Jack Johnson’s songs playing back to back, and that made my day, for bringing a piece of my life to the trip in an unexpected place. Wi-Fi only worked in the common area. The speed was slow compared to the States and Europe. It was good for light browsing. Also, they blocked many sites. For a few moments at the beginning, I felt a little lost for not being able to check Facebook. I was a little shocked to be able to experience first hand how some seemingly common and popular sites and apps were blocked. There was also a Windows desktop computer with Internet access. I actually used the computer to transfer and back up the photos and videos from my phone to the flash drive I bought in South Africa, and that worked pretty well. I felt good to backup my photos so quickly, unlike the weeks of transferring them to the cloud. See Food section, but basically, the hostel had a decent menu of Chinese and Western dishes. The quality was solid, and the price was reasonable. 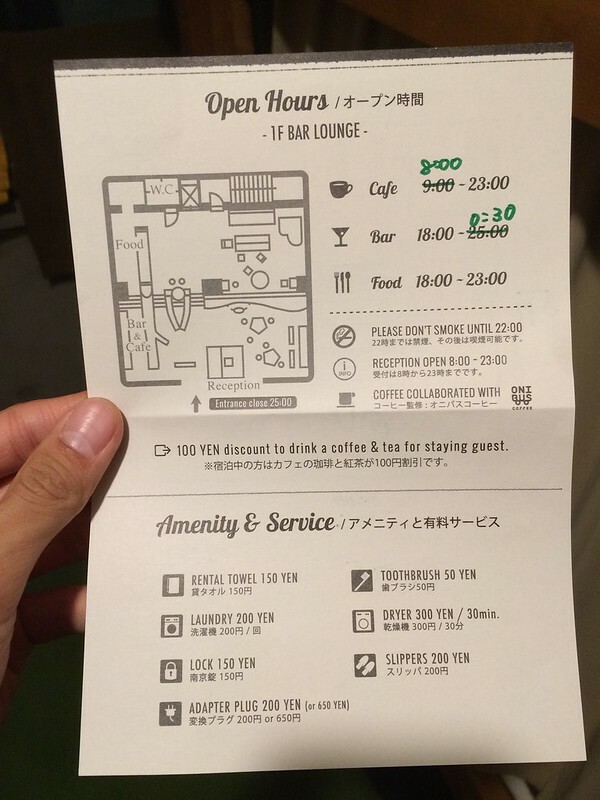 While the staff was nice, the food was good, and the location was close to a subway station, after experiencing the setup on my room, I felt that I was grown up enough to be able to afford a regular hotel room instead. It would’ve made a lot of things easier and more comfortable, although I would have lost the opportunity to meet people like I did at the hostel. Subway and walking. Beijing was surprisingly big. For farther distances, I took the subway, and for the rest, I walked. I was surprised that Beijing had a subway system, and one that was pretty clean and reliable. That’s why I didn’t get a special multi-day or multi-use pass. But each ride was 2 yuan, about 30 U.S. cents, much more affordable than European and American subway fares, so I didn’t mind buying individual tickets, as I needed. Most stations had a security checkpoint, where my backpack had to go through a scanner. Depending on the station, smaller bags were okay. I was rarely in a rush, so that was okay. I couldn’t imagine how rush hour would look and feel like for commuters. The stations at the Tiananmen Square even had security checkpoints for leaving the station. Some station had machines that sell tickets. Some have staffed booths. Buying tickets at the booth was pretty quick. The staff are pros with trays of tickets, bills and coins in front of them a touchscreen next to them, ready to collect money, tap the screen to mark a sale, count the change, and issue the ticket. The tickets were in stacks at the ready, so I think they were reused. At the platform were plenty of signs with route numbers, station names in Chinese and phonetic English, route map posters, and digital signs for arrival estimate. The space was also pretty clean and well maintained. There were glass walls and doors next to the boarding zone, and they would open in sync with the train doors. Some stations had signs pasted on the floor instructing where they should queue up, and people actually followed them. 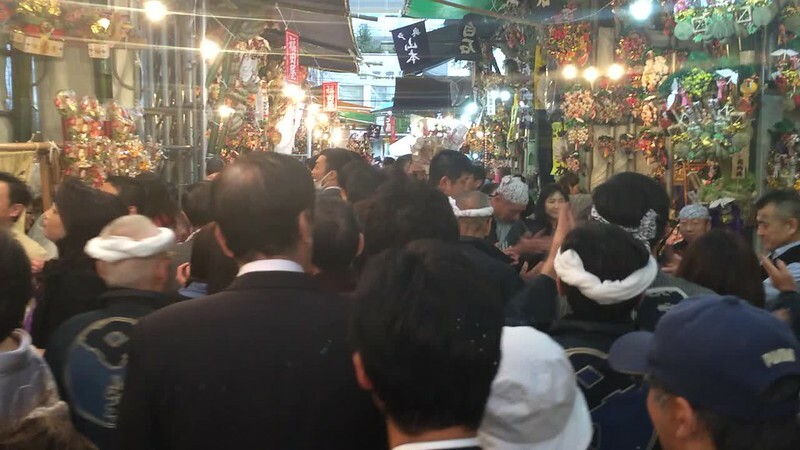 It’s consistent with my experience in Chinese culture where the people respect queues for public transport, but in every other instances, it’s a mob of people crowding and pushing to get their share. On the trains were also route maps above the doors with lights along the route, marking the path with different colored lights. There was also a lot of advertising, on the walls, on the overhand handles, on TV screens on the walls. There was even advertising outside of the train in the form of frame-by-frame posters along the tunnel walls synced to the speed of the train so they practically looked like a video ad. Most subways stations were spaced a good distance apart. 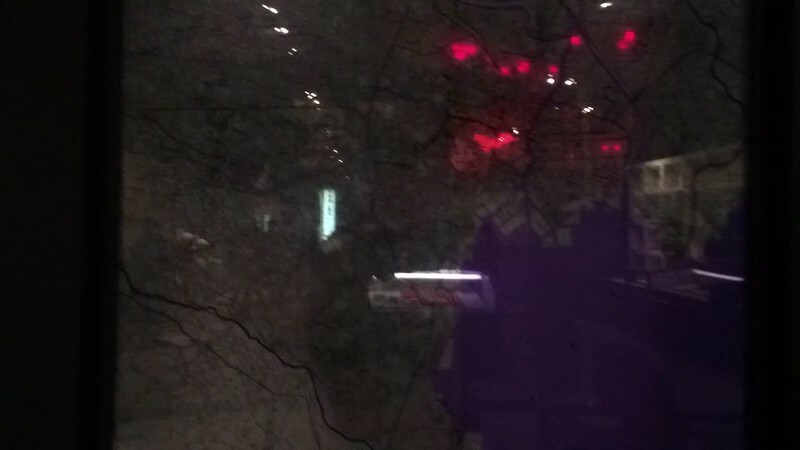 When I arrived in Beijing and took the subway for the first time to get to my hostel, I got off at a station that was the second closest to my hostel because it didn’t actually connect to the closest station. I thought I should just walk it. But it turned out to be a twenty-to-thirty-minute walk with my carry-on luggage on my back. I was fine at the end of the walk; it was like a good walking workout. But I learned my lesson and made sure I got off at the closest station wherever I was going, even if it meant that I would have to take different trains. Time of year: Early November. The weather was mostly cool. I wore layers and long sleeves all the time. In the middle of the day, when it was sunny and warmed up a bit, I would take off my jacket, but I’d still have my long-sleeve layers. At night, it got very chilly, and I had my buff to cover my neck like a scarf. I wore my leather gloves as well. On the Great Wall, it was still cool, but because of all the walking and hiking, it didn’t feel as cold as it would have if I had just stood still. 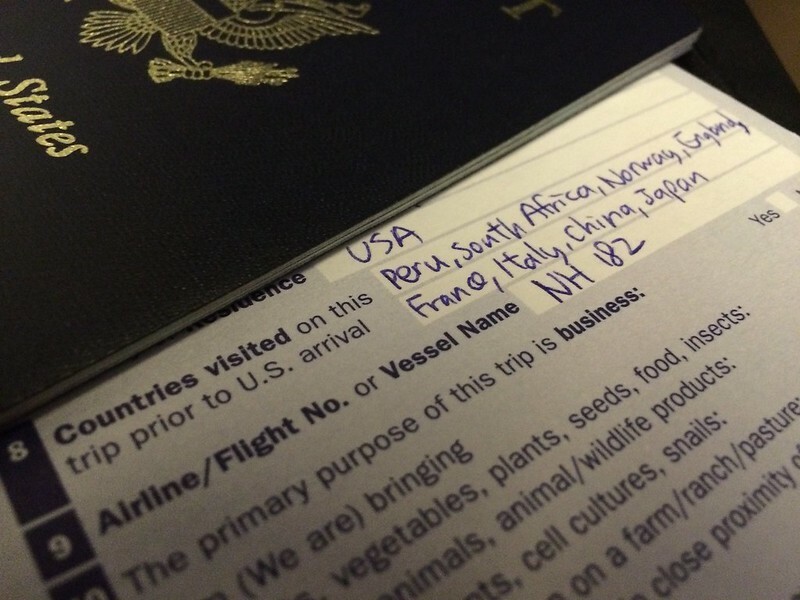 I was in a different situation from other American/Western travelers in China because I am Chinese. The locals treated me more like one of their own, until they could tell that I wasn’t a local. In many instances, that came to my disadvantage because I was expected to behave and interact at a standard different from other travelers, but I inevitably fell short. That made me look incompetent to them. One time at a bakery, the cashier did not have enough change to give back, and asked if I had smaller change. I understood the situation but couldn’t understand her exact request and question. All I could do was just shake my head and say, “Don’t have.” and I wanted to say “Don’t understand” in Chinese. Stuck in a tough situation, she started complaining at me, for making her get her coworker to help her get change and slow things down. In the end she had to give me change in the next highest denomination she had, which was a lot more than what she owed me and probably why she was so upset. If I looked more like a foreigner, she would probably still ask her coworker for help, but she would be more understanding and take it upon herself to resolve the issue instead of relying partly on me to help her as a fellow Chinese.. In general, though, because I stayed within touristy areas, the locals seemed to be used to travelers and would be fine helping them as best as they can. There may be prolonged stares if the visitors looked foreign, which may feel intimidating. But I can speak for Chinese people that most of them have a tendency to stare (albeit harmlessly) without realizing the how threatening they looked. Regardless, this was one of the advantage of looking more like the locals, the ability to blend in. I grew up speaking Cantonese, but Mandarin was the main dialect in mainland China, including Beijing. I could understand basic words in Mandarin and speak it if it’s spoken slowly enough. But for travel, I would still need to know more phrases to successfully communicate with locals. I learned Mandarin through audio tapes like the other languages for the trip. It was both easy and hard to learn because I was already familiar with some of the words and phrases but not others, so my mind was switching back and forth, figuring out if I already knew the word, and if I did, whether it was used the same way that I thought, and if it wasn’t, I had to relearn it and remember the new definition and usage. Nonetheless, it was still helpful to know how to read some Chinese characters so I could have some confirmation from posted signs that I was heading in the right direction or that I picked the right thing. The subway was usually pretty good with including English in signs, although most of the station names were converted to Chinese phonetically instead of translated, so those who didn’t understand Chinese would have to read the names carefully to make sure they go to the place they wanted. Outside of the subway system, it’s a bit more tricky; it’s a matter of luck for signs to include English. 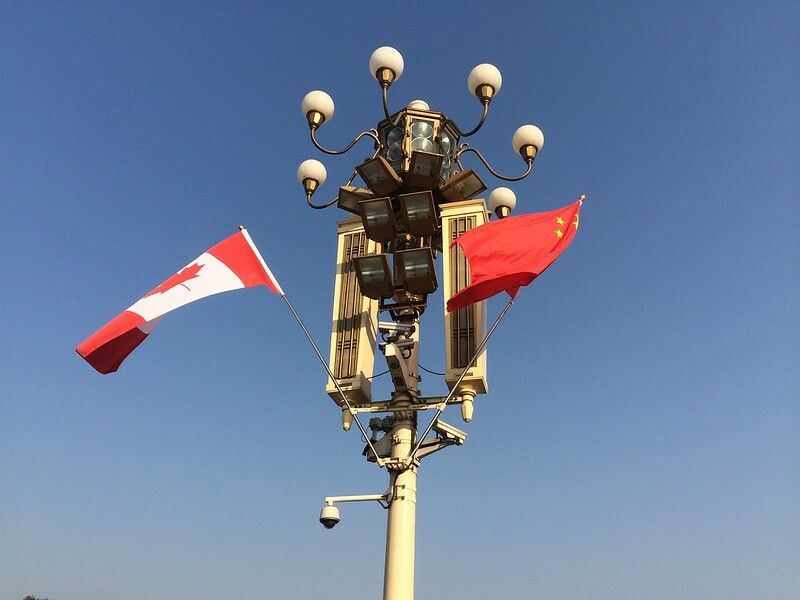 Just like with the Eiffel Tower in Paris, and the Colosseum in Rome, after settling into my hostel in the early evening, I left the hostel and visited a major landmark in the city; I went to Tiananmen Square, specifically the Tiananmen gate. I took the subway to one of the two stops for Tiananmen. That’s when I noticed the security checkpoints to leave the station. I was also just figuring how to pick an exit, because oftentimes, it was harder to cross the street above ground, especially at an iconic site like Tiananmen Square. Originally, I was going to check out the Square itself, but I arrived too late and visitor hours were over. There were guards at the crosswalks stopping anyone trying to get through. I saw one guy obviously running across the street to get in, but he was promptly turned away. The sidewalk where the gate was, however, was still open to visitors. So I had to cross the street underground through the station. While in front of the gate, I realized that less than twenty-four hours before, I was in from of the Colosseum in Rome. A flight and some traveling later, I arrived at another landmark almost half way around the world. It seemed like a common enough event, but it still felt special to me. A few days later, I made another visit to Tiananmen Square, after checking out the Forbidden Palace, which was behind the Tiananmen gate. Tiananmen Square was incredibly huge. It’s hard to imagine any sort of public gathering that could fill the entire square with people. To get to the Square, there were a few entrances. I took the eastern entrance, which was accessible after a crosswalk. There was a security checkpoint station with bag scanners. Lines were formed amorphously so like everyone else, I slowly pushed my way to the front. Once inside, there were a lot of tourists, but like I said, because the Square was enormous, it actually felt sparse. I noticed very few guards in the middle of the Square; they were mainly at the perimeter, especially the side closest to the iconic gate. I took the subway all the way north to the Olympic Park. There were two stations that stopped at the Olympic Park, but only the northern one was open. And since the Olympic Stadium was near the south side, I walked down the entire park, with very little to see along the way. 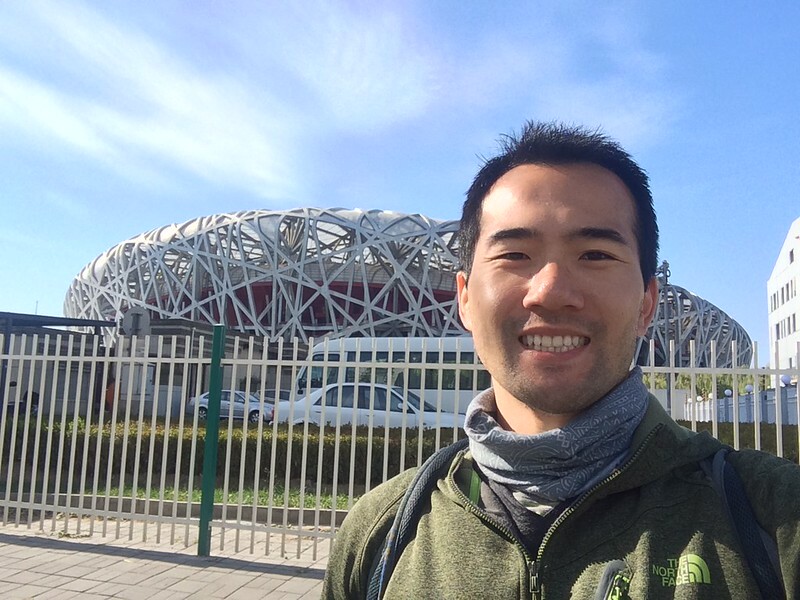 I found out somehow that the Olympic Stadium was closed to visitors, most likely because of the APEC summit. Even the area around it was closed off. So the closest I go to the stadium was the southern perimeter of the park. 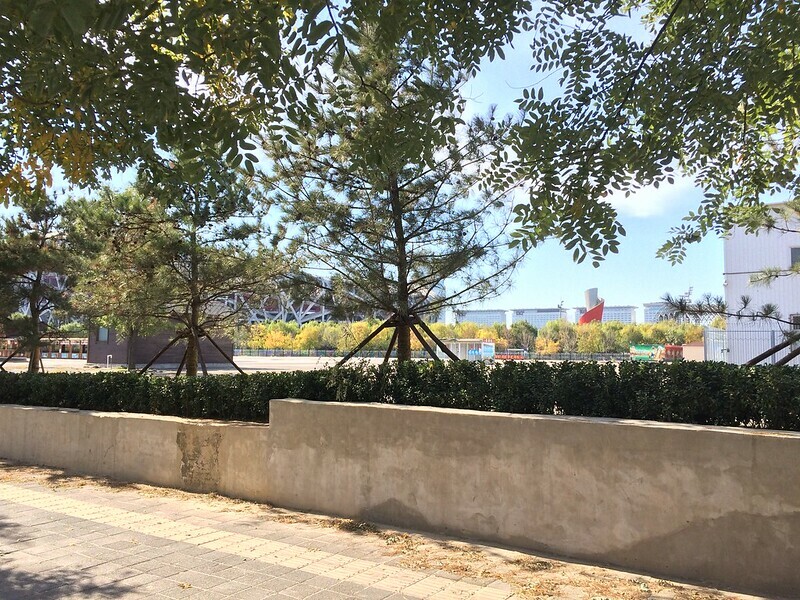 It was often obstructed by trees and fences, so I had partial view of the stadium and the Olympic Cauldron. I walked around the southern perimeter, which was a ramped, trenched alley, and emerged on the west side, which was where the Water Cube aquatic center was. It looked closed off, too, so I only took pictures from a distance. 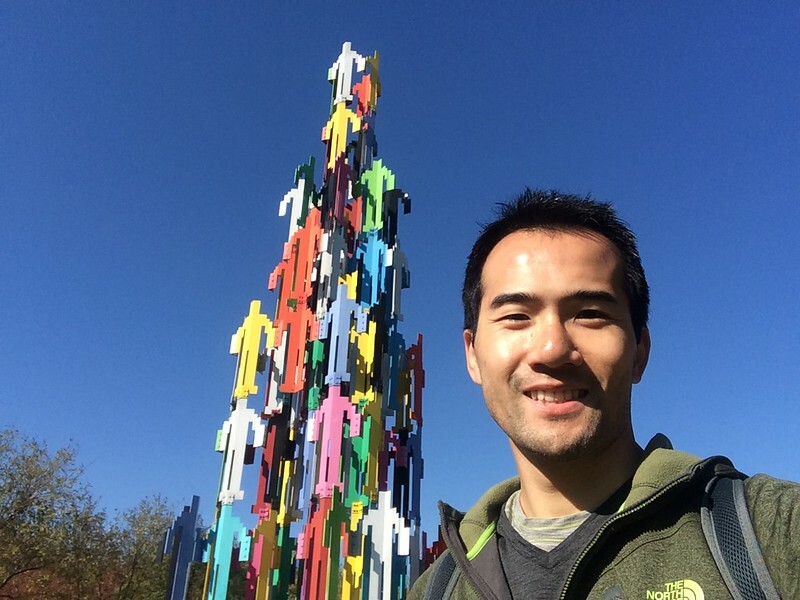 As I made my way back north, I noticed an art sculpture with a bunch of boxy-people figures stacked to create a giant tower. I thought it was really interesting and optimistic, so I took pictures of it, including a selfie. 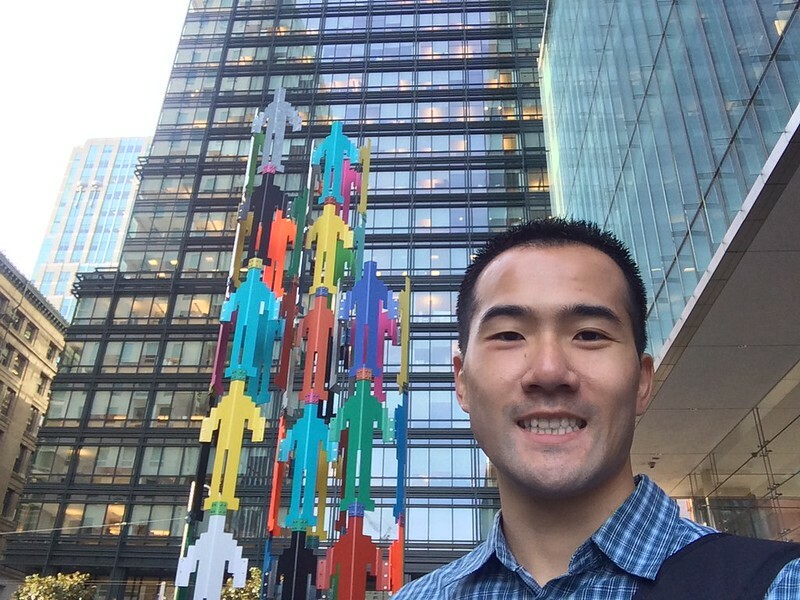 To my surprise, the day after I returned home from the trip, I was running errands in downtown San Francisco and noticed a similar sculpture. Having just ended the trip, memories were still fresh in my head and seeing the sculpture was a nice reminder and full-circle throwback of my experience. While I had only planned to check out a small section of the park (the stadium side), I managed to start from the north side, make a clockwise loop around the park, and arrive back at the northern station for my exit. It was a very long walk, but it was all I could do to milk my experience at the Olympic Park. Overall, the visit to the Olympic Park was nice, but I was very disappointed that I could not see the stadium and the Olympic Cauldron up close or get inside. And since the Olympic Stadium in London was also having work done, my dream to visit Olympic Parks in the inspiring way that they had been for me was still unfulfilled with this trip. I had little plans to visit Beijing again, but being able to check out the stadium, cauldron, and aquatic center up close, and hopefully inside, would be the only reason I would return. I booked a Great Wall Tour through Viator. 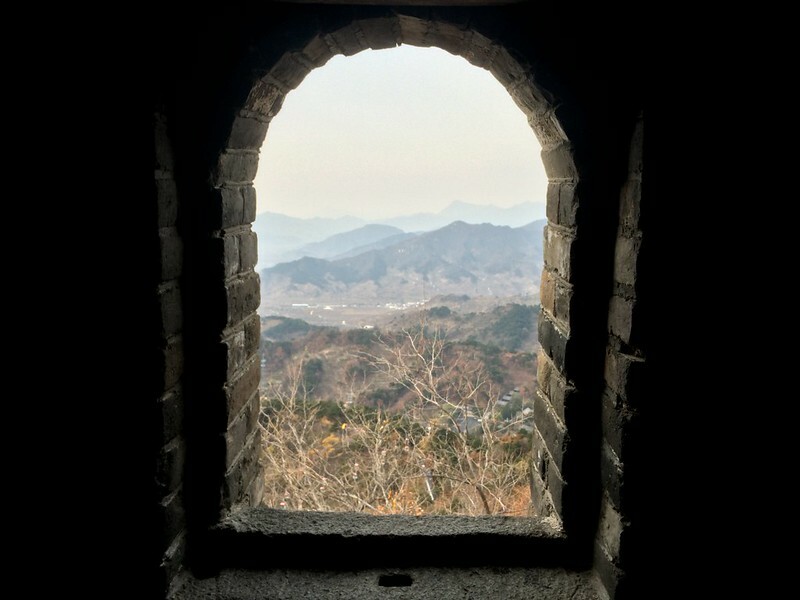 There were tours that went to either Badaling or Mutianyu, and after looking up reviews on TripAdvisor, I decided to go to Mutianyu because it was supposed to be less crowded. Before booking the tour, I also briefly looked into getting to the Great Wall myself, which involved taking buses at certain times and whatnot, which, from previous experience of transportation in mainland China, I would feel more confident purchasing a tour that took care of all of that for me, similar to my Machu Picchu tour in Peru. My tour guide Jacky called my hostel the previous day to confirm the tour and the pick-up time. 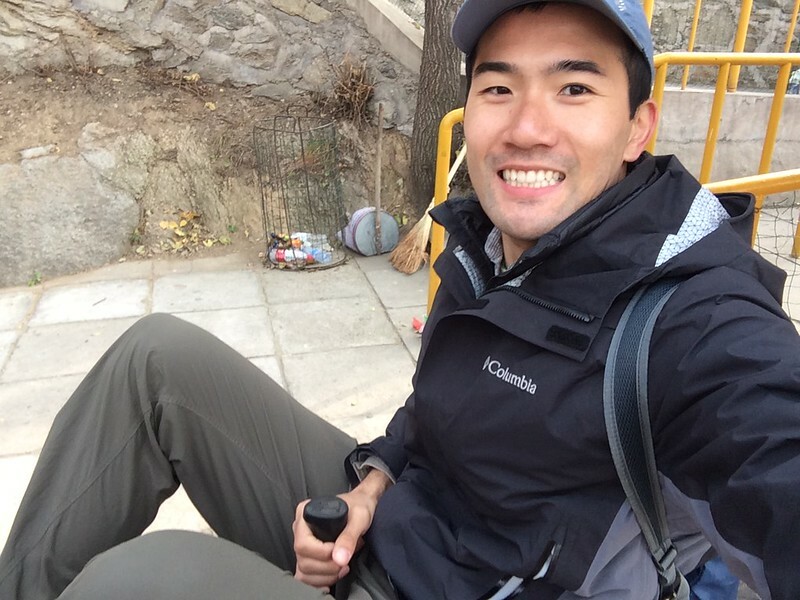 The morning of, Jacky picked me up and I followed him down the hutong to the main street and hopped on the van. As we made our way, he asked where I was from and if I spoke Mandarin, in Mandarin. I responded in English that I was from the States and I spoke Cantonese and very little Mandarin. Once I got on the van, I sat in the back since I noticed that the van was full and I was the last pickup. The tour included a stop first at a jade factory in the city. We saw workers behind glass walls filing down jade into shapes, and went into rooms checking out the different types of jade and learned how to spot fakes. Then we were given a good amount of time to browse through the sales floor and shop for jade products. I didn’t get anything because 1) I had no plans to buy jade on the trip; my plan was to see the Great Wall, and 2) any purchases would take up an additional space in my luggage. After the jade factory, we made our way to the Great Wall. The ride didn’t feel too long, especially when Jacky was practically constantly giving us little factoids and history about the Great Wall. It was almost getting annoying. He even started to sense it and mocked himself, asking us to remember the factoids to recite to our friends, in addition to mentioning that the tour guide never stopped talking. For what it’s worth, I commended him for putting in the effort and energy to inform and to keep us awake and entertained. As we approached the site, Jacky explained how the tickets worked. He mentioned how we could hike our way up the mountain to the Wall, or take a ski-lift ride up, which costed money. In my head, I thought it would be fine to get to the wall on foot, but everyone else seemed to want to pay to ride up, and also honestly, I was confused by Jacky’s explanation, so I just did what everyone else did. I continued to follow everyone else and took a ski-lift ride up the mountain. It seemed like an exciting thing to do, but considering all the stuff I had done already on the trip, it was pretty anticlimactic. The one thing I noticed was a track for toboggan slide down. Considering how this was China, I felt a bit uneasy to doing something like this, putting faith in the construction quality of the track. Once I got off the lift at the top of the mountain, walked up the stairs to the wall, and stepped foot on the inside of the wall, a rush of excitement went through me very briefly. I had the “I am really here!” feeling quite quickly; usually, I had to stop what I was doing, become aware of the present, and remind myself where I was and be grateful about it. But for some reason, seeing the top of the wall, and that it continued down both sides for as far as I could see, made me feel very open, free and compelled to explore the the entire length. I was very giddy in my head, though I did let out a smile. But I soon calmed myself down and began my walk. Some of the towers between the walls looked very well-designed with built-in walls dividing the interior into different sections. I couldn’t really imagine what could possibly be in these sections, other than weapons. But the window views were neat to look through. 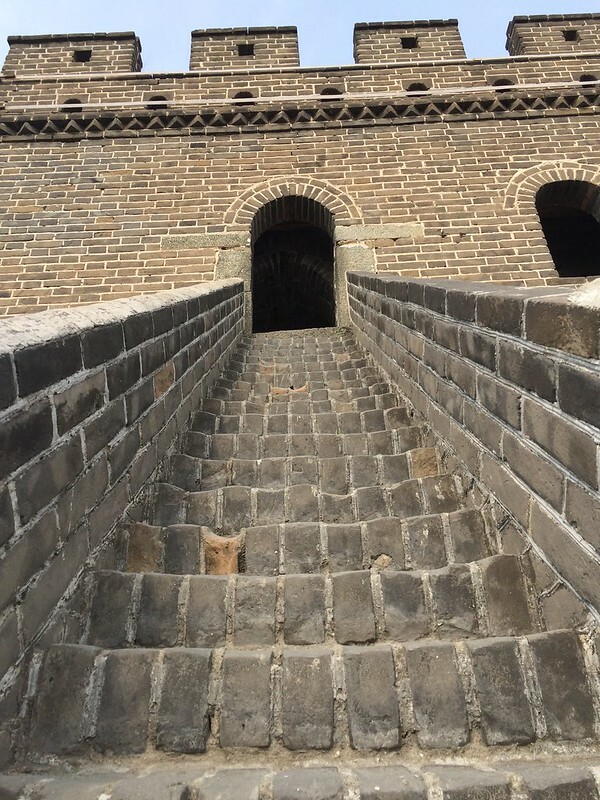 Some parts of the walls had very steep steps, some as tall as two feet, I felt. It made me wonder how soldiers back then would be able to go from one tower to another tower without becoming winded just from climbing the steps. At the end of our allotted time, I returned close to where I got off the ski lifts, but instead decided to ride the toboggan back down, partly because two other guys from my tour group did it, and partly because this was a rare opportunity, and I had to take it. The toboggan ride was kind of fun. It had a smooth metal track but the speed was medium so there was not a point on the ride where I felt like it was so fast that I could potentially fly off the track. There was one control: a stick between my legs. It allowed me to slow down the toboggan and to stop it. Even though there were plenty of signs along the way that said “NO STOPPING”, I had to slow down a few times because there were a few riders in front of me that required me to slow down or stop so I didn’t crash into them. Throughout the ride down were also small spaces where someone would sit at a chair with the radio, monitoring traffic. There were also signs along the way to discourage riders to stop the toboggan to take photos. The only photo I took was me at the start of the track getting ready to ride down. After getting back to the base of Mutianyu, we made our way back to the van and headed for lunch. We went to a small restaurant in the middle of nowhere and had a standard Chinese lunch. I got a chance to learn about the other people from my tour group and it was interesting hearing people’s backgrounds. There was this one lady and her teenage son, who were from LA. She seemed to have, let’s say, a lot of care taken to her facial appearance, which was an LA stereotype, and her son looked like a skater boy type of teenager and appeared to be bored most of the time. But when she talked about her travels around the world, she gave a spiel about how people in other countries making less money than we did or living in homes that we considered undeveloped were actually not poor, that it was just the way they lived and their standard of living was just lower, and to judge them based on that was unfair. And when the son took off his beanie, he looked more like a mature teenager, happy to take a trip with his mom. That and the spiel made me feel bad and guilty about the assumptions I made about them, and it reminded me to continue to be open-minded about other people, especially strangers. After lunch, I thought we were going to get back on the van and head back to Beijing. Instead, Jacky led us to the Cloisonné enameling factory right in the same property as the restaurant. I had no idea; and it started to make sense why we had lunch at a restaurant in the middle of nowhere. Cloisonné was apparently an ancient art form where special color powder were decorated onto copper pieces and then baked in a kiln to set the color. We took a brief tour of the factory, which pretty much consisted on room after room, divided by the different stages of the process. The store sales floor obviously had a lot of cloisonné merchandise for sale. The pieces there were quite impressive, especially large floor vases. Despite the beautiful work, I still diddn’t buy anything from the store. 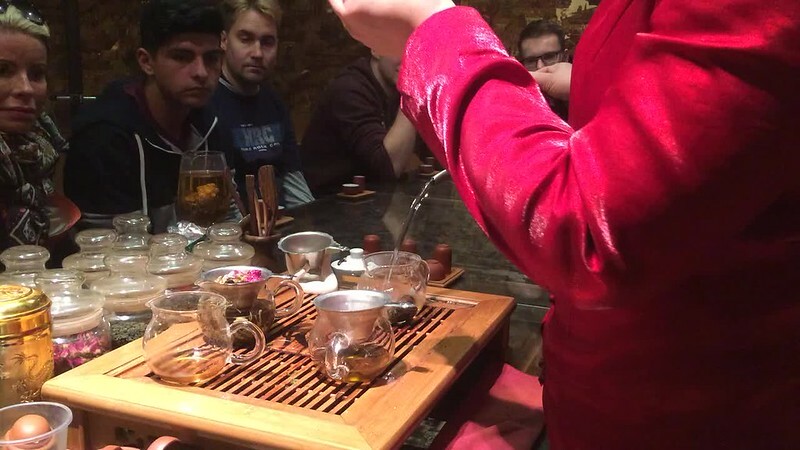 Our last stop the Great Wall tour was to learn how to make and drink tea at a teahouse in the city. 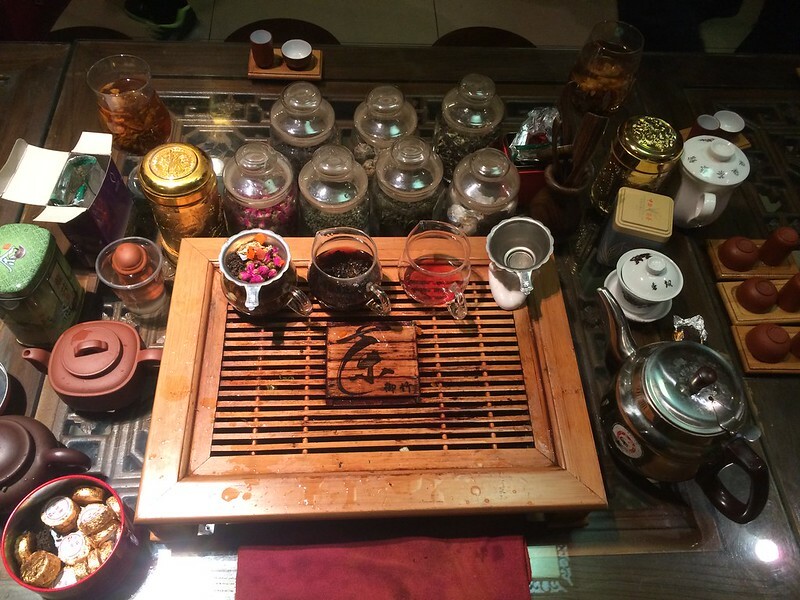 We were led to a room with chairs around a table full of jars and set up, and we were introduced our tea expert. She taught us the etiquettes and process of drinking tea in Chinese culture, along with the different tea types that they made. I had interest in teas, though not to the extent of setting it up like a teahouse. In my fascination and raised interest in discussions about teas, after the tea tasting, I picked out one of the teas I liked and bought it. This was different from how I normally behaved, especially from earlier that day at the jade factory and the Cloisonné enameling factory. 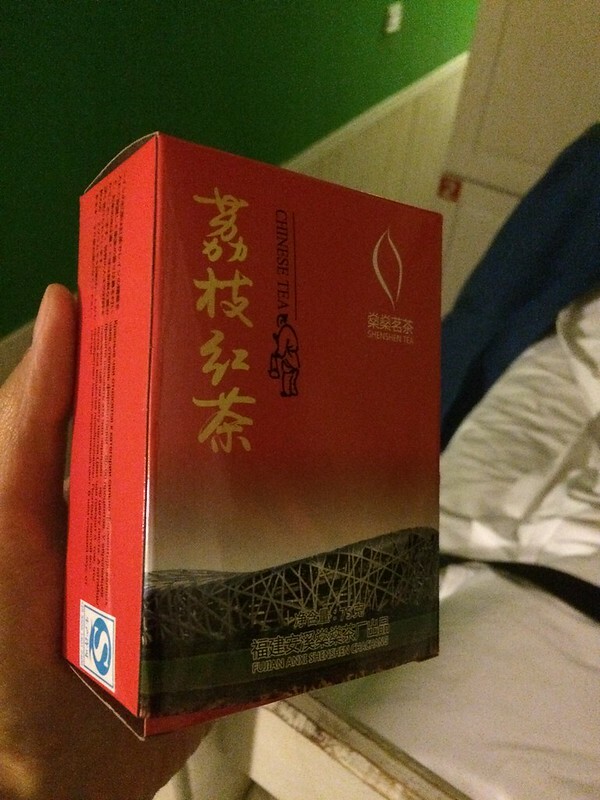 Also, the tea was kind of bulky so it would definitely take up some space in my luggage. But I thought that since my trip was going to end soon, I could afford to carry that weight for just a little bit of time. One of the stories Jacky kept mentioning before the teahouse was how it’s important to hold the tea cup a certain way (with all fingers inside) and not with pinky pointing out, otherwise the person would be considered a “lady boy” like a gay, who would have served the emperor in the old days. Perhaps it was my Californian sensibilities, somehow that sounded insensitive and a little ignorant to me. Knowing the culture, though, I’m almost certain it was only meant as a joke. An outdated one by my standard, and I was not amused. 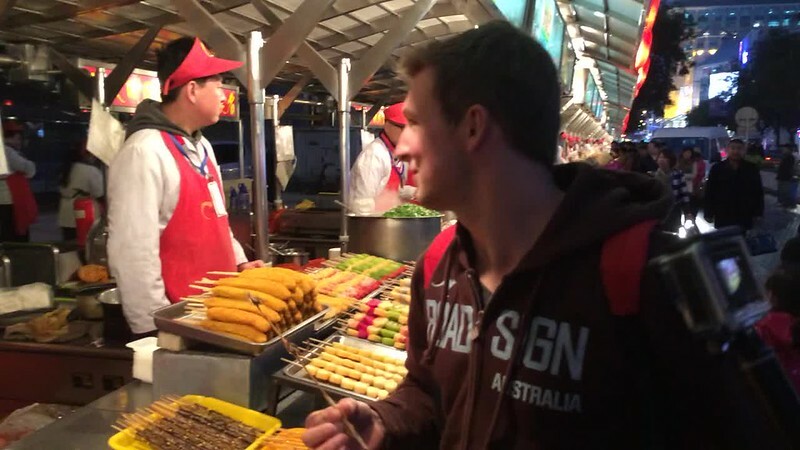 After the Great Wall tour, I asked the two German guys from my tour group if I could join them in checking out the apparently well-known street food scene. So instead of being dropped off at my hostel, I got off the van and said goodbye to Jacky and the rest of the tour group. We ended up around the intersection of Donghuamen Street and Wangfujing Street, which seemed to be a large tourist/retail area. We started exploring the area, looking for the street food. On the way, we noticed an interesting looking vehicle where the wheel was the frame, and the whole thing rocked back and forth. It looked kind of cool and I wanted to try it. We found the street with the long row of street food vendors. 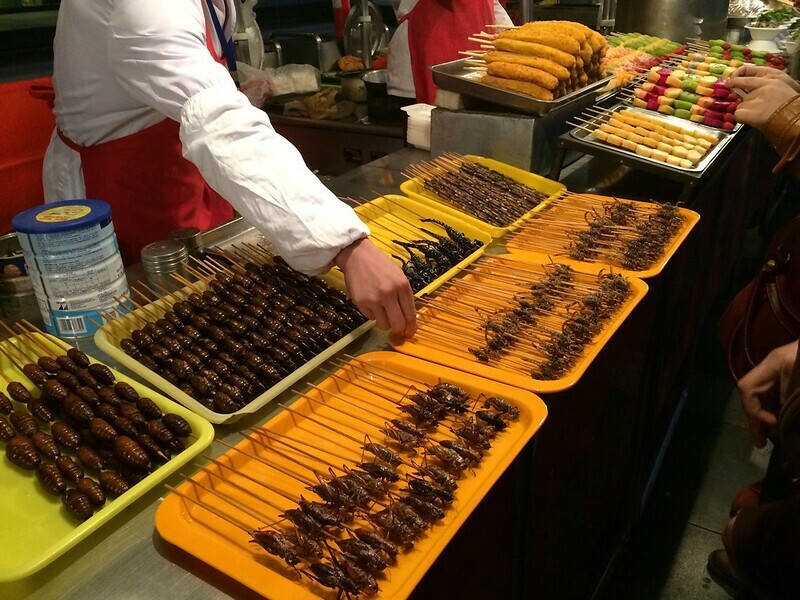 Apparently, it was one of those street foods that served insects on sticks. One of my new German friends was so excited about this and had a mission to eat different types of large insects and bugs. 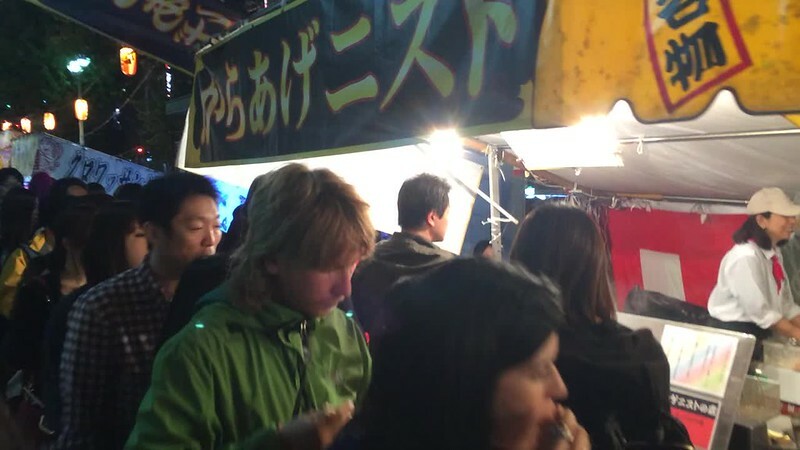 The vendors also seemed to favor and call out foreign-looking travelers in their best English to try their food. It’s a thing that I was not aware of but also not surprised by. 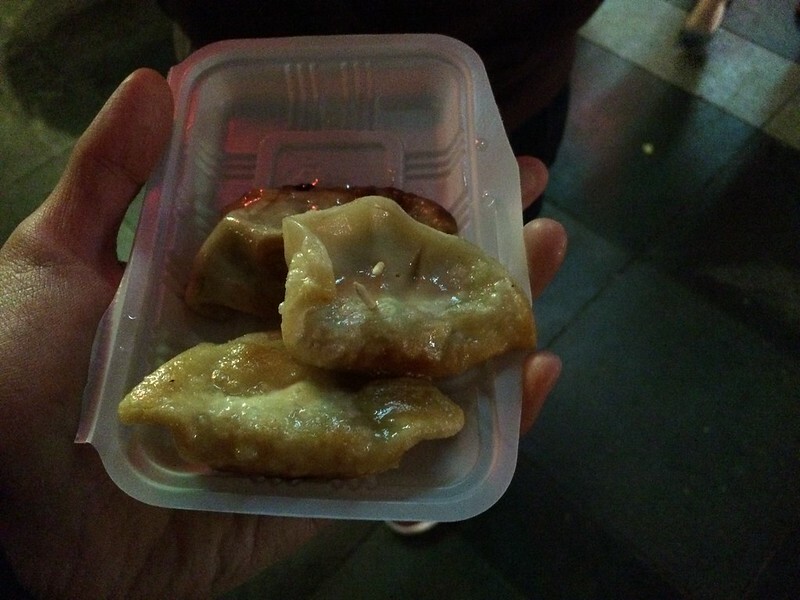 For me, I stuck to more regular food, like potstickers. After that, we checked out the Sun Dong An Plaza shopping center nearby. It was really nice and large. 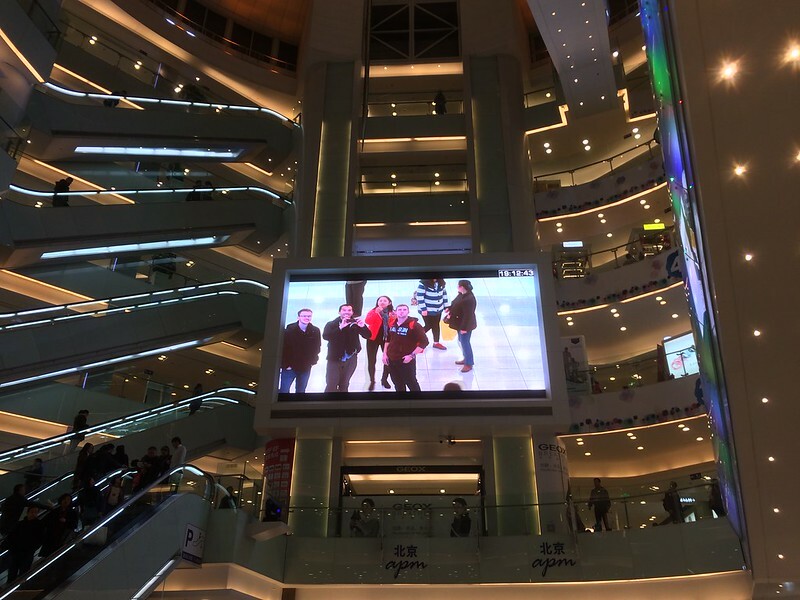 We looked for more food (I had a McDonald’s sundae, even though we ordered McFlurrys), checked out movies that we could maybe watch in the theater, and checked out the giant screen showing us on the ground floor. After that, I led the two guys, who didn’t know any Chinese, to the subway station so they could have a better chance of getting back to their super cheap hotel somewhere south of where we were. I took the subway and returned to my hostel. On my final full day, I decided to check out the Forbidden Palace. I took the subway to Tiananmen and lined up where the signs directed. The place, which was considered a museum, opened at 8:30am, but there were already a lot of people in line. Fortunately, once the doors opened, the lined moved pretty quickly. I actually got to walk through the main Tiananmen gate, the same one commonly seen in photos of Beijing. I felt the weight of the giant portrait of Mao as I walked towards it, conflicted by the differences in political ideals, despite this supposedly being the land of my people. After walking through another gate (Duanmen), I queued up to buy my admission ticket. Then I looked around for the place to get an audio guide, which was near the entrance of the actual museum. The staff who loaned me the audio guide was surprised I wanted the English version. 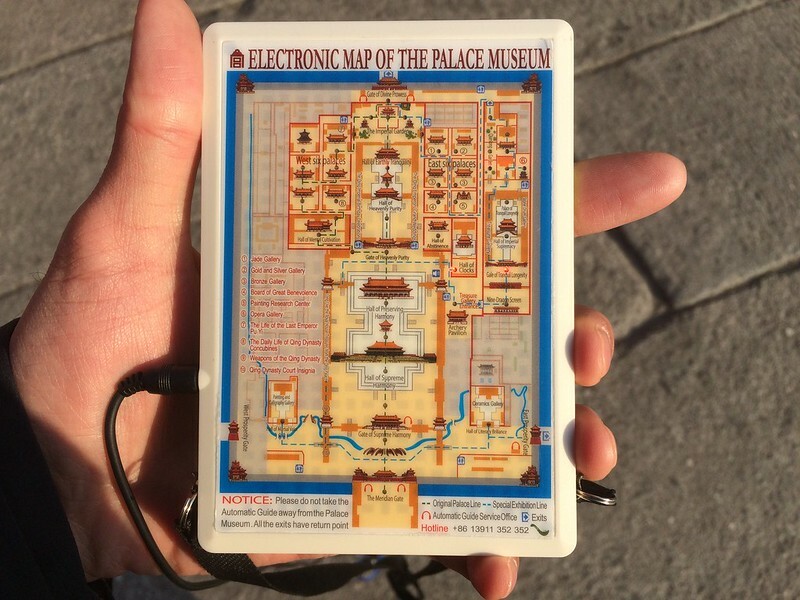 The audio was kind of cool because it had a map of the museum, with different lights at different locations. Depending on where I was, the audio guide would detect it and play the corresponding recording about that spot. 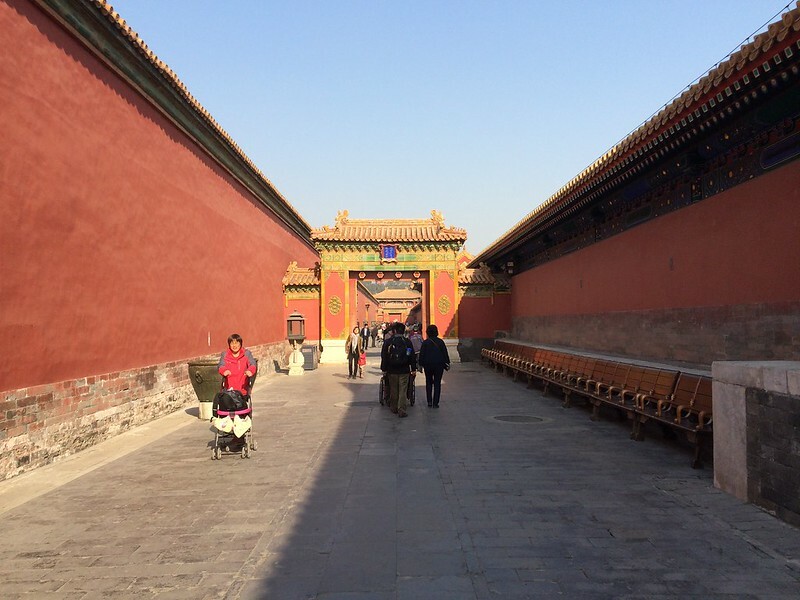 The first few sections of the tour were the main gates and buildings of the palace, like the Meridian Gate and the Hall of Supreme Harmony, where the emperor meet officials and guests and whatnot. Then I moved on to the side quarters where the emperor’s wives and other relatives lived. It was a bit disorienting because it was essentially room after room and red-walled alleys one after another. For some reason, I was fascinated by the red walls. Even though the museum probably has people repaint he walls red every once in a while, I felt that they could still tell so much history about the place. Also, the fact that they were just painted red without any other decorative paintings or writings. 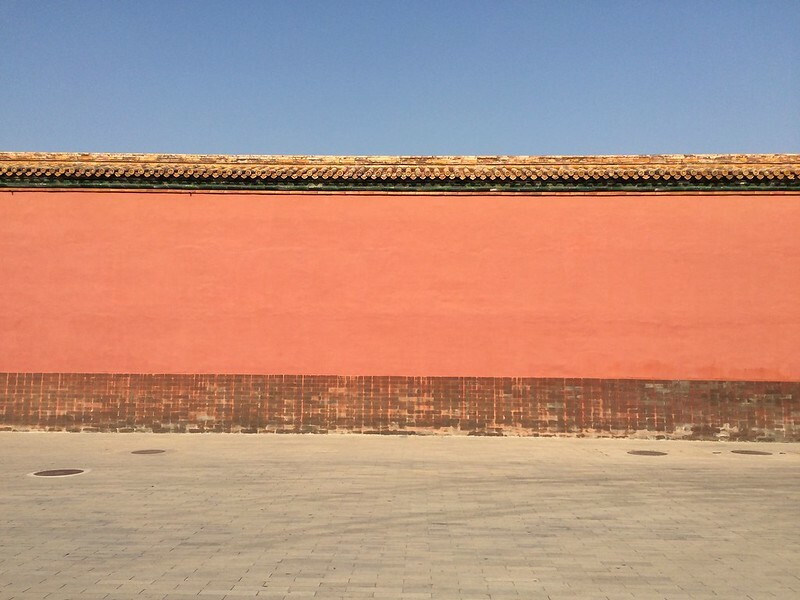 Compared to modern times, blank walls would be subliminally asked to be filled or vandalized. 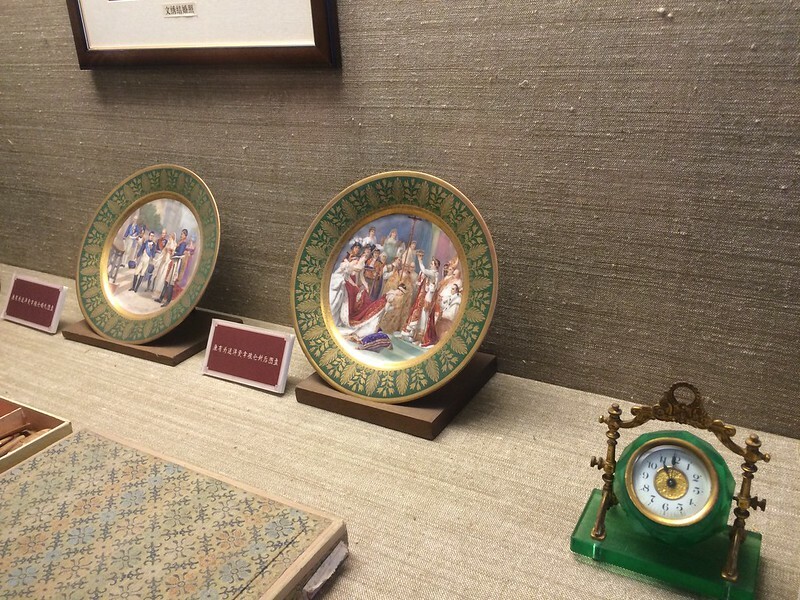 Near the end, there was a room that displayed the last emperor’s things. 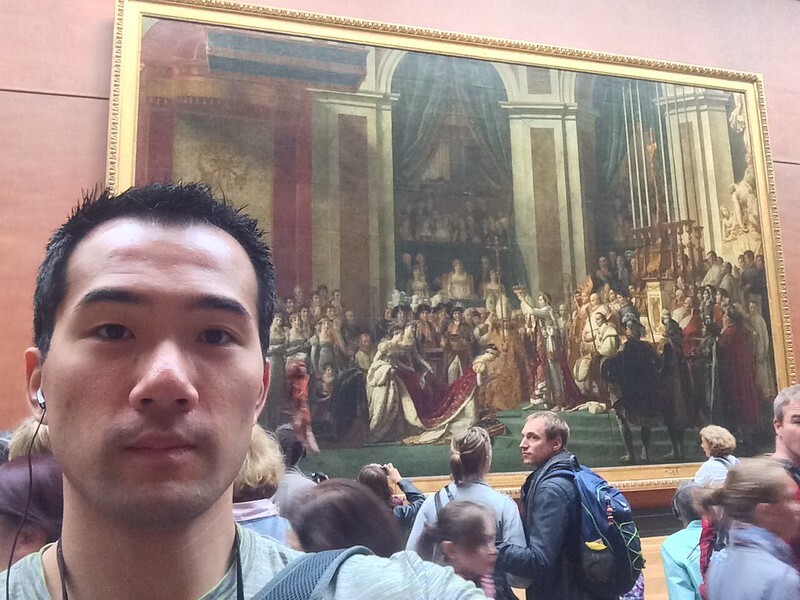 One of them was a plate that showed the Coronation of Napoleon I.
I recognized that painting very clearly, for I had seen the real thing a few weeks before in the Louvre. This was somewhat trippy, because I immediately imagined France in the early 1800s, picturing how that painting would someday be copied onto a plate and delivered almost halfway around the world. I also wondered how the French would explain the significance of the painting. Seeing how history transports and intersects was very fascinating to me. The last section of the museum was a garden, where a lot of people were hanging out, perhaps because they didn’t want to exit just yet. I hung out there too for a bit, but ultimately, I returned the audio guide, which was buzzing anyway either because it ran out of power or that it automatically signaled the end of the tour. Surprisingly, the hostel had a decent selection of food. The menu consisted of half Chinese dishes and half Western dishes. For breakfast one day, I ordered a western breakfast, which apparently consisted of toast, a fried egg, sausage links, potato patties, and bacon. 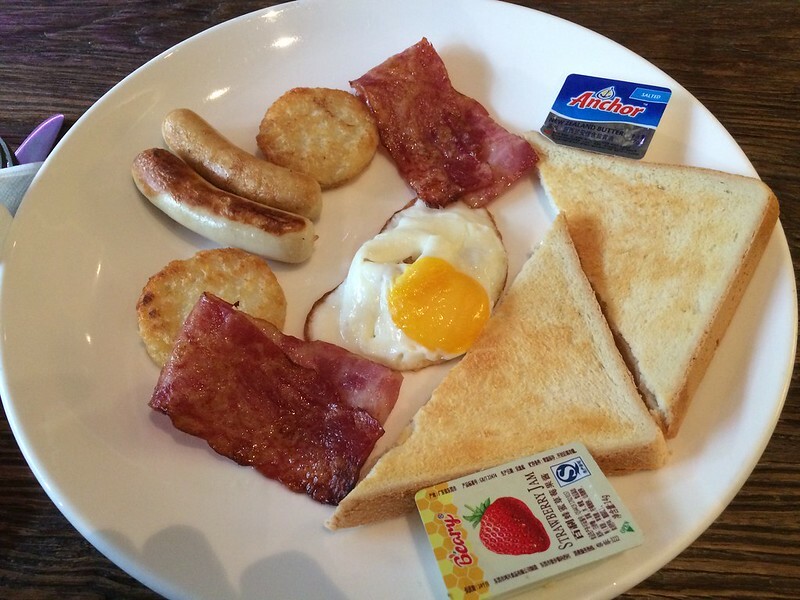 But food seemed to be smaller in China, and I wasn’t sure what kind of meat was considered bacon in China. 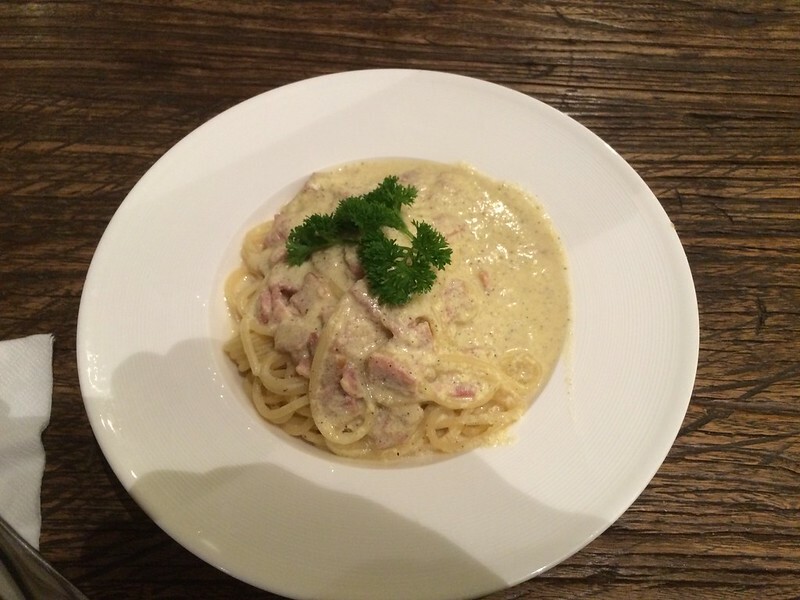 I also ordered a spaghetti with carbonara sauce, because after my experience in Rome, I still thought carbonara was a red sauce. Nonetheless, the cooked meals at the hostel was solid, probably because guests had to pay, so the quality had to be at a certain level. I had trouble finding a standard grocery store near my hostel in Beijing. All I could find were convenience stores that sold snacks. 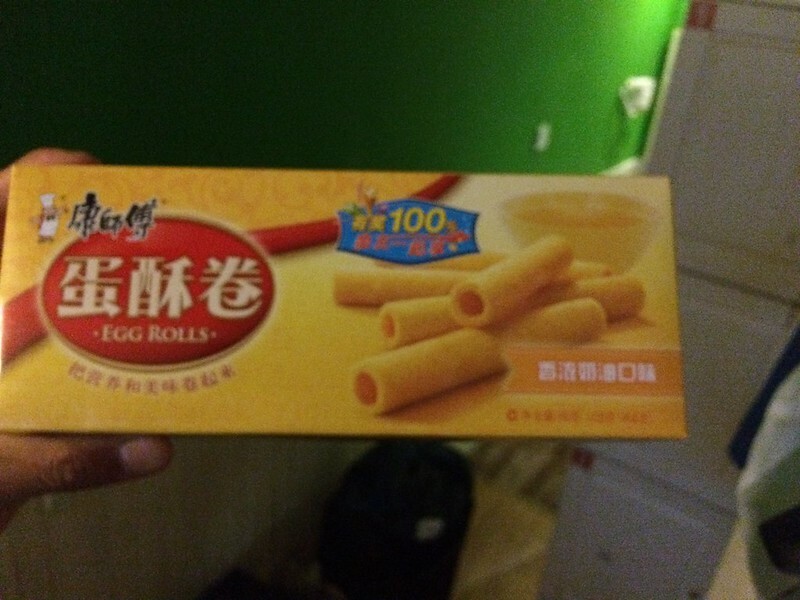 One of the things I got was “biscuit rolls”, which were very flaky egg-based victor in the form of hollow rolls. They’re usually sold in large tin boxes, but at the convenience stores, they’re available in smaller, manageable boxes. 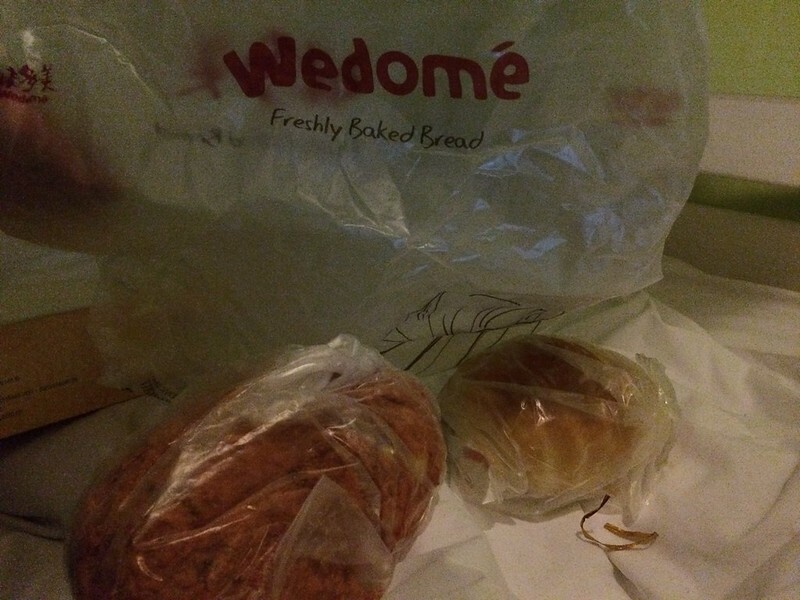 Aside from the meals at the hostel, I relied on bakeries to fill the gaps. 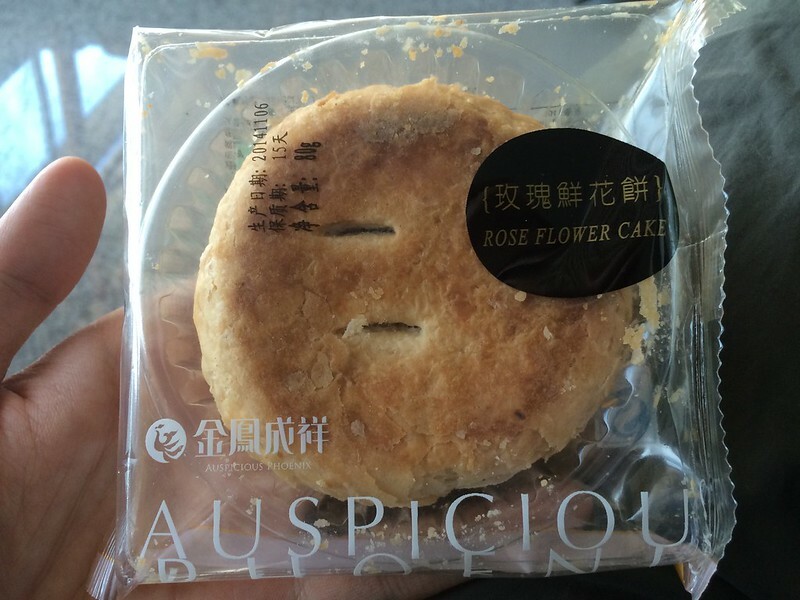 When I was growing up in Macau, I must have had pastries a few times a well for breakfast and as afternoon snacks. There was a wide variety, and I had my favorites. I couldn’t tell what these were exactly, but they may very well be hot dog bun and raisin bun. My other favorites included the cocktail bun, which was actually a coconut and custard filled bun, and the pineapple bun, which was a regular bun with crusty egg-sugar layer. 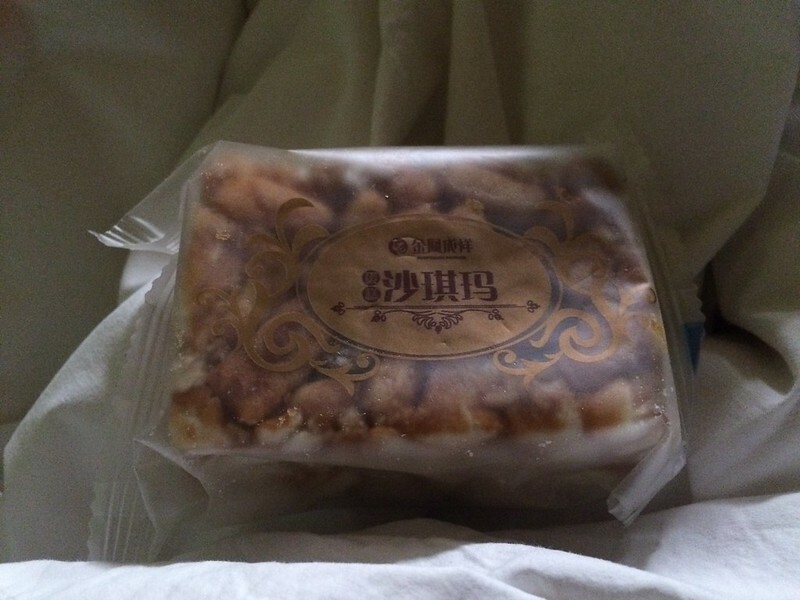 One of the bakeries also sold prepackaged pastries, including gChinese rice krispies, which were more crunchy than the Western version, and a version of the “wife cake” which was a flat flaky cake with filling inside. 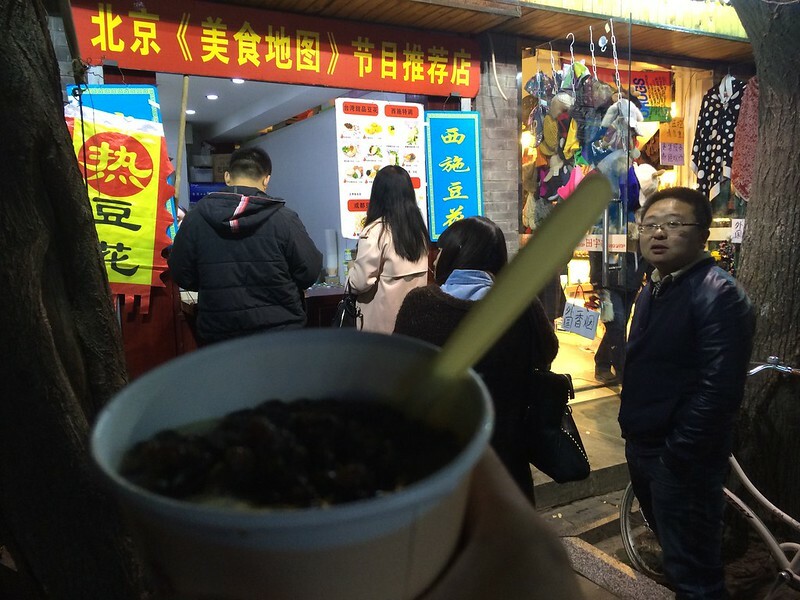 I asked the hostel staff where I could find Chinese desserts, especially the warm, soupy ones. One of them told me there was this street a few blocks from the hostel that was called “Dessert Street”, officially South Luogo Alley. She gave me directions and I decided to make a trip a little later in the night, even though it was very cold outside. Sure enough, the street was lively with people, despite the cold. I did a quick walk down the street and back to see what types of shops were available. 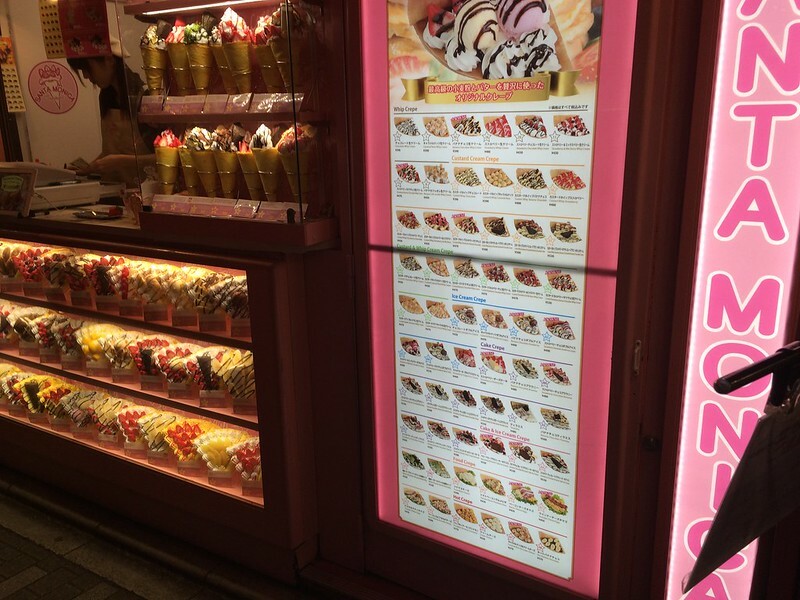 There were warm desserts shops, for sure, but there were also candy shops, bars, and cold dessert shops as well. I usually had no problems eating ice cream in the winter, but I felt that there was no satisfaction in eating cold dessert when my face started to get numb. 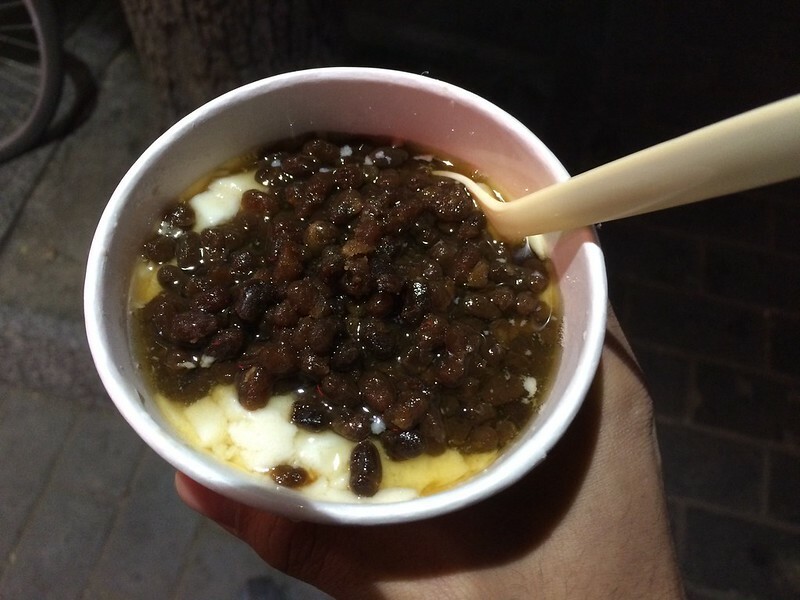 I found a simple, humble tofu dessert shop, and I ordered a warm tofu dessert with red bean. The tofu was fresh and light, but it was almost lukewarm, and it pretty much didn’t do much to help with the cold. Still it was a nice treat to have. I took the Airport Express train from the city back to the airport. When I was at the station to take the train, there was a long security line to scan bags before entering the platform. Once at the airport, I took an airport shuttle to transfer to the correct terminal based on my airline and flight. The airport seemed to be split up into isolated terminals where people could only go from one to another via the airport-controlled shuttles. I was glad I had lots of time before my flight; I would’ve been much more antsy on the shuttles and out of breath from running across the hall. ​People have been asking me how the trip was, and while I want to go in detail, all I could say was “great” and that it was a lot of things happening in a short time. 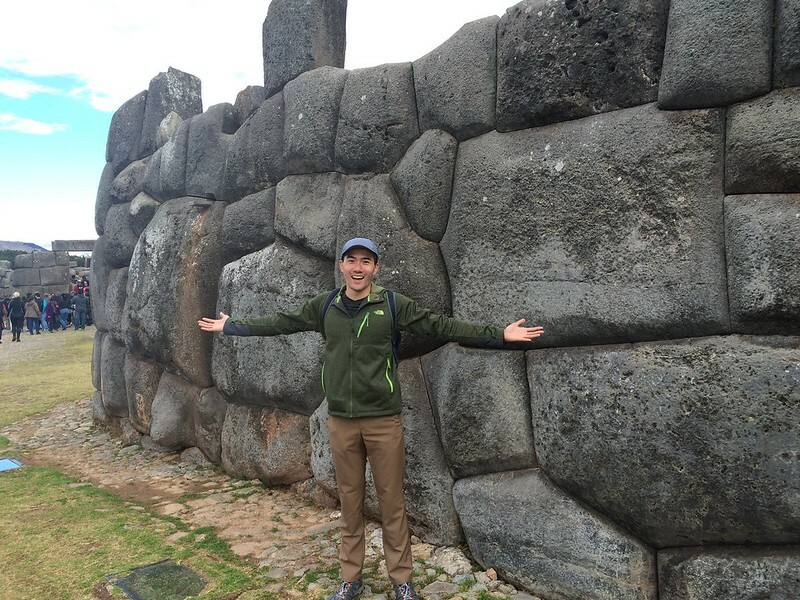 I’ve also been saying that my favorite spots where Machu Picchu, Eiffel Tower, and Great Wall. My favorite locations were Nice and Maui, coincidentally places with beaches. If you’re taking the subway to get around the city, make sure you get off at the closest station for your destination. The stations are relatively far from one another, unlike the stations in major American and European cities. 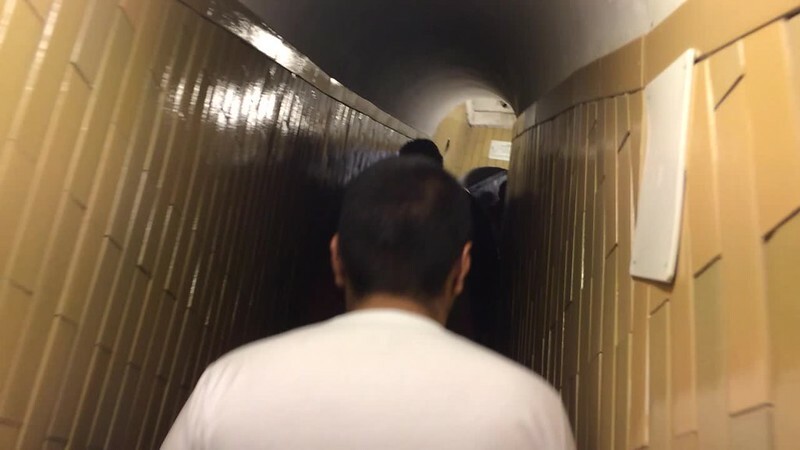 Most subway stations in Beijing had security checkpoints. It would be wise to travel light whenever possible so you may not need to scan your belongings. Mainly because of this, give yourself enough of a cushion so you’re not late. 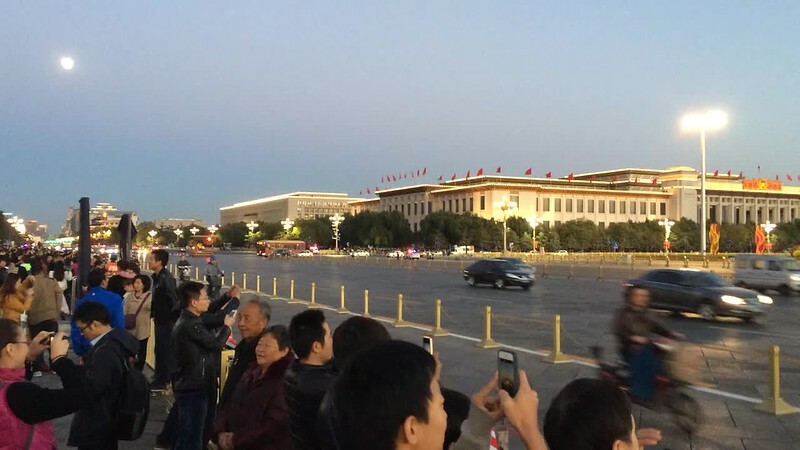 The quickest entries into Tiananmen Square would probably be the southern corners of the square, because it’s the farthest from the Tiananmen Gate, so there’s less people already in that area. I noticed this after I entered the Square and saw the line to enter through the south side had a lot less people. 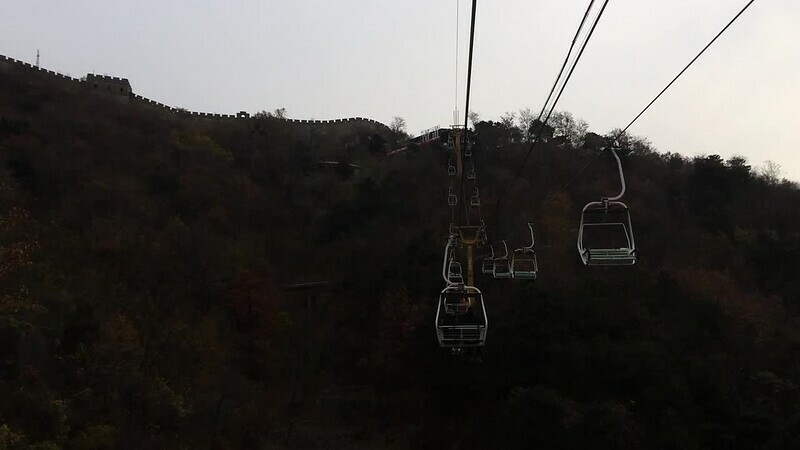 If you’re going to Mutianyu to see the Great Wall, take the toboggan ride down if you can. For most people, it’s not scary. 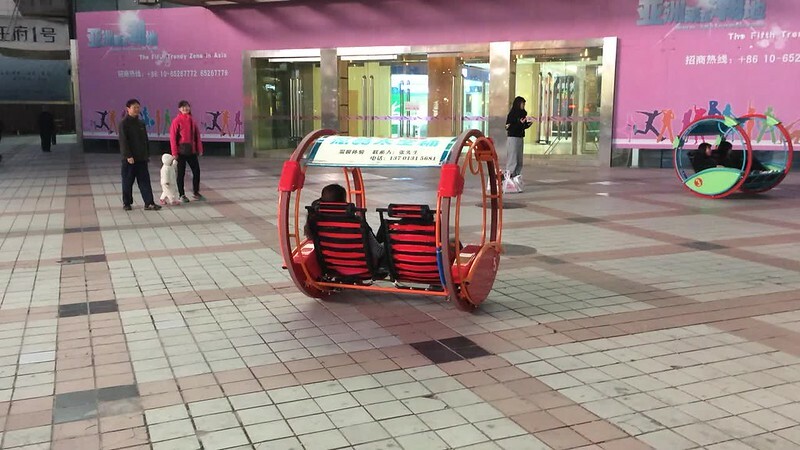 It’s almost like a children’s ride. If you’re taking the toboggan ride down, wear a GoPro so you can capture the ride without finessing with your camera while riding down the track. If you have questions about specific experiences of Beijing or the Great Wall, feel free to leave a comment and I’ll try my best to answer. 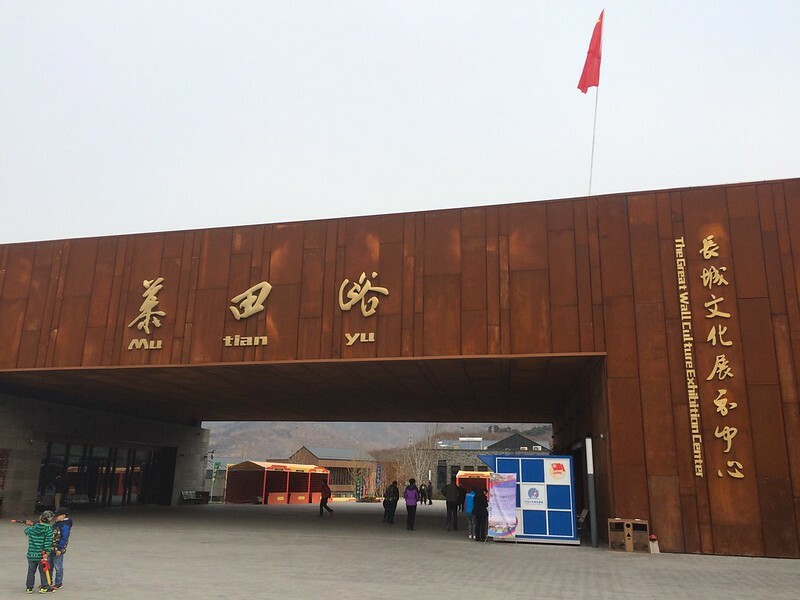 This entry was posted in Little Big Trip 2014, Newbies at Life and tagged beijing, bird's nest, china, food, forbidden palace, great wall, hostel, lbt, olympics, stadium, street, travel, water cube on November 5, 2015 by ivanwlam. Because it’s a popular tourist destination. The Colosseum. Italian food. And anything else it had to offer. 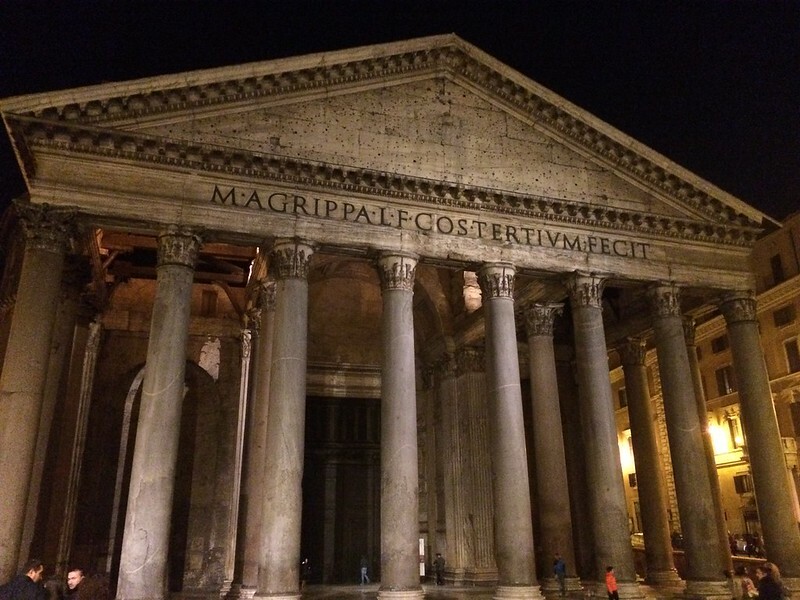 Saturday, 1 November: Arrived in Rome in evening. Checked out Colosseum, Alter of the Fatherland, Obelisco della Minerva, Piazza Navona, Pantheon, Piazza di Monte Citorio, and Colonna di Marco Aurelio. Had a gelato. 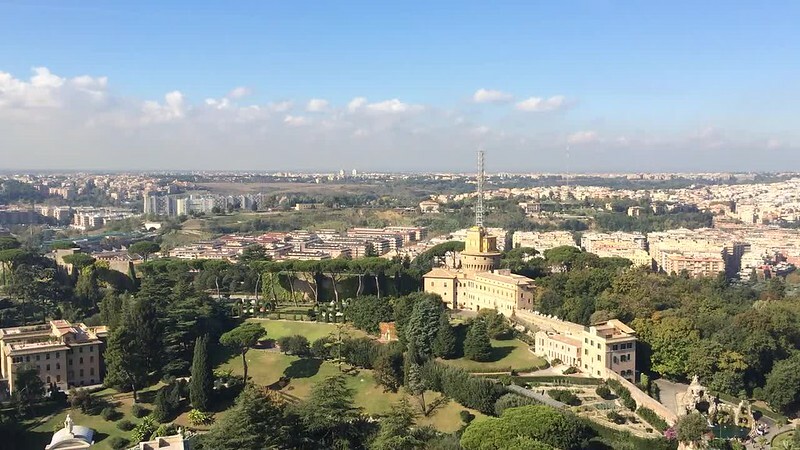 Sunday, 2 November: Free walking tour starting at Piazza del Popolo, with stops including Pantheon, and Castel Sant’Angelo, ending at the edge of Vatican City. Checked out St. Peter’s Square, walked around District Seven, then Piazza Navona, Pantheon, Palace of Justice, back to Castel Sant’Angelo, Alter of the Fatherland, Colosseum. Had a bready pizza. Monday, 3 November: Went up to top of St. Peter’s Basilica, went though Vatican Museums, including Sistine Chapel, had more gelato with people from the hostel. Tuesday, 4 November: Checked out of hostel, took tour inside Colosseum, visited Parco del Celio next door, walked around District Eight, had a late lunch at a restaurant, had more gelato, got lost near District 22, got caught in a short rainstorm, returned to hostel to pick up luggage, headed to train station then to the airport. Departed Rome, Italy, and Europe. Rome had a very high percentage of ancient structures. If felt like half of the city was ruins that tourists visit, and the other half was a standard urban European city. For people who love history told through old buildings, this would be the city to visit. I could only handle and appreciate so much history, so I thought Rome was fine. I took an ItaliaRail train direct from Venice, and it took just under four hours. I sat at a four-person table, and people switched out at different stops. First it was two Russian ladies who kept mostly to themselves, then half of an American couple, and finally an Italian mother and teenage son. The Italian pair were the most lively of the table mates. They seemed to have really open communication and talk about everything like two good friends. At one point, the mother grabbed a 2-liter orange soda bottle from her bags in the overhead compartment, and she tried to open the bottle but the change in air pressure or something made the cap burst out, bouncing off the wall, and landed on me. The mother immediately apologized and we all had a laugh. I arrived at Termini station in Rome early evening, and the lobby was bustling with activity; it was exciting. Many people had less-than-positive thoughts about Termini, and I couldn’t see why it was so bad. Based on online maps, the hostel was a fifteen-minute walk away, so I decided to just walk it. I supposed it would be slightly different and more tiring walking with a carry-on luggage on my back. But at least the walk was interesting enough, walking by shops and random sculptures and fountains. There were plenty of hostels near Termini station, but I read so many mixed reviews that I decided to pick a place a little farther but had a more balanced set of reviews. La Controra Hostel Rome was (supposedly) a ten-to-fifteen-minute walk from Termini station, and I also realized later that it was a bit out of the way from the major landmarks. Places were still walkable, but it did get tiring near the end of my stay in Rome to have make the trek back the hostel again and again. Nonetheless, the hostel was pretty good. Almost like Venice, the hostel was in an apartment building that had a huge lobby. There was no natural sunlight on the staircase, but it was still very classy and grand. I began to realize that Italian architects really liked to establish a high standard in experience. 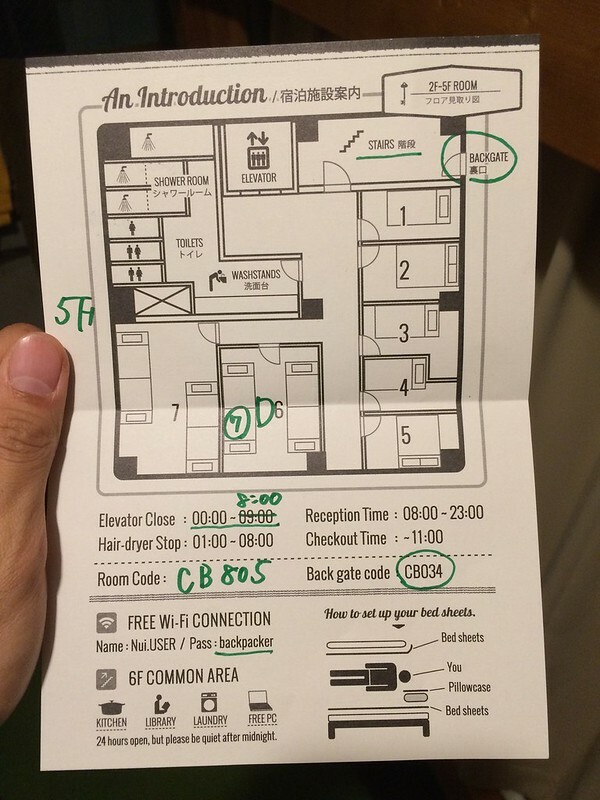 The actual reception was on the fourth or fifth floor, with a few dorm units attached to it. But there was also another set of dorm units on the second or third floor, which was where I stayed. It seemed that these dorm units were converted from apartment units, and each room in the apartment unit was made to be a dorm. In my “apartment unit,” there were at least four rooms, and I stayed in a four-person dorm, so if each room had that many people, maybe more, the entire apartment unit could house about twenty people! That sounded like a lot, but to be fair, these rooms (and these apartment units) were spacious. They could very well have crammed two more bunk beds in my room to house eight people per room, and space would still be satisfactory. The common area of the apartment unit was just a large table with a bench, and a non-functioning kitchen unit, with a half-bath tucked away. The balcony looked out to the central courtyard in the apartment building. I had a four-person ensuite dorm, with a few people staying as long as I did and others coming and going. 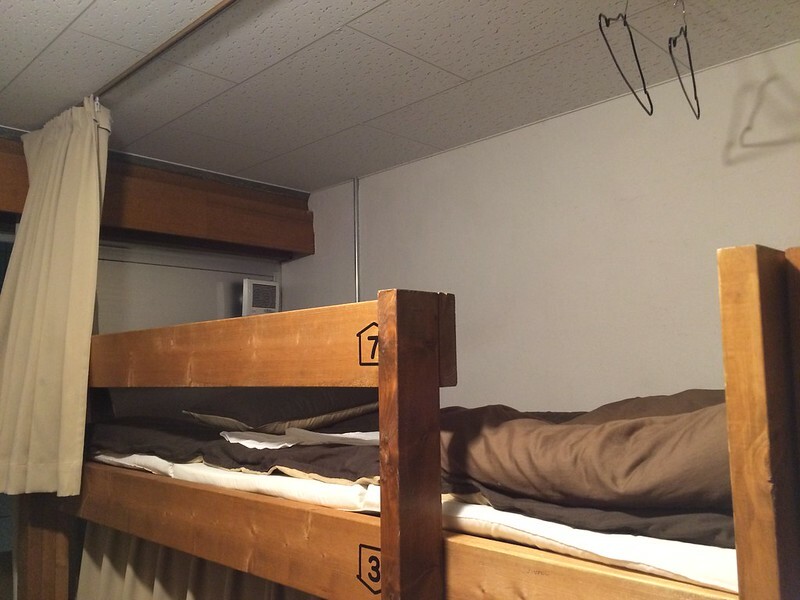 There were two bunk beds, the same type as the ones in Venice, which led me to believe it was an IKEA bunk bed. And the storage cabinets were the same as well, except these had metal loops to put locks on. I stayed on the top bunk, for the fourth of six times in a row on the trip. There were sheets and pillow provided, but I had to lay out the sheets myself. 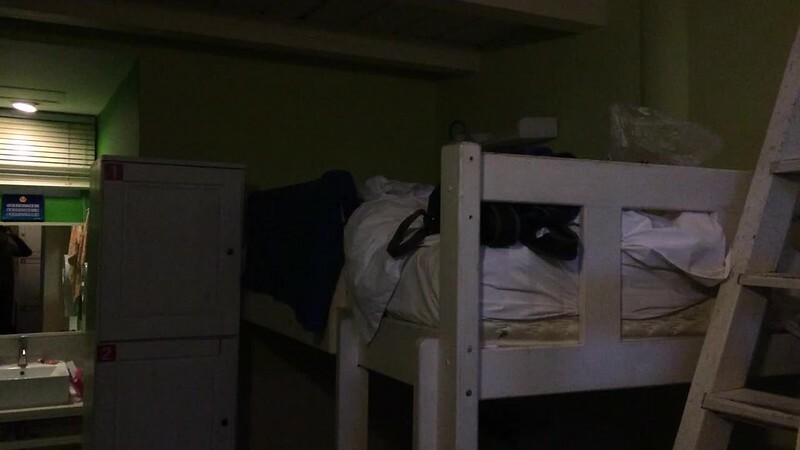 A first-world problem was that the power outlet was next to the bunk bed at hip height for some reason, and my cord was just long enough to rest on the edge of my bed almost completely. So if I accidentally pulled the phone, the cord would disconnect, and if I pushed my phone, it would fall off the bed. The bathroom had the basics: shower, toilet, bidet, and sink with mirror. It also had a trash can from IKEA, which was the exact same model as in my bathroom. It was too mundane to be a homesick moment, but it was funny to see that, and it made me think about how much the people of the world had in common and what not. The shower stall had a curved door, and it leaked water between the glass doors probably because the door was off its track. I tried fixing it, but it made little difference. I also noticed that the bathroom was on a hardwood floor, but there were no non-slip mat outside of the shower stall. Details. The main common area in the same apartment unit as reception. There was a dining table area, and an area with tiny floor cushions in front of a TV. There were a few laptops (with Italian keyboards!) on a desk. And the kitchen was a nook on the other side, but it was fully functional. Just a step out of the kitchen would be the balcony also looked out to the central courtyard. The people working there were pretty nice and knew what they were doing. The girl who checked me in was named Melody, had blue hair, and was probably in early-to-mid twenties. She looked like someone who would be into manga. She was from a country in the UK, but her accent sounded American. I sort of offended her when I asked “Where did you learn English?” but clarified that her accent made me thought she was from the States. She arrived in Rome recently and took a job at the hostel, and tried to do touristy things there. 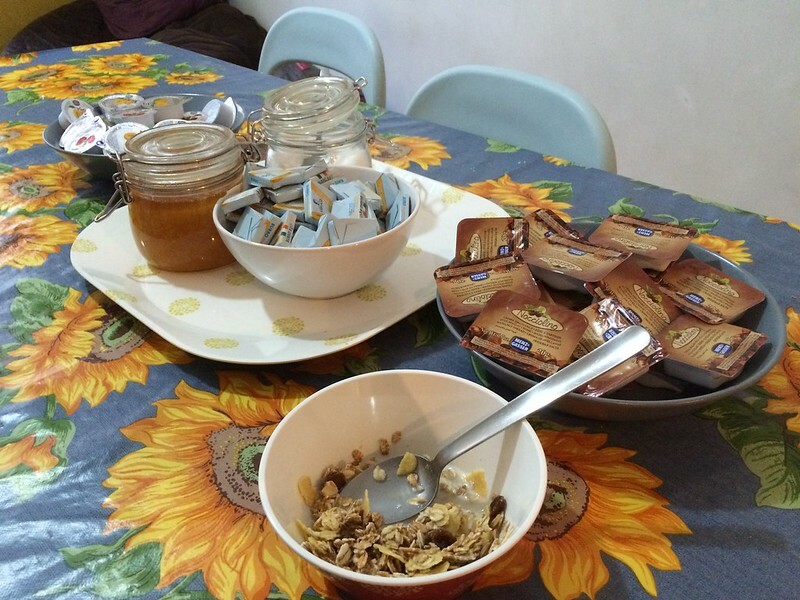 The hostel provided breakfast, but it was very basic: slice bread, jams, butter, cereal, milk, coffee and tea. In the morning, the small kitchen was full with food for the guests. The kitchen was functional so people could certainly make food. But I never did so I couldn’t say how good the kitchen equipment was. The Wi-Fi worked, but it was only available in the hostel common area as well as the common area in the apartment unit. Surprisingly, with the exception of one time when I took the subway, I walked everywhere, often going from one side of the inner city to another. The map of Rome showing winding roads may have made the city look larger than it was, because even with minor slopes, most places were relatively walkable. With the subway, I originally planned to take the subway, even if it was limited, but upon arrival, fellow hostel mates said everywhere was reachable on foot. So I saved some money and just walked. But one time, my hostel mate and I were in a hurry to get to the Vatican. I also wasn’t sure if he would be up for walking the distance like I was. So we took one of the two main Rome subway lines. I had heard that since Rome only had two subway lines, it wasn’t really used. But we took in a little bit after the morning rush hour, and the ridership was about medium. It was also pretty convenient, just like a standard subway system in any major city. Rome fluctuated between cool and mild at this time of year. I was told that a month earlier it was still pretty hot And only recently was it just cooling down. I had a light jacket most of the time but when the sun came out with few places to get shade, a T-shirt was fine. It did rain once or twice though. On my last day in Rome, I was on my way back to the hostel, and it started looking gloomy and a bit drizzly. Judging from my distance to the hostel, I thought I could maybe make it back before it hit really hard. But the weather turned really quickly. Drizzle turned into consistent droplets to pouring within a minute. It was actually very funny (though scary at the time) to see the pouring rain coming at me like an avalanche. I was crossing a bridge at that moment, and I could see translucent, diagonal lines in front of the sky and the river in the near distance steadily moving closer towards me. I could see people scattering for shelter, but I thought those people were silly running from a little drizzle. Then I suddenly found myself running for cover as well. I got hit hard with some of the rain in the few seconds it took me to get off the bridge. But the nearest building was still too far. I only managed to get to a standalone shop that had an awning. Fortunately, I brought my rain jacket, so I put it on, zipped and fully covered (my top half at least), ready to go. But I wanted to wait it out still. At the same time, I needed to get back to the hostel, pick up my luggage, and head to the airport for my flight. After a few moments of self-talk, I walked out of the awning and paced as quickly as I could toward the direction of my hostel. My rain jacket was water-resistant but thick, so I could feel large droplets hitting my head and my arms. At first, I didn’t know if it would stop raining soon. But after ten minutes, it eased up, and then it stopped raining altogether. The weather completely changed within fifteen minutes or so. Still, when I got to the hostel, my head was wet from the initial downpour, and Melody the hostel staff saw me and was sympathetic. I dried up a little bit in the bathroom, and saw that my head was actually more drenched and I looked more miserable that I thought. In my experience, Italians were definitely more expressive than the French, which made them seem more outgoing and friendly. However, in individual interactions, at least with waiters and gelato servers, they seemed to have a straight face as if we were strangers in a professional business meeting. It made me feel like an outsider. Still, the service was mostly fine. Some people could speak English, but it’s hard to tell who just by looking. 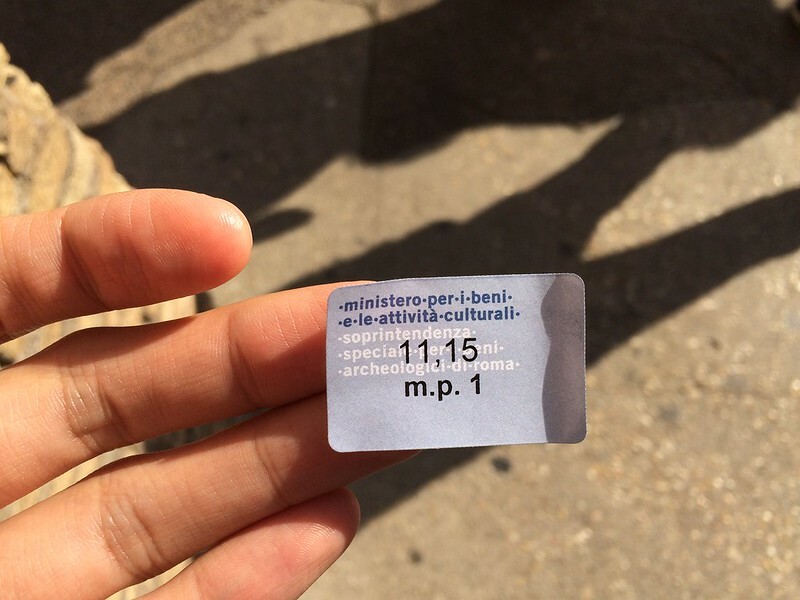 There’s a higher chance in touristy places, but even then, the staff would just default in one language (Italian) unless they were helping individual people. I took an audio course just like the other languages for this trip. It was actually fun to learn, until I took the course for Spanish and I started getting some words, especially the numbers, confused. While “Buongiorno”, “Grazie”, and “Ciao” could be learned without the audio course, taking the time and effort to learn more than just that really proved its worth when I had trouble finding a grocery store one evening. The places listed on the map online seemed to have disappeared in real life. I was getting hungry and desperate, and then I saw a couple walking by holding grocery bags, so I ran towards them. In the split-second moment, I pulled from my memory the words “Dove comprare” (where to buy) and started shouting at them while pointing at the bags, “Dove comprare?! Dove comprare? !” Understandably, the woman was startled and immediately resumed pacing past me. To be fair, I would react the same way too. But I persisted and tried my luck with the guy. Thankfully, he responded and started pointing in different directions. All I heard were “sinistra” and “destra” (left, right), but I immediately forgot the order. Still, I gathered enough hand gestures to get the general direction. 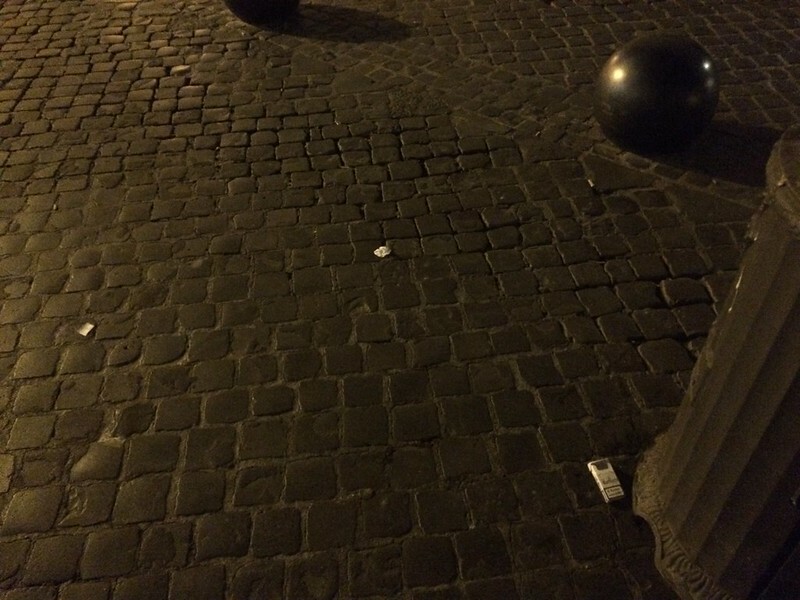 Many of Rome’s famous landmarks were all a hearty walk away. What helped passed the time was that the streets were often changing direction, giving me a different perspective in where I was going, and that there was often something interesting to look at along the way. Also, because these landmarks were kind of close together, I inadvertently visited the same place multiple times. By the time I arrived at my hostel on the first day, it was still relatively early, even though it was getting dark. So I decided to take a walk to the Colosseum and get a lay of the land. After so many turns, I got to the Colosseum. I realized when I got there that because it was partly surrounded by modern streets and buildings, the iconic landmark felt a little less epic than what I had seen in photos. Still, it was a grand structure and I was finally able to see the details up close. While trying to take some selfies with the Colosseum without the fence, I noticed an American couple struggling to do the same. I offered to help them out and we started talking about how we missed being in San Francisco when the Giants team won the World Series in baseball. It was kind of cool to randomly meet people like that. After dinner at Café Café nearby, I resumed my walk. 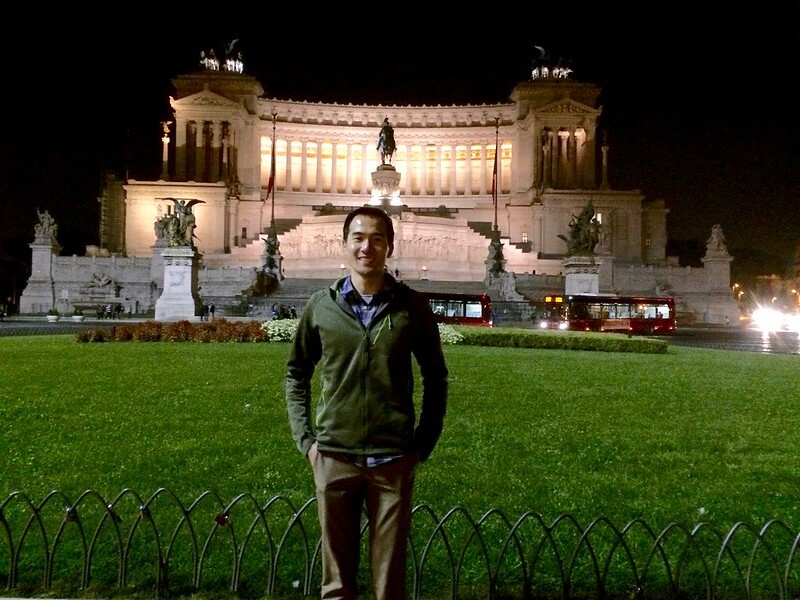 I got to the Alter of the Fatherland, or Altare della Patria, or Monumento Nazionale a Vittorio Emanuele II. I helped a Spanish couple take a picture in front of it, and they offered to take my picture too. I continued to walk in that direction and found the Obelisco della Minerva. I was looking for this specifically because my friends were also visiting Rome a few weeks before, and they took a photo of this Obelisk. I decided to start a photo challenge then (mainly for myself) to hit as many places that they had gone to that I could find, and then recreate the photo as closely as possible. And two months later, two of my friends were also visiting Rome, and I told them to do the same. I did a few more for the rest of my time in Rome. It ended up working out because I had very little plans in Rome, and this was a way for me to visit different places and spend time exploring. That and switching back apps on my phone between my friend’s photos and the camera to get the right shot. The next day, I went on a free walking tour. I learned about it from a flyer at the hostel. I reserved a spot on the listed website and received a confirmation email with a personalized note. 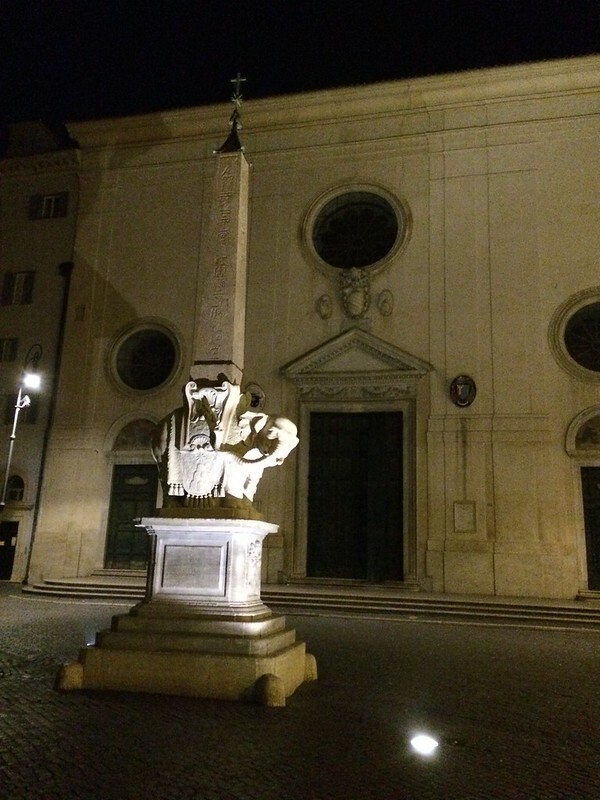 The instructions were to meet up at Piazza del Popolo, but that was the extent of all I read. I arrived a little early just in case, but I discovered that Piazza del Popolo was huge, and I didn’t know where the group was. I walked around the giant piazza trying to see if there were a number of people bunching up. After fifteen minutes or so, I managed to find some Wi-Fi and opened up the email to reread instructions. 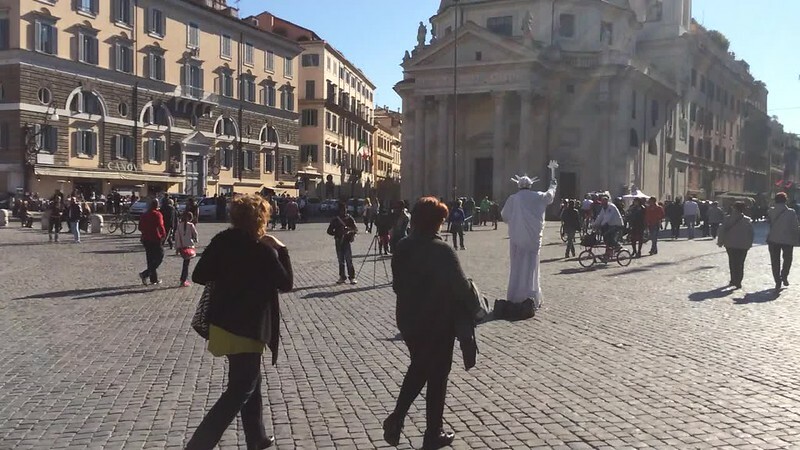 I still had trouble finding it at first, but I managed to poke my head around to discovered the group waiting at the entrance of Piazza del Popolo from the north side. 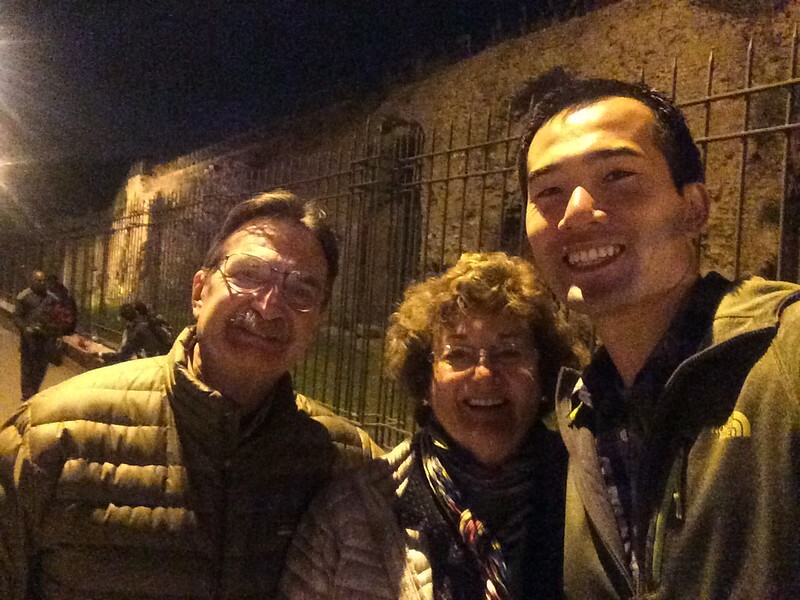 I met Chris, the tour guide, and he was American who was living in Rome. When I asked him where in the States he was from, he listed the cities and states he had studied and lived in before coming to Rome. He had a really laid back attitude that carried through in his tour guide style. He warned us that if he saw a big dog, he would not hesitate to run up to it and pet it. He also had a sense of humor like a beginning comedian, where some jokes earned a chuckle while some went over my head. He knew a lot about the subject matter, as guides should, but he also had his commentary on it, which sometimes altered the way I looked at Roman history. 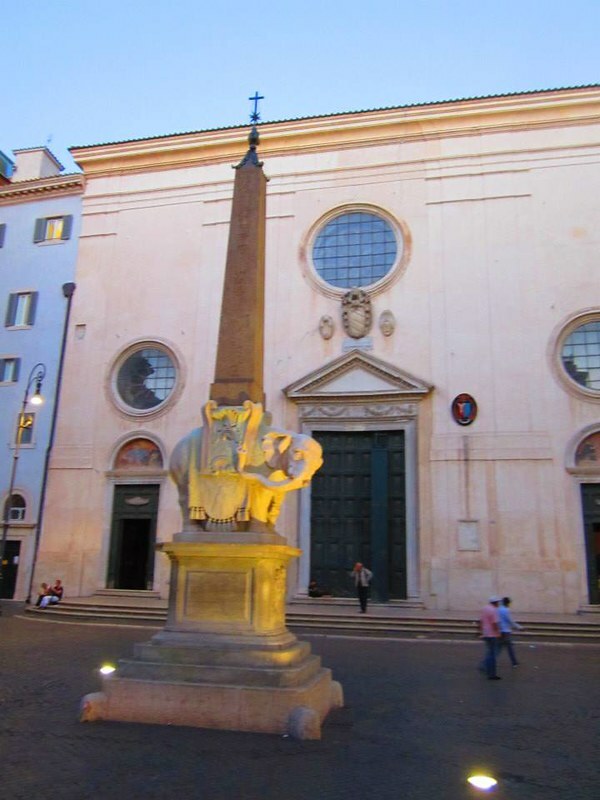 We started at Piazza del Popolo and made our way south and hit many places, including a few that I had been the night before, except now in the day time, like Pantheon and Piazza Navona. We made our way to St. Angelo Bridge, crossed it while listening to Chris’ presentation about the statues on the bridge, and ended right before the corridor that led to St. Peter’s Square. At the end of the tour, Chris asked us to friend him on Facebook for a reason that I forgot. Ever since, I had seen his posts, both work- and non-work-related, and it was nice to remember for a moment my time in Rome, including the walking tour, as well as finding out Chris’ obsession with Taylor Swift and special travel adventures in Italy. The following morning, my hostel mate and I went to the Vatican with the intent of checking out the Vatican Museums. We waited in the line that was forming inside St. Peter’s Square. After waiting for about an hour, we found out the line was to go inside the church, and not the museums. But having waited for so long, we went in anyway. The Basilica was free, but there was an option to go up to the dome for five euros. There was also an elevator that can take visitors part way for ten more euros. After my hostel mate checked his stuff at a storage room, we paid five euros each to make our up. There were signs showing how many steps it would take to get up. And I thought it was a nice piece of trivia. The amount of scales was pretty large, and it was too many for me to comprehend, so I thought it was the general “a lot”, but I had handled “a lot” before. 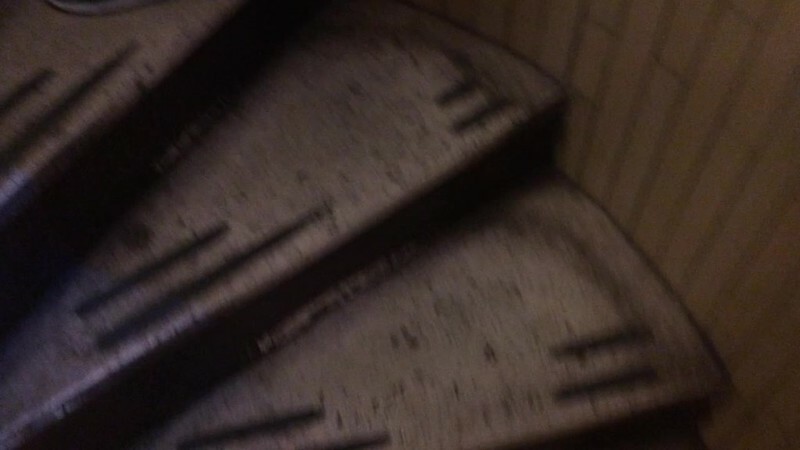 At first, the steps were pretty normal. We noticed where the elevator shaft was and were pointing out the silliness. But by the point where the elevator reached its highest point, I was starting to get jealous. From there on, everyone had to walk the steps, which were starting to get more narrow. There were stretches of long hallways and then a spiral staircase or two, and then more hallways, etc., all the while the width was getting smaller. When I thought the width of the path could not get narrower, I was proven wrong, multiple times. Near the end, it was almost starting to get claustrophobic for me. And once we finally got out to the top to the dome, there were so many people hugging the fence trying to take pictures. Getting through and around to the other side was annoying. After taking enough selfies, panoramas, and videos, we decided to make our way down. We stopped by a large rooftop area complete with a food shop and souvenir store, and then continued getting back down. The path downward was like walking in reverse, where the halls were getting wider and wider, and it almost felt too much space. It also occurred to me that the path up was completely separate from the way down, since I did not encounter anyone coming up, nor the other way around. We somehow exited into the church, and noticed that the Pope may potentially be in the house in a roped off area. I couldn’t tell because the Baldachin was in the way. 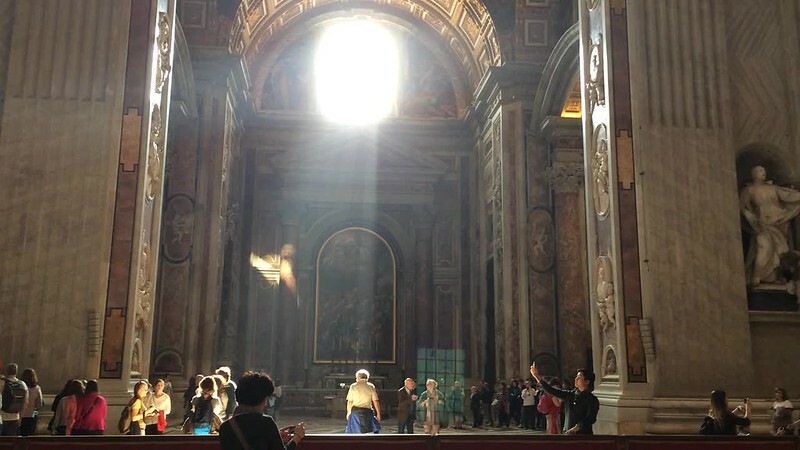 The church was very grand and magnificent, but I was exhausted from the hike to the dome, so after a few photos and videos, including this one of the light coming into the church, we left the Basilica. We for some reason decided to go straight to the Vatican Museums. We considered getting lunch, but we couldn’t decide on a place so we just waited in line again, this time for thirty to forty minutes, and with cigarette smoke from the group behind us. When we saw the light at the end of the tunnel and were about to get inside, we noticed different roped off paths with very little people in them. Some of them were used for tour groups, but I noticed one path with the signed that said something like “online reservations.” Then I saw people holding out a piece of paper to the staff, and they went straight into the museum. That made me regret not purchasing a ticket online earlier and deciding to just wing it. The Museums, I heard, were a collection of galleries that the different popes curated over the years. I just wanted to see the Sistine Chapel, and the museum map had a route to bypass all the galleries. I tried to follow that path but got lost immediately; the rooms didn’t seem to correspond. So without knowing, we took the regular route like everyone else. A lot of the museums had paintings; some had sculptures. Each room was very well decorated and filled with artwork, but a lot of the rooms looked old as well. By the end of it all, everything started to look similar, so I just walked as quickly as I good, turned my head left and right, scanning the pieces and moving on. When we got to the entrance for the Sistine Chapel, there were plenty of signs saying “No Photo.” So we went in, and it was packed and a little dim. The entire room was filled with paintings, both the ceiling and the walls. I could see the part on the ceiling where God and man touched fingers. The whole time, the security guards kept yelling “No photo!” to a point where it started to become funny to me. I kept my camera (phone) in my pocket; my roommate may or may not have taken a photo of the ceiling. After the Sistine Chapel was a few more rooms of modern art, and that was it. There was a cafeteria in the museum but we decided to get food outside. 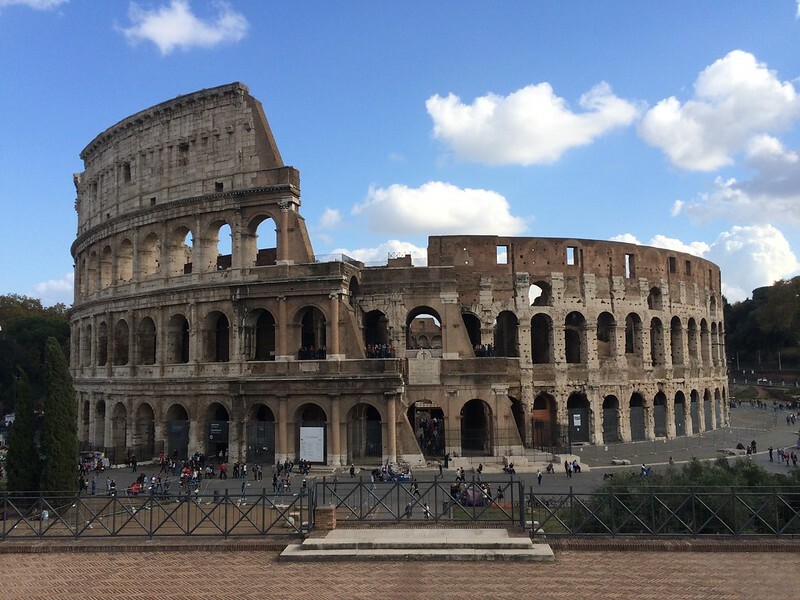 On my last day, I headed back to the Colosseum, but to finally go inside. I waited in line for a reasonable amount of time, especially for a place as famous as the Colosseum, and purchased my ticket. I also purchased a tour so I could have a better understanding and appreciation of the place. There were set times for the tours, and we were told to wait in the waiting area in the corner on the first floor. When the tour started, we received headphone packs so the guide could talk without shouting. The guide was also very good with her facts and tried to make her talk interesting with stacks of photos she waved around. 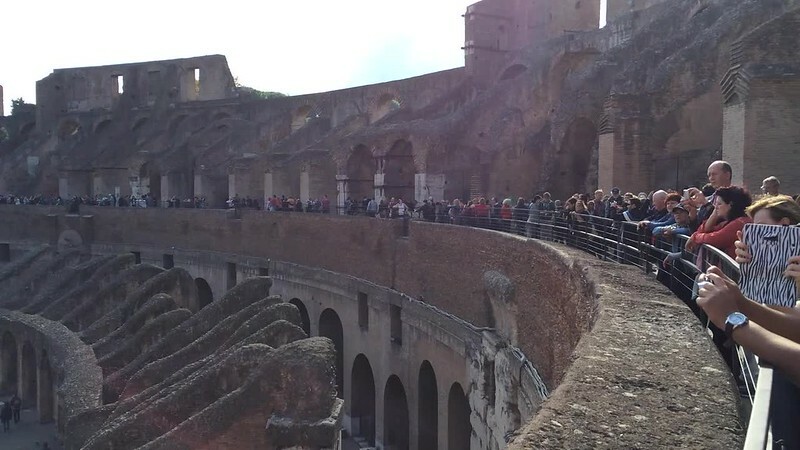 After the tour, I continued to walk around the Colosseum, taking photos and videos. There were a lot of people, but not enough to feel crowded. In an attempt to get someone to help take a picture of me, I looked for people who were struggling to take photos, or maybe a couple where one person was taking a photo of the other. 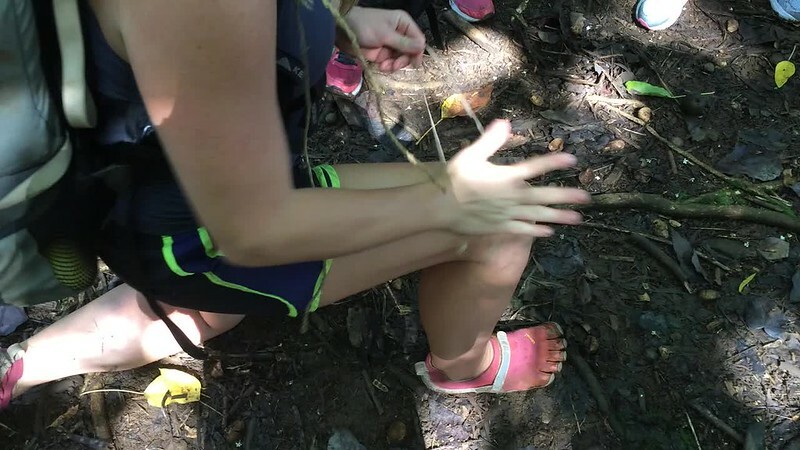 When that worked, I managed to teach a fellow visitor how to take a panoramic photo of me, and then I saw him trying to do the same thing with his phone. After the Colosseum, I still wanted a good, clean photo of it. 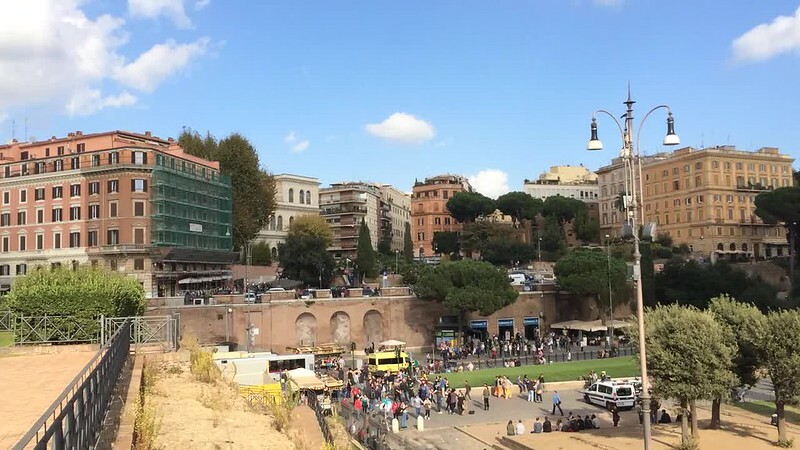 So I figured that I could enter the park next to it, which was free for the day with ticket purchase to Colosseum, and somehow get on that hill that overlooked the Colosseum. I went into that park, which was kind of serene and lovely, totally removing me from the urban-ness of Rome for a few moments. I made my way to the Piazza di Santa Francesca Romana, and had a few really good, but windy, shots of the Colosseum. This was a restaurant near the Colosseum. It had good rating online so I decided to try it out. It was a nice little place with six to seven tables. When I was there, only two other tables were occupied. There were a bunch of photo frames and trinkets laid out all around, with worn but still working furniture. It felt like I could be anywhere, not just Italy or Europe. The waiter was nice and patient. 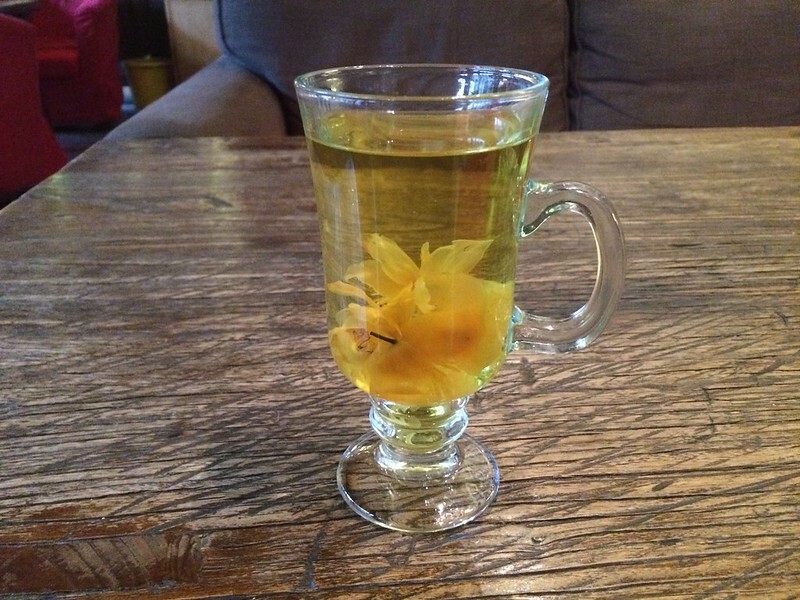 I ordered a lasagna and one of the really special teas. The tea I chose had yogurt in its ingredients and I could definitely taste the subtle creamy sweetness, and it made the tea quite delicious. 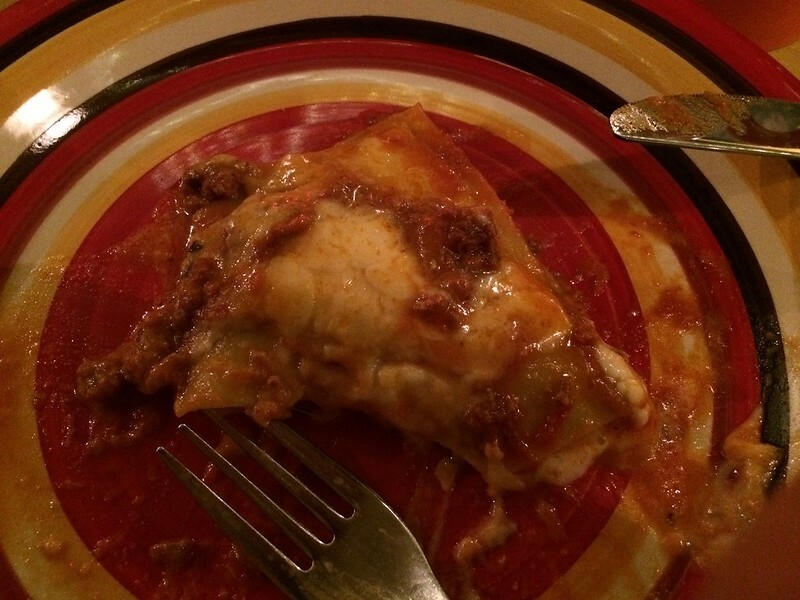 The lasagna was fresh and flavorful. Even though it was small, it was enough for me. 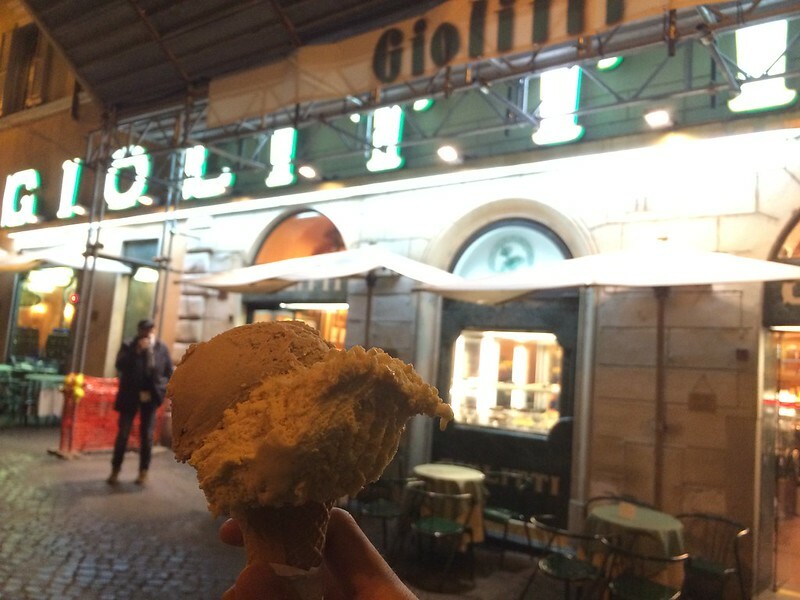 I had gelato from Giolitti twice (near the Pantheon), La Romana (near my hostel), and Gelateria Oldbridge (near the Vatican). They were all good, though I learned that I liked nut-flavor gelato more than fruit-flavor. 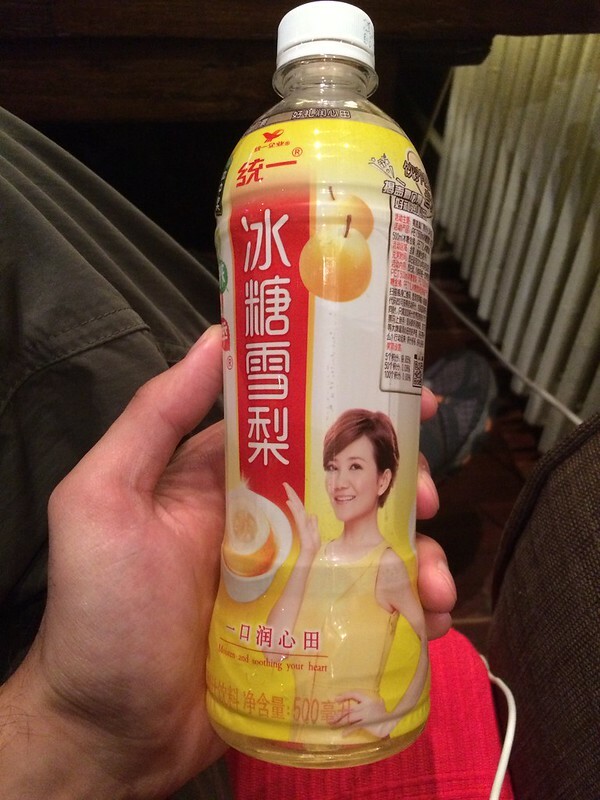 There was something about the tartness of fruits that made it too sour for me. 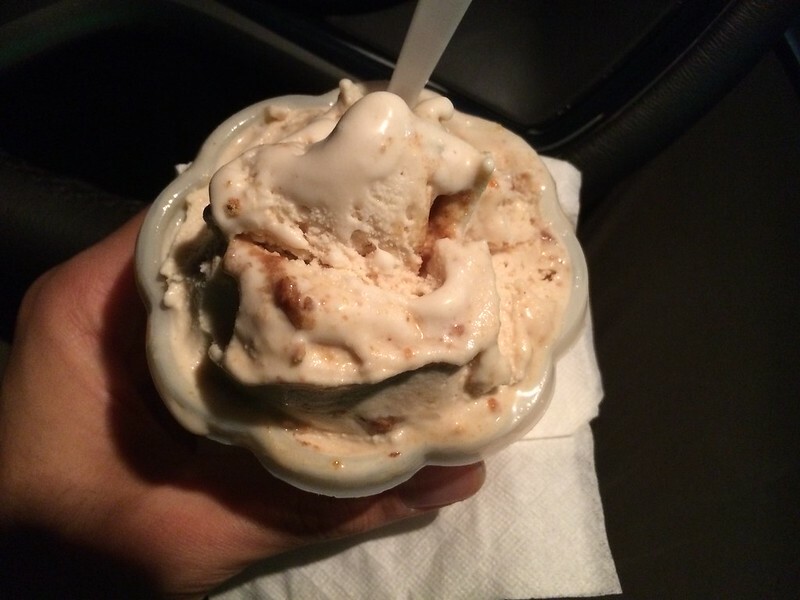 I like the more traditional, creamy, nutty, subtle flavors that balanced nicely with the dairy. I enjoyed the Nutella flavor, though not as much as I love Nutella, and I also discovered the deliciousness of pistachio gelato. I also wanted to point out that La Romana, recommended by my hostel staff Melody, was probably the best, probably because they served chocolate gelato, and it was so smooth, rich, and creamy. That would be the place I need to go the next time I am in Rome. After the free walking tour, I strolled through the area, starting to feel hungry. I found a restaurant with some people but not crowded. They also had free Wi-Fi. So I went in and ordered a pizza. I ate it with a fork and knife, and it reminded me of the story Jon Stewart did on the Daily Show about New Yorkers eating pizza with their hands. I wasn’t sure if it was this restaurant or if it was how Italians do pizza, but the crust was too thick for me, and it felt a little overbaked, at least by American standard. This sort of got me hesitant to get pizza in Italy for the rest of my stay. After the Vatican Museums, my hostel roommate walked for some more before deciding enough was enough: we needed to just pick a restaurant and eat. 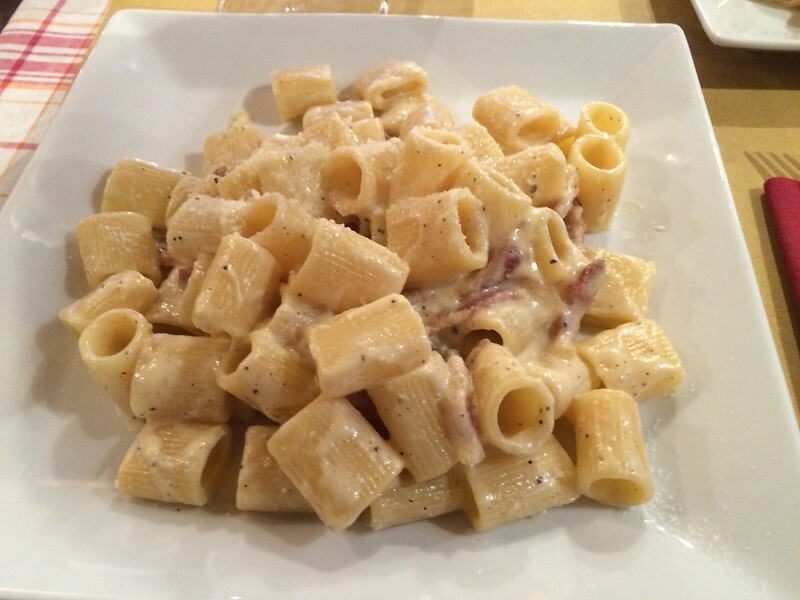 We went to a standard looking Italian restaurants and I ordered a pasta with carbonara sauce, because I had heard good things about carbonara sauce. Little did I know it was a white sauce, when I was expecting and mentally preparing for a red sauce. I still ate it of course, but the pasta was, like in Venice, really al dente. 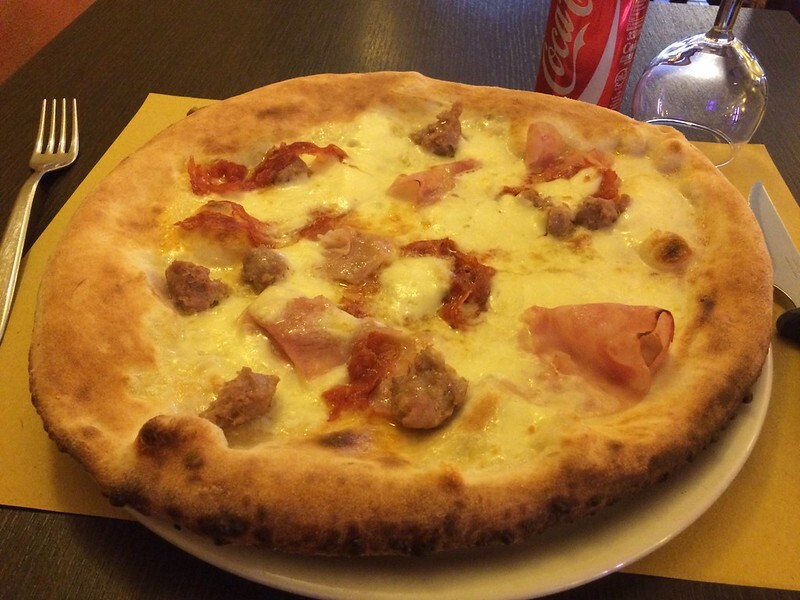 On my last day, I walked around some more after the Colosseum visit, and I got hungry and went to Da Francesco because I had heard good things from multiple sources. 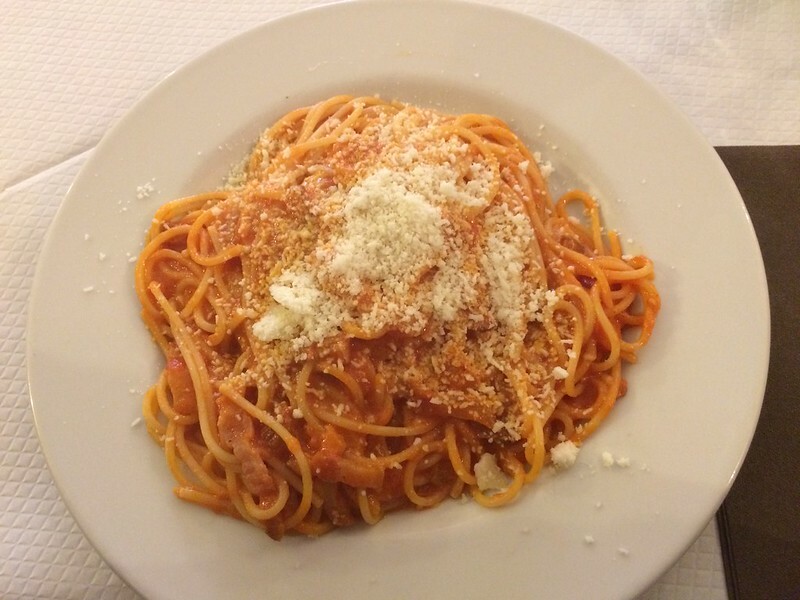 I order a spaghetti (with red sauce). It was decent. Again, Italian al dente. The sauce was light; I wish there would be more sauce. With my spaghetti I ordered a limoncello. 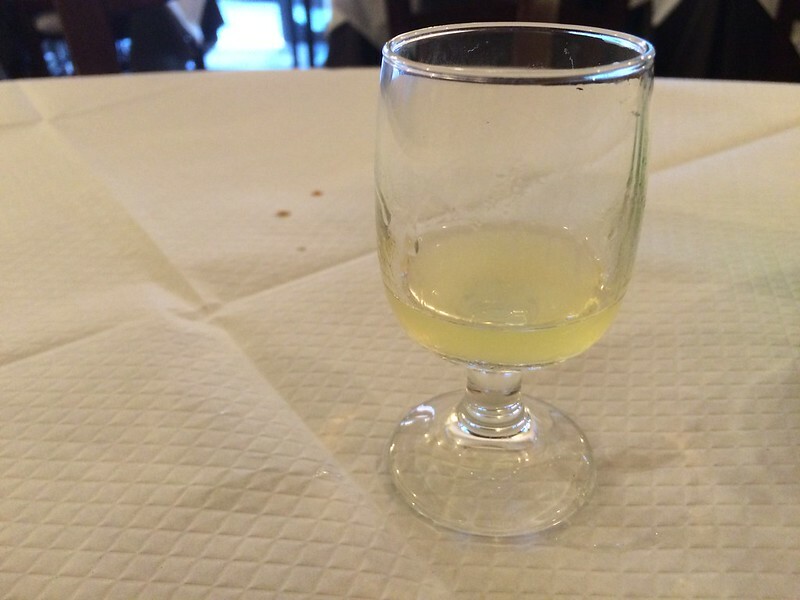 The waiter asked me if I wanted it at the end, and without knowing much about drinks like limoncello, I said sure. The limoncello is like wine and beer; an acquired taste that would take time. I had a lot of trouble enjoying it. It tasted like margarita mix, except it felt more strong. I took the train from Termini station to the airport. 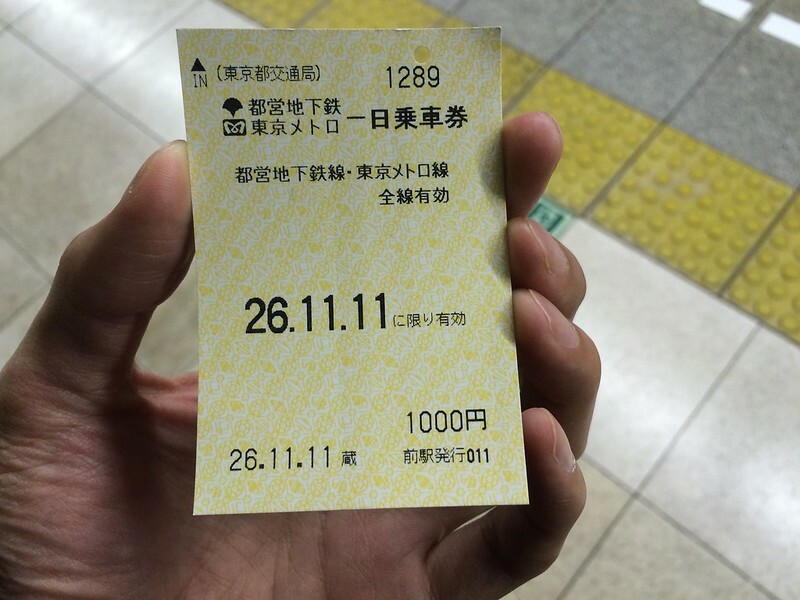 It’s a general-use ticket that I bought at the station, and I took the next available train. The ride took about half an hour and costed fourteen euros. In one week, it will be 11/4, and I will be leaving Rome for China. One week from this moment, I will have been in three new cities. This is the most tight section of my trip, and it will be interesting. It may go terribly wrong, or very very fun. Or a combination of both. As long as I stick with my travel safety basics, I should be fine. Weird mix of current and really old, sword of a worn out city, with the typical city problems. Walk tour guide says the majority of Rome’s economy is tourism. So what makes Rome Rome without the ruins from before? There will be less reasons to come back. I would try Scandinavia again, but not that far north because of the weather. It’s the most modern of the places and speaking of which, I’ll have to try Germany next. And Netherlands. Paris and Rome are actually equal in most ways, except I would come back to Paris for the Eiffel Tower. London and Rome I’m least likely to come back alone because London feels too similar (with English language) but it’s not the same and everything smaller, though it has its benefits. Rome is half ruins and historical sites, where I haven’t even taken effort to learn about the first time around. But maybe I should start in Rome and do day trips or quick trips in the area, like Naples and Florence. Europe 2.0 is already unofficially in the works. 11/3: Ibrahim and Salvador already got ready, but I wanted to join them to Vatican. Ibrahim was not to be found. Also checked Viator emails but didn’t get any. Walk to metro with Salvador at Reppublic. Salvador doesn’t speak much, probably because he doesn’t know that much English. I bet he talks more if he spoke in Spanish. Long line at Vatican, found out it’s for church and not museums, but went anyway. Went to dome, lots of steps and circular staircase that gets narrower as you go up. Came down to Basilica, where Pope may or may not be conducting some ceremony. Walked to Vatican Museum and waited longer (40-50 minutes). Also getting hungry. Long route to get to Sistine Chapel, and it was a little underwhelming. Funny guards kept telling people to not take pictures. Then walk to 433, had pasta with carbonara sauce and milkshake, then to Giolitti and got raspberry and lemon gelato. Crowd was restless and disrespectful and worker handled it well. Ate it at Pantheon and then left Salvador and I went back to hostel. Did some online time with pic backups and try to check into flight but couldn’t. Also bought an iceberg salad before getting to hostel and ate at the main hostel floor. Melody (receptionist) was there, Telling me she did the walking tour and I found out I called her the girl with the hair. She also suggested gelato at La Romana, and I invited Paoline then also Ibrahim and Salvador. Walk to La Romana was nice and gelato was pretty darn good! Went back to hostel and started getting ready for Beijing. 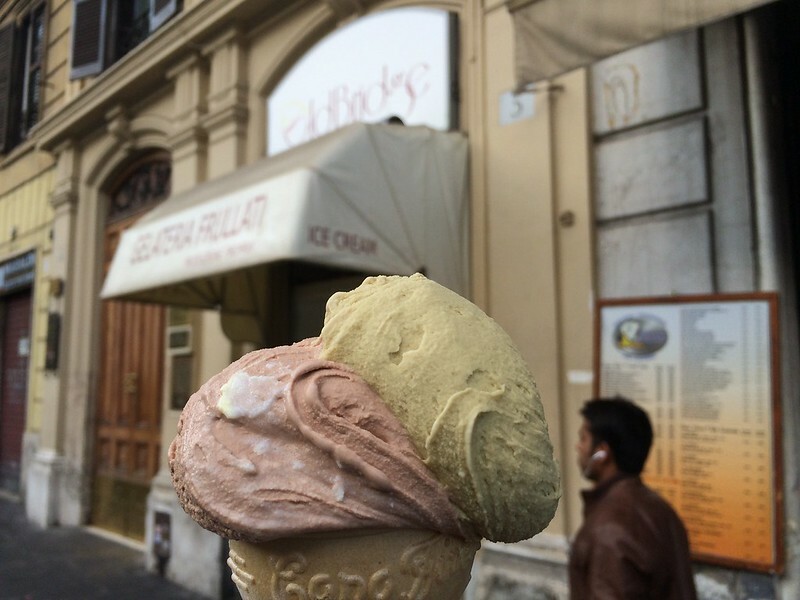 Gelato flavors: pistachio and dark chocolate (ciocolato fondente). Kenny came back and talked about his goals and future. 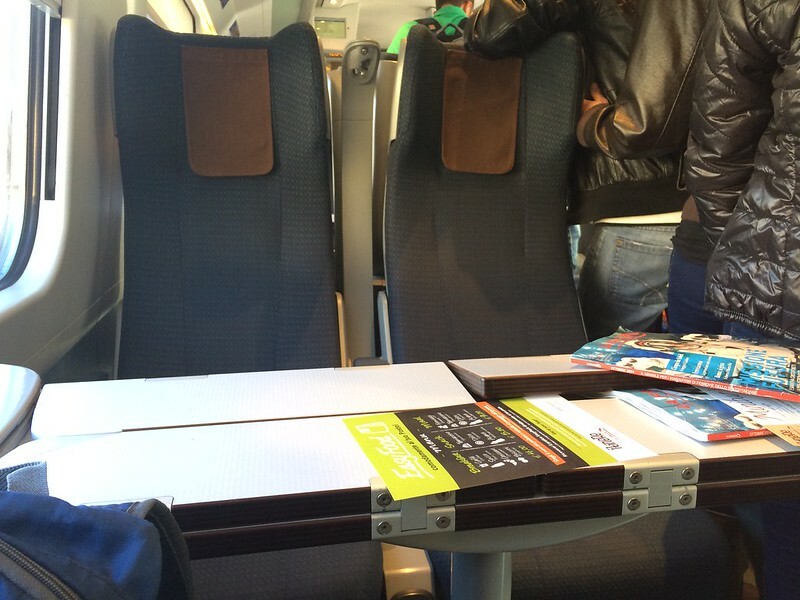 Mom and son on train to Rome who have a really open communication relationship, even though the son is around 16-18. Funny how mom’s giant orange soda bottle cap popped off and landed on my hand. Melody who semi-awkwardly took care of my hostel onboarding. Air China flight attendants who are nice enough to shoot me despite them looking miserable. 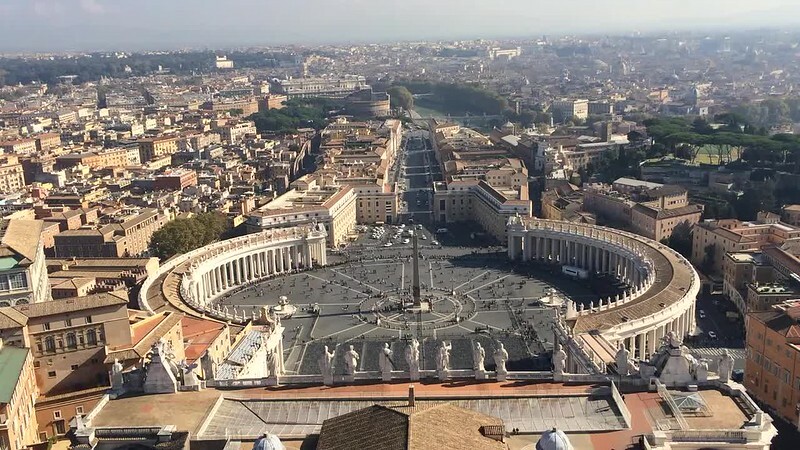 The long line in front of St Peter’s Square is for the basilica and the top of the basilica, not the Vatican museums where the Sistine Chapel is. If the line curves half way around the square where you’re standing directly in the middle divide of the square, the wait time should be half an hour-long maybe twenty minutes. The Vatican Museums entrance is on the side, around the tall walls. 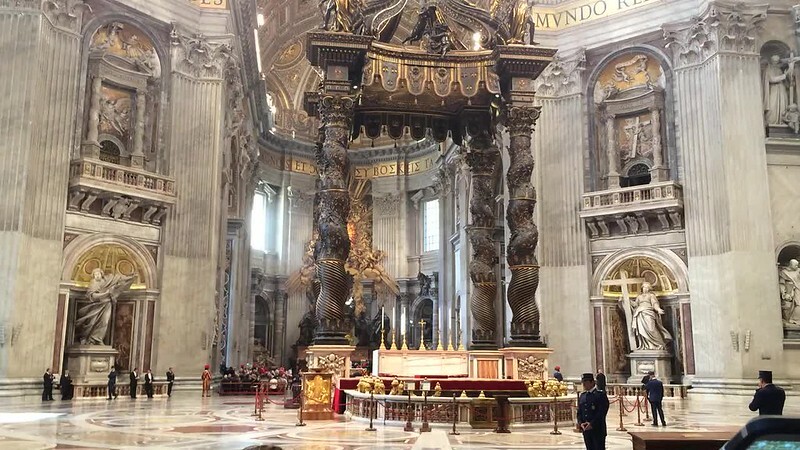 Buy tickets to the Vatican Museums online. In my experience, people who bought tickets online seemed to just pass right through the lines. I had to wait 40-50 minutes in line to buy tickets. This is common in Italy: If you see a little faucet-like structure on the street endlessly flowing water onto the ground, and there is a hole at the top of the spout, you can take a sip of the water by plugging the bottom hole with your finger to make the water flow up towards you. If a gelato shop is just a store front, you can buy gelato just by ordering what you want and pay the worker. But if the gelato shop is indoors, you have to pay for the amount you want (one scoop, two scoops, etc. 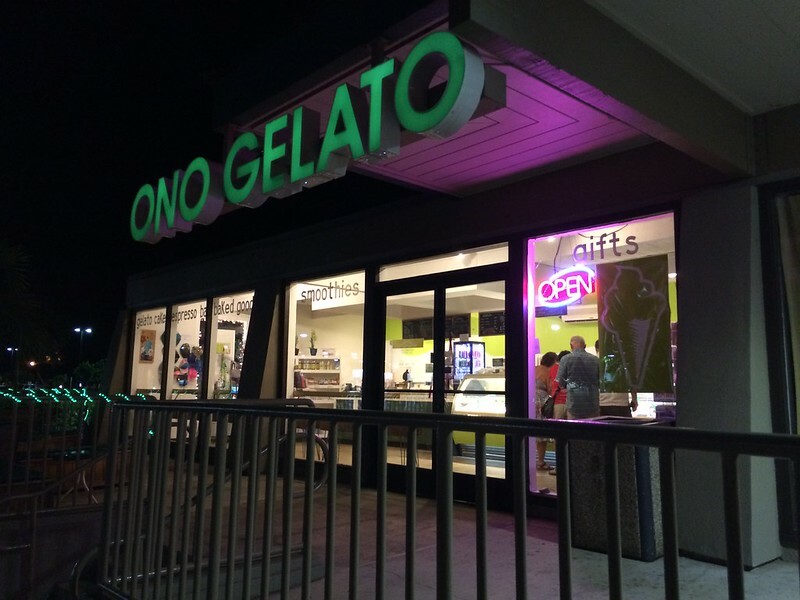 ), get a receipt, and then head over to the counter where they serve gelato, hand the worker your receipt, and pick the flavor. I don’t know why the process is separated. If you have questions about specific experiences of Rome, feel free to leave a comment and I’ll try my best to answer. This entry was posted in Little Big Trip 2014, Newbies at Life and tagged colosseum, europe, gelato, italy, limoncello, museum, pasta, pizza, rain, rome, spaghetti, vatican, walking on November 1, 2015 by ivanwlam.